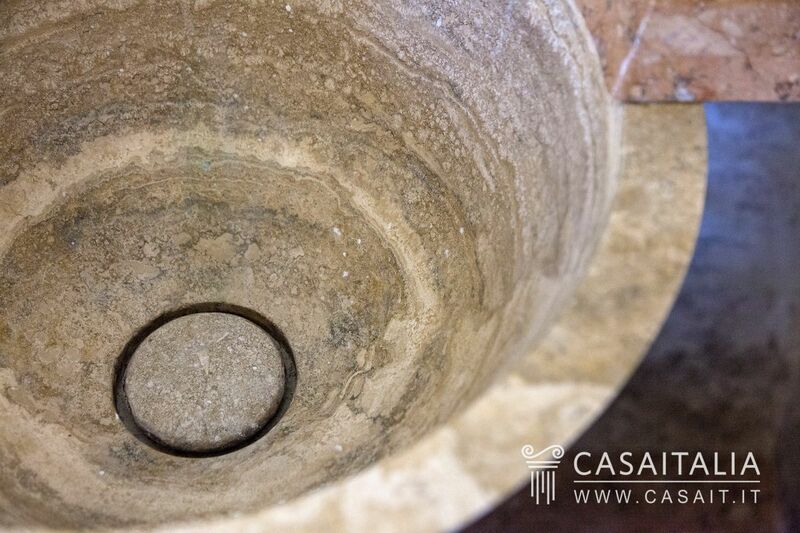 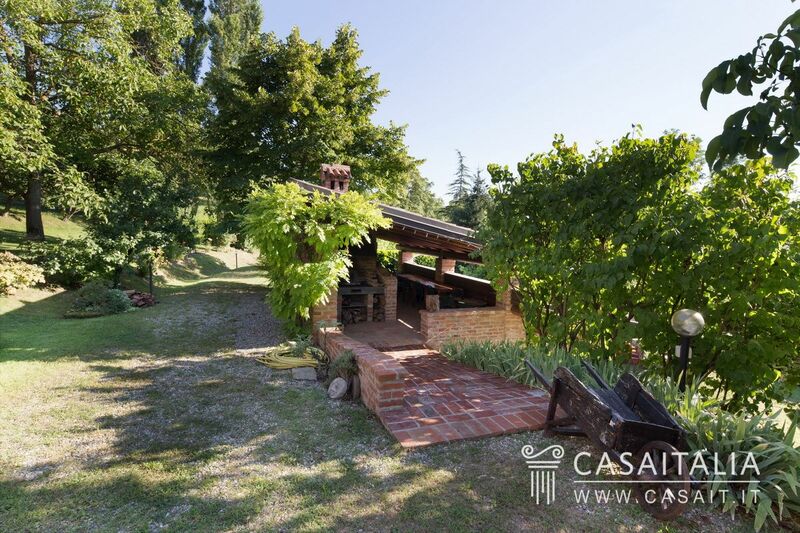 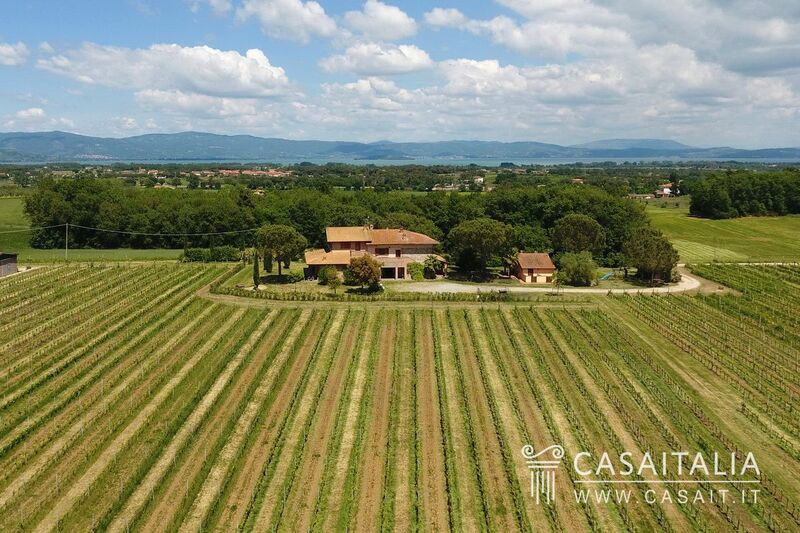 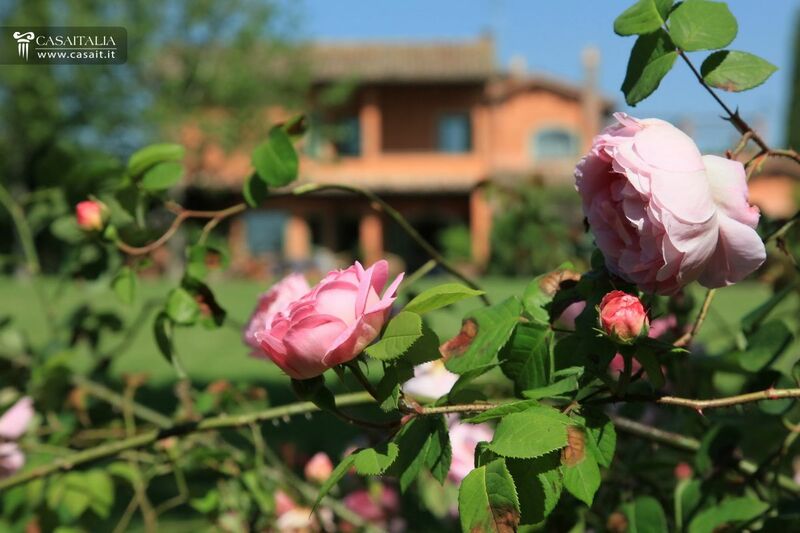 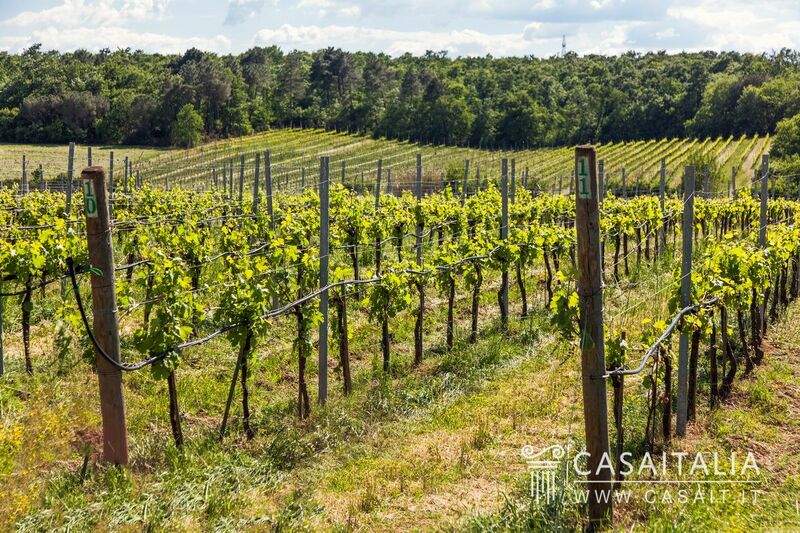 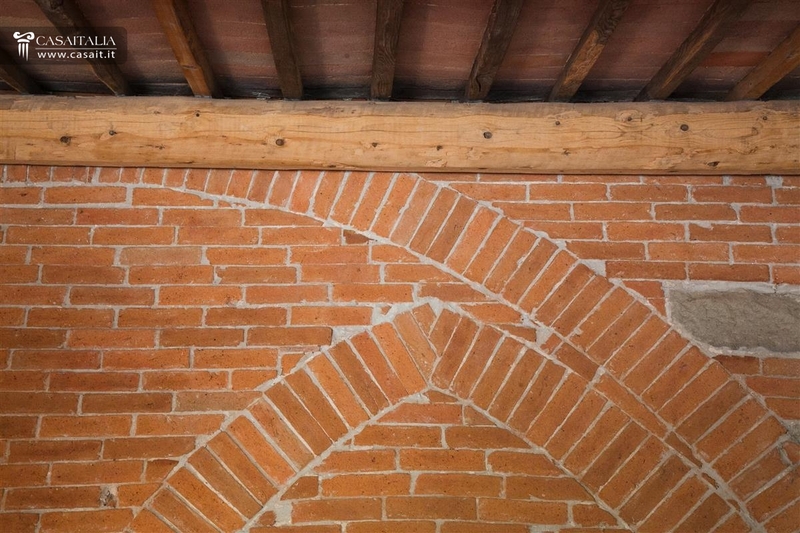 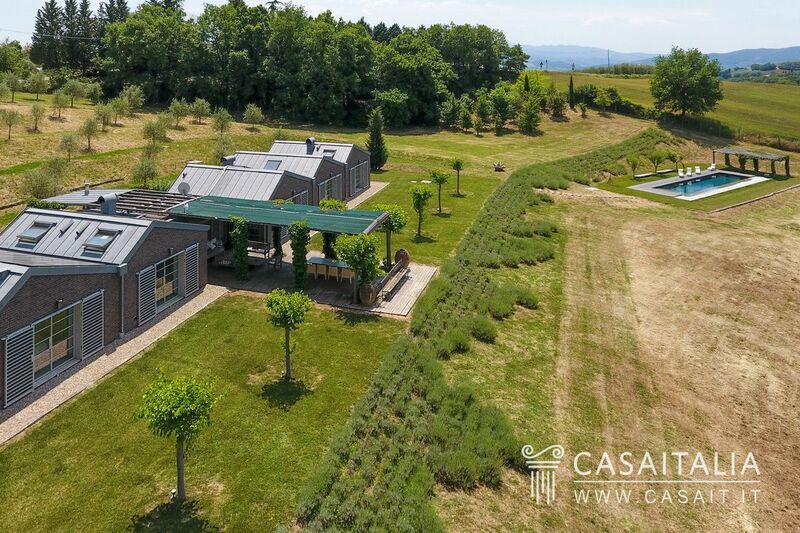 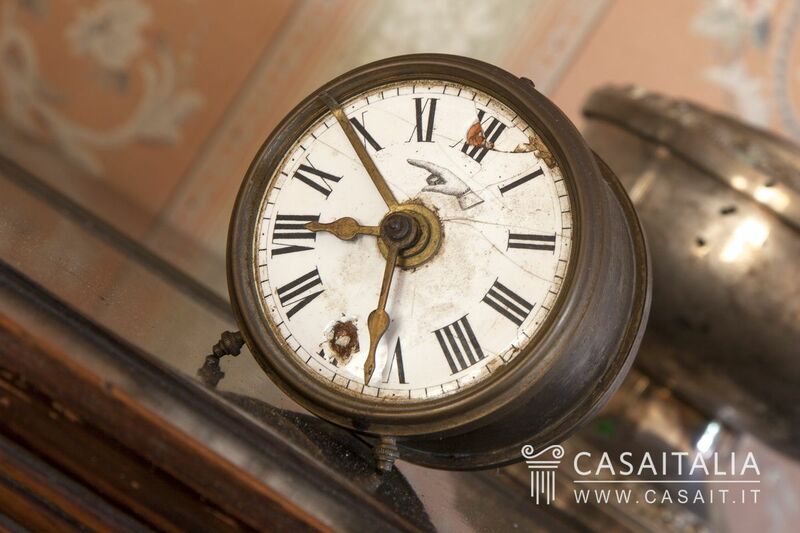 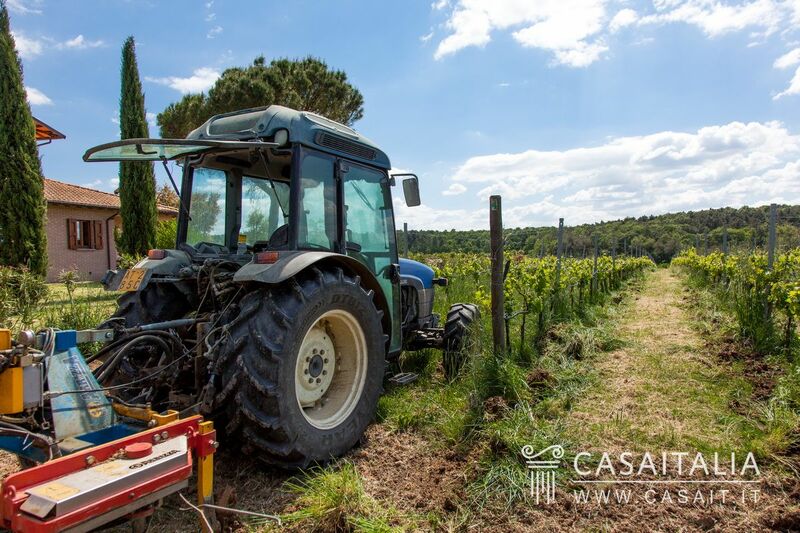 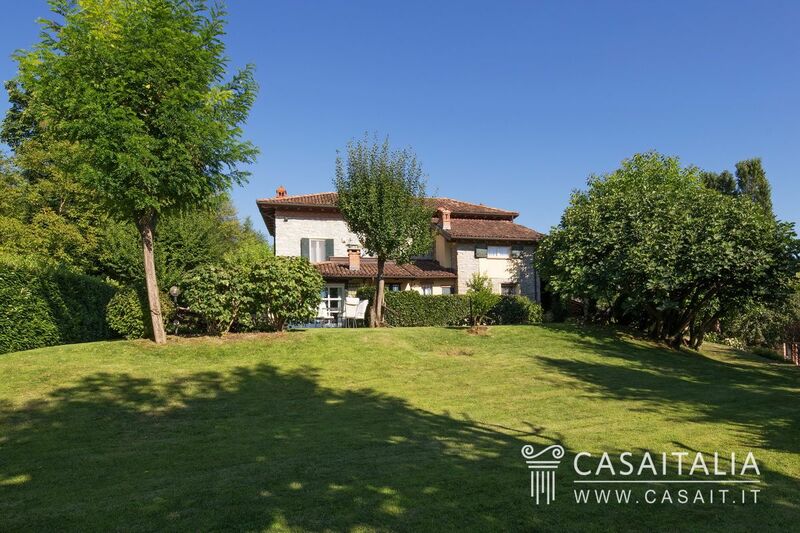 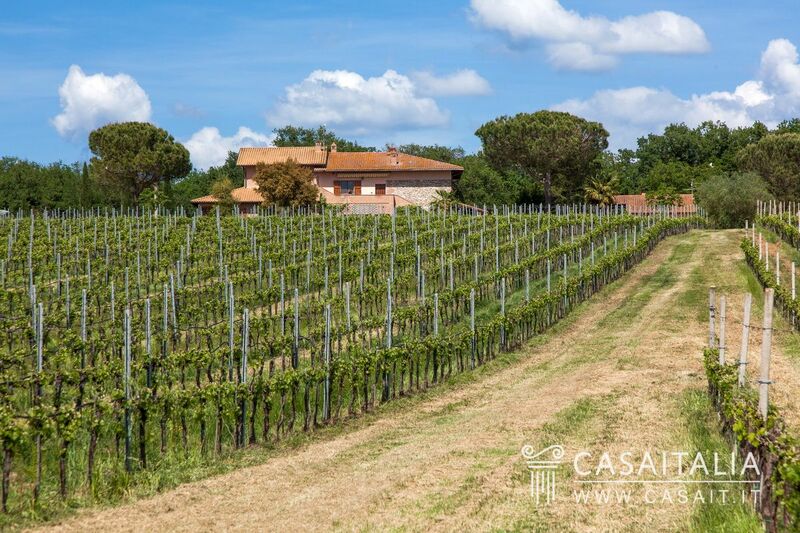 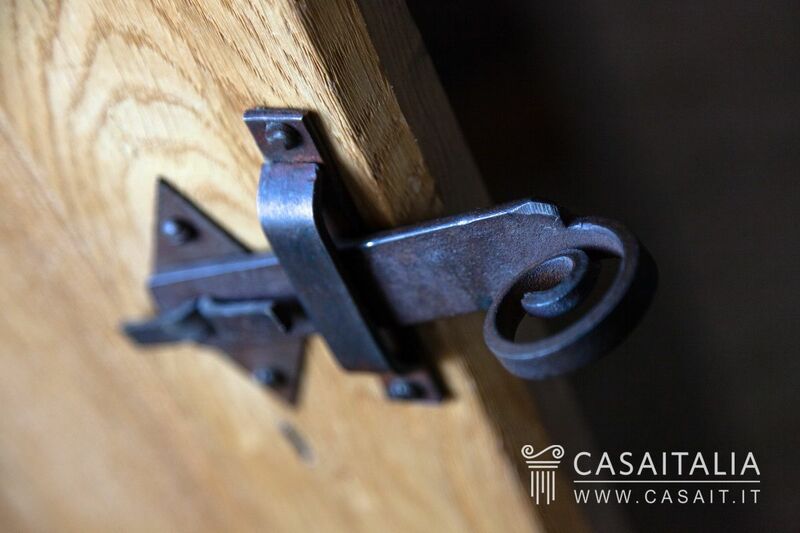 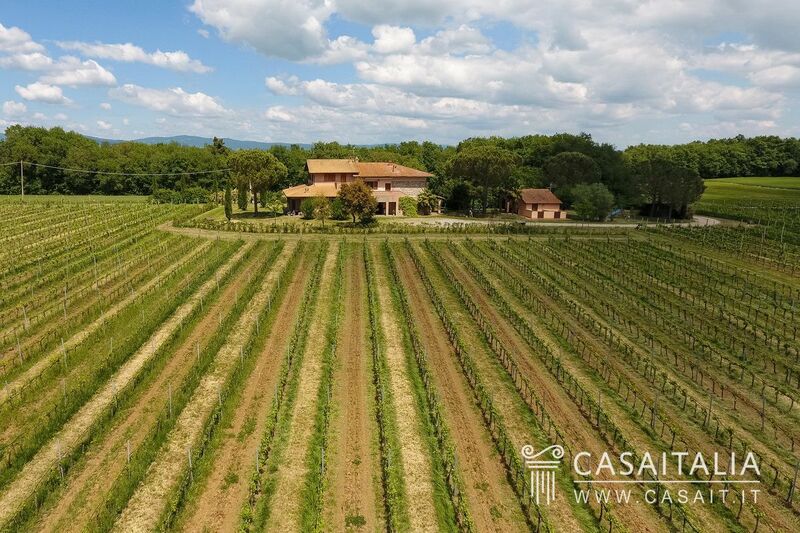 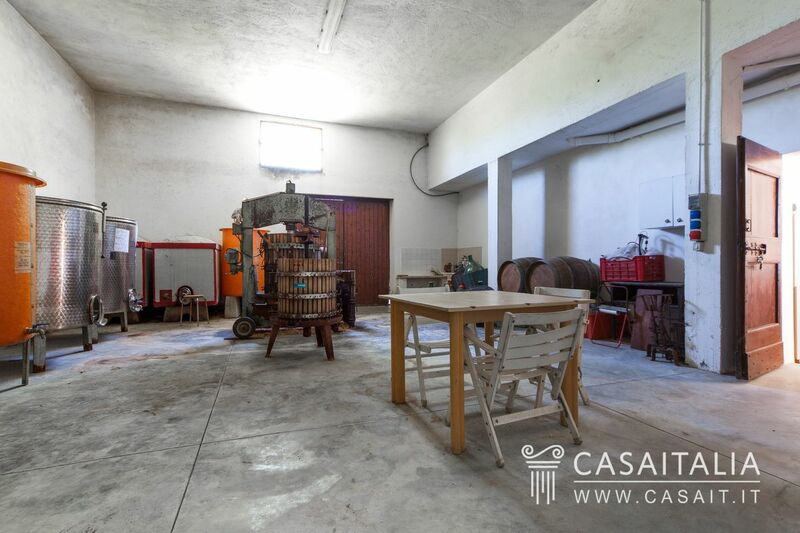 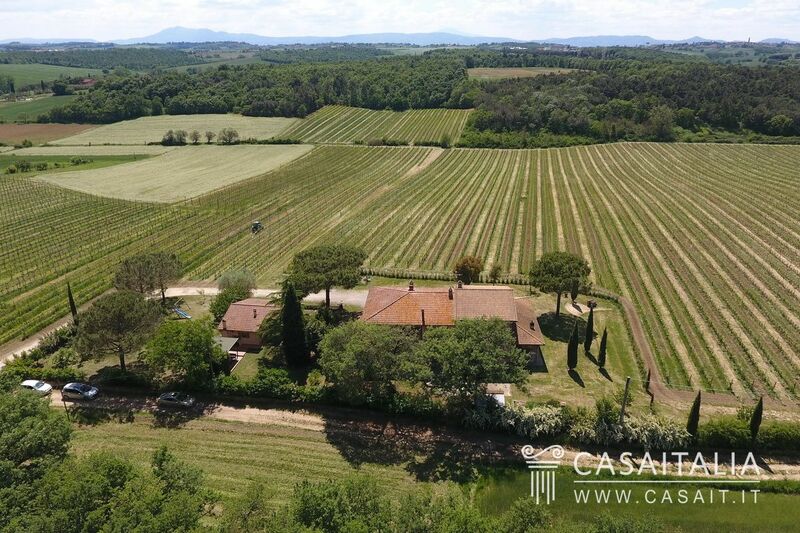 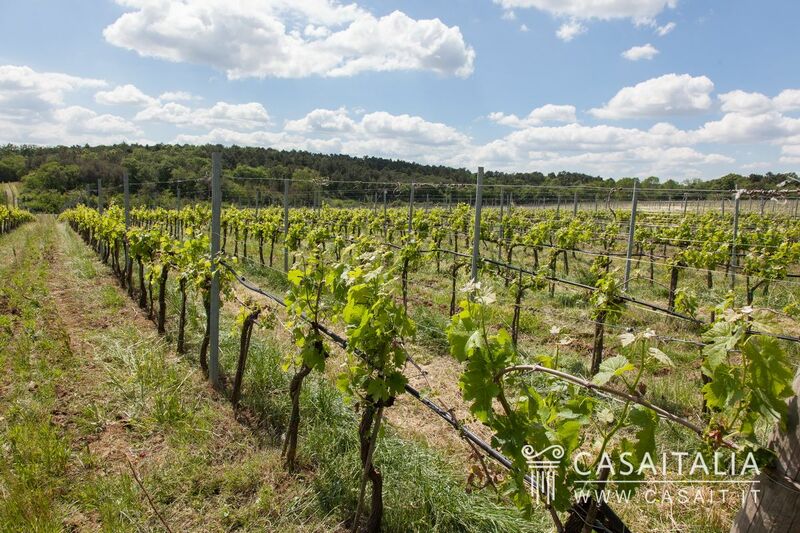 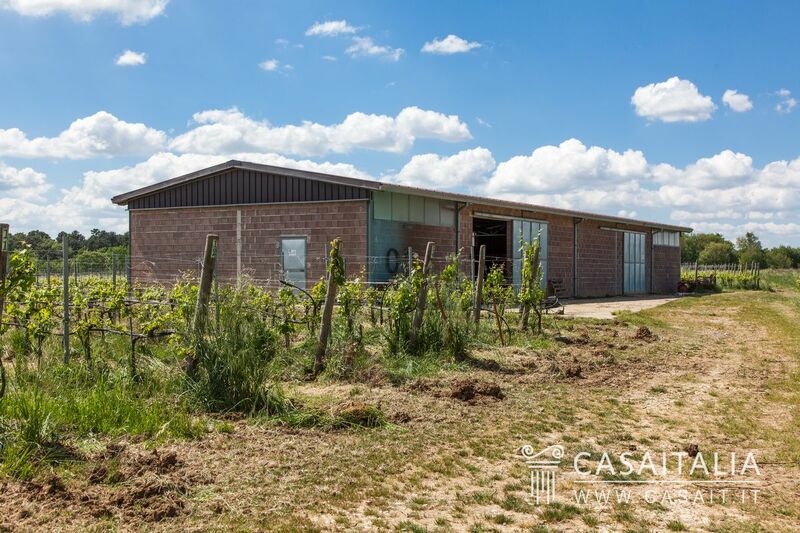 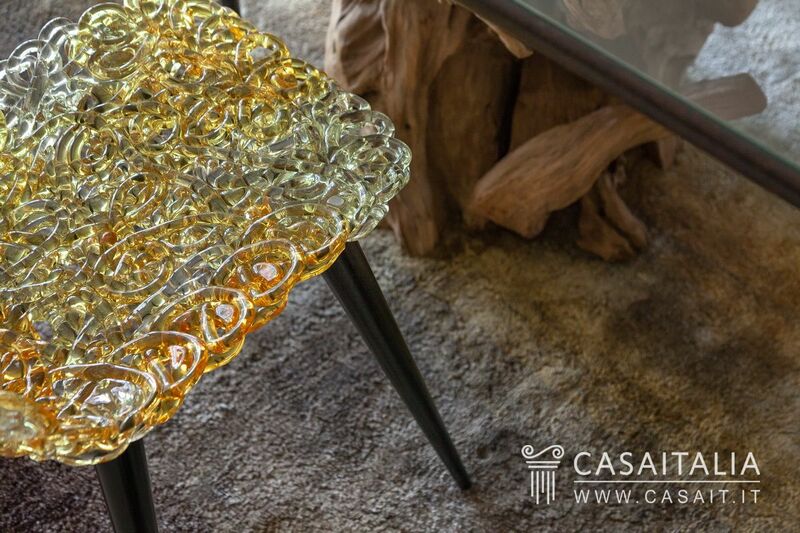 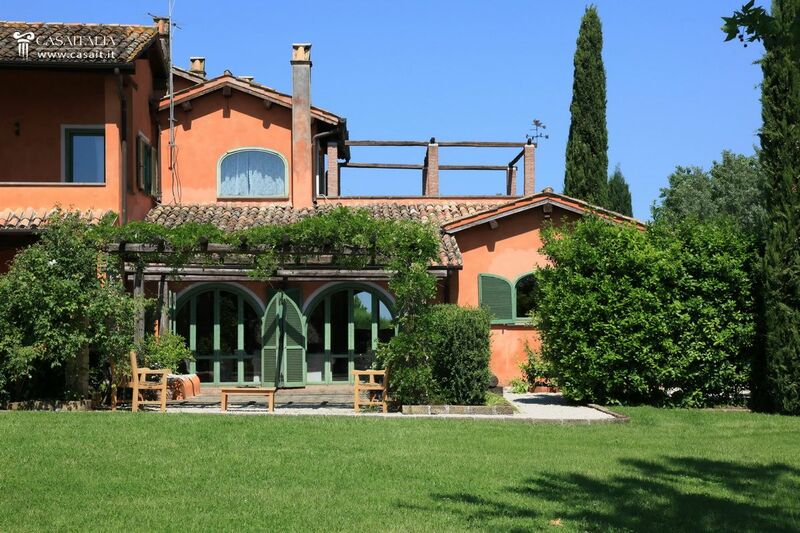 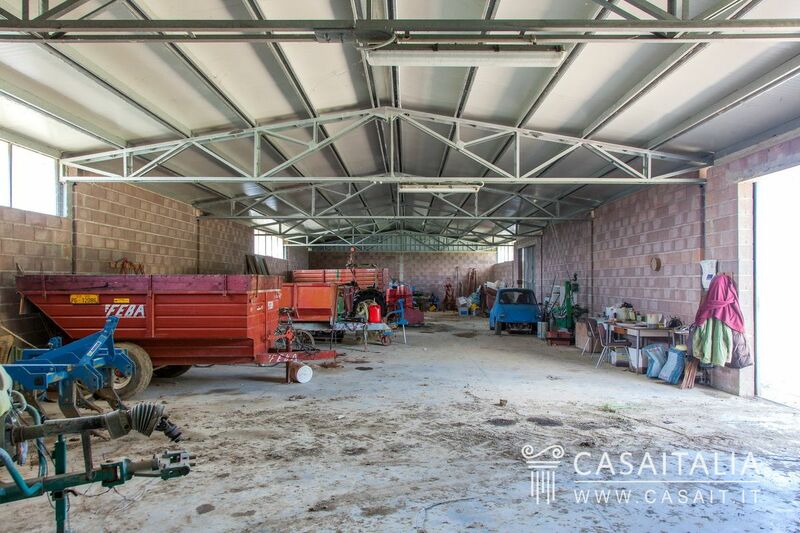 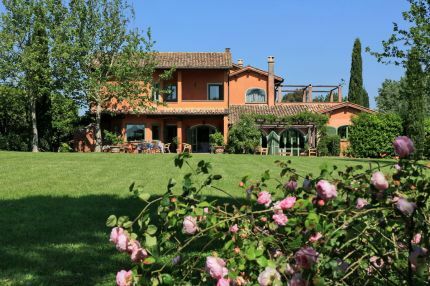 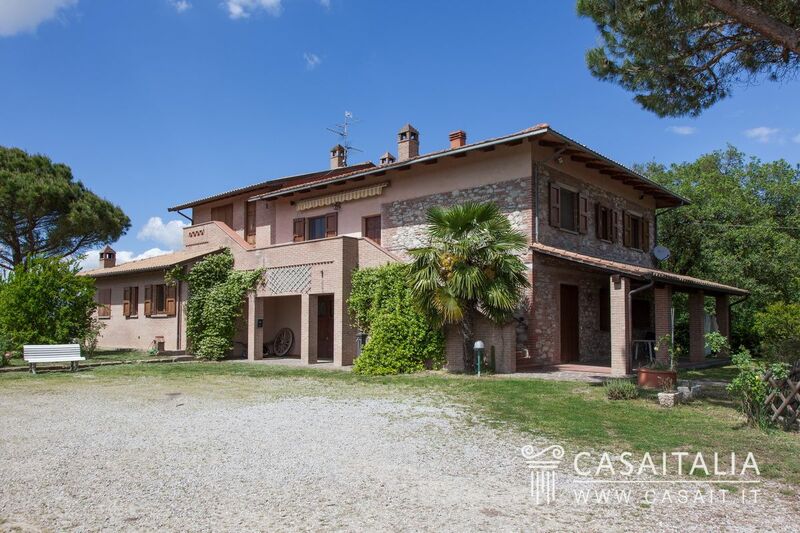 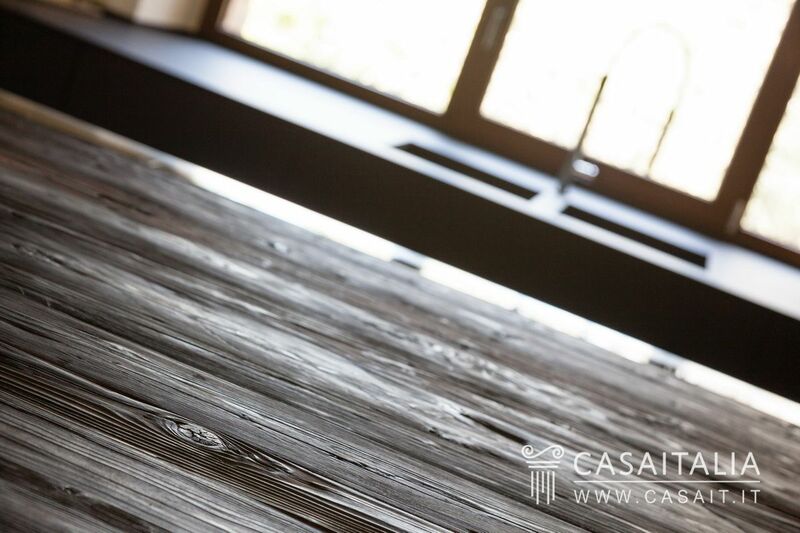 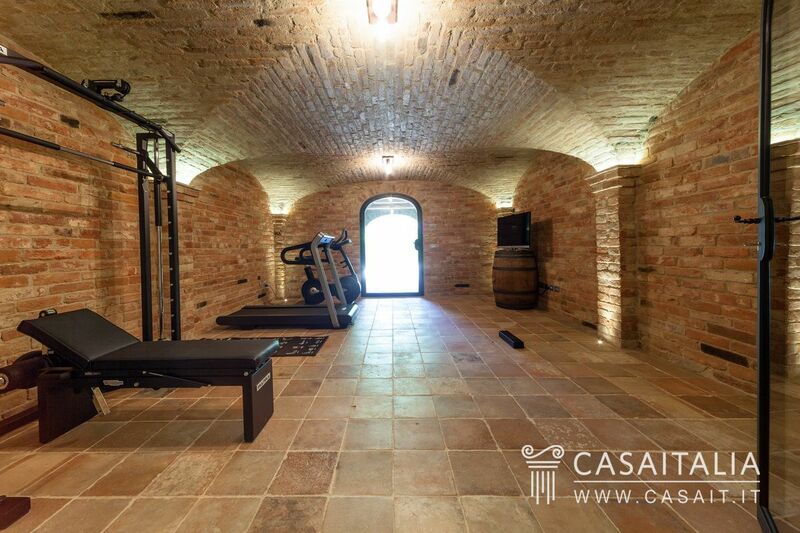 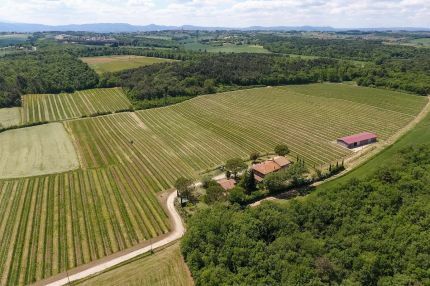 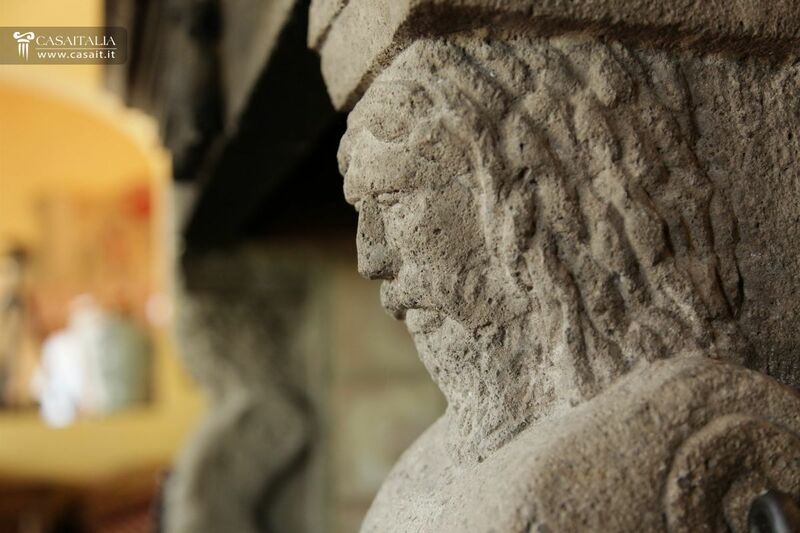 Winemaking business with 17 hectares of land including 13 of DOC vineyard, villa split into 4 apartments with large cellar, outbuilding and large storage unit for agricultural machinery, for sale five minutes from Castiglione del Lago and Lake Trasimeno. 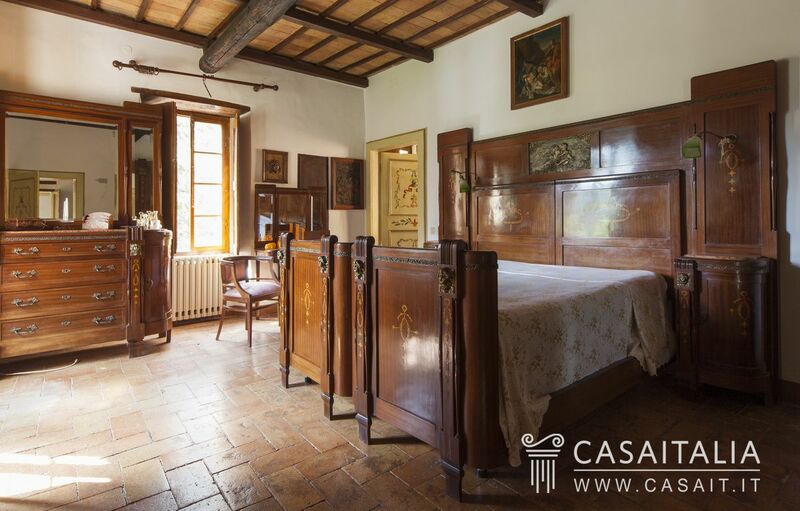 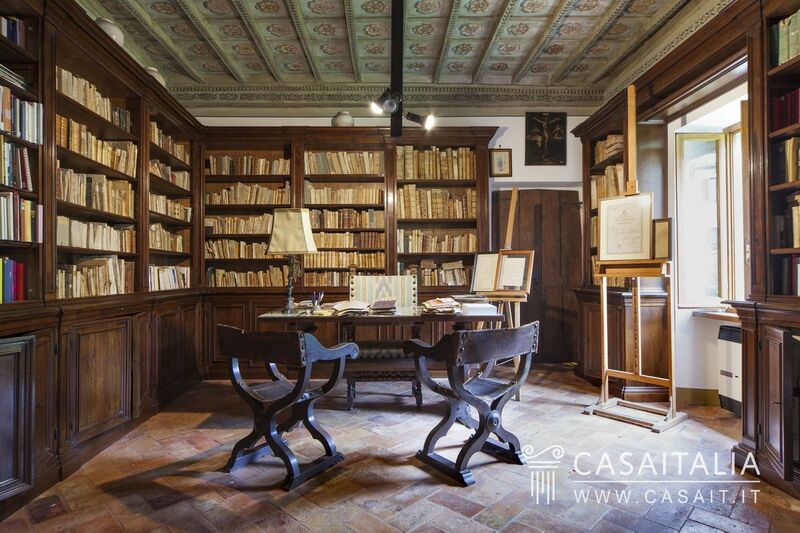 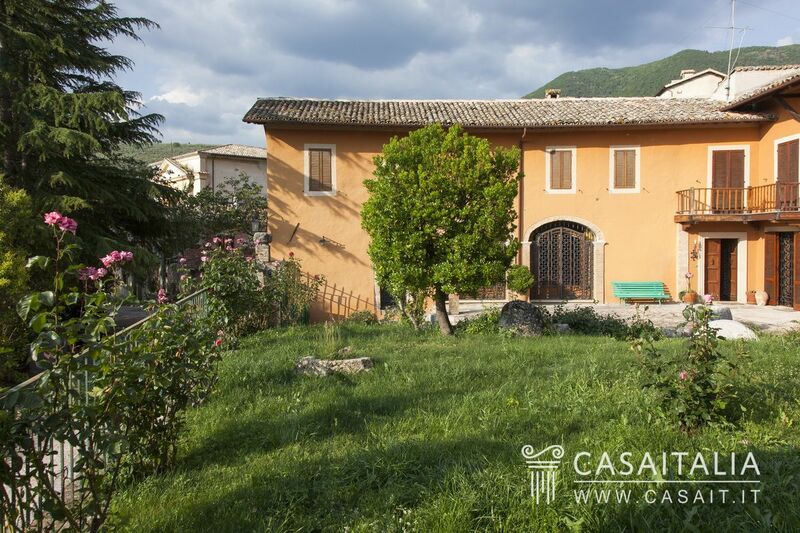 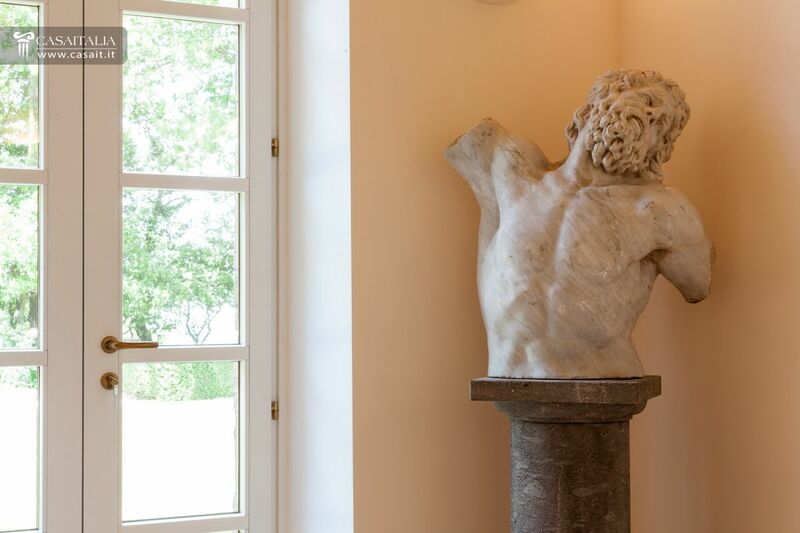 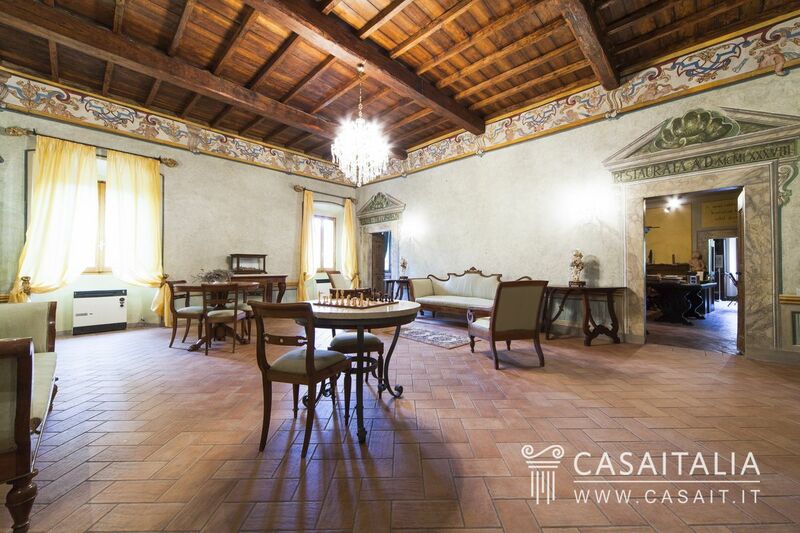 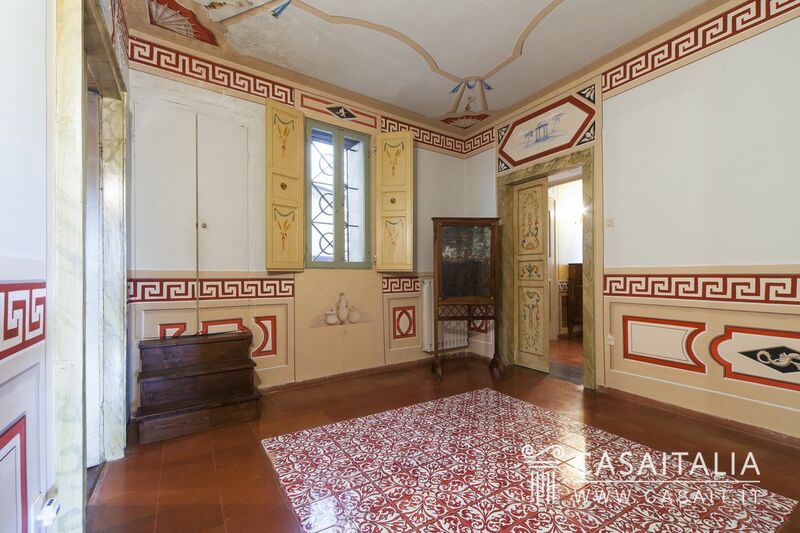 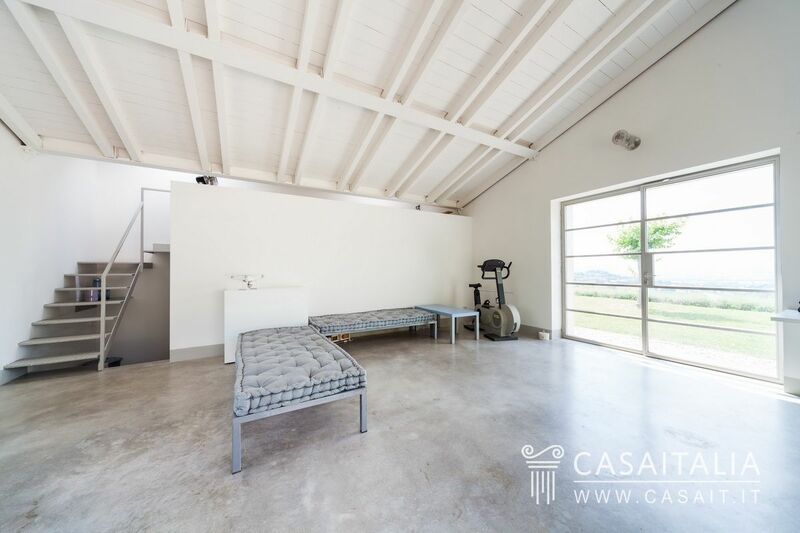 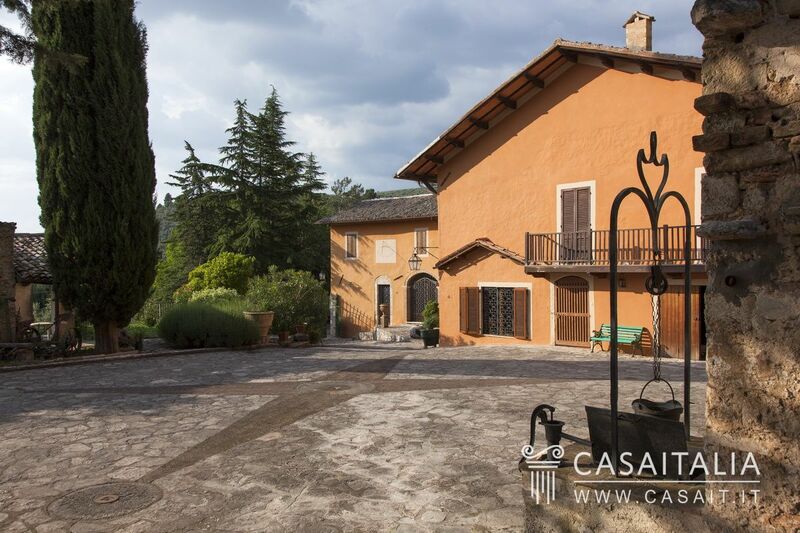 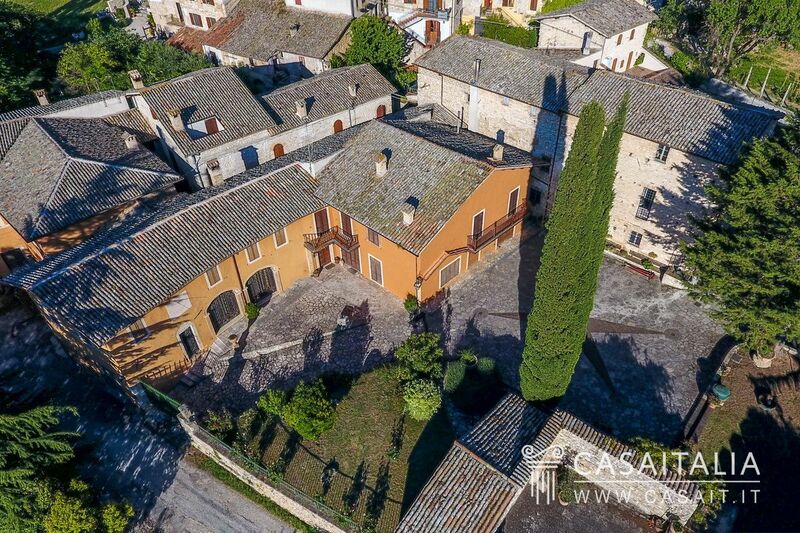 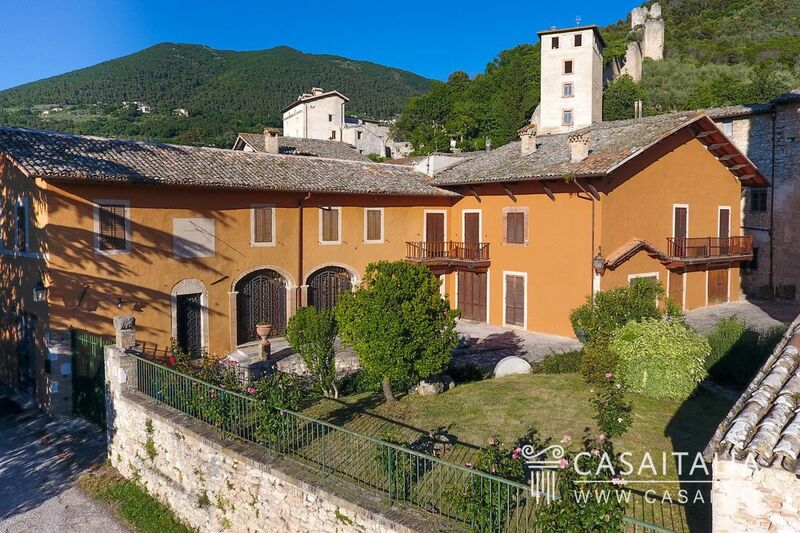 Restored period villa, around 770 sq.m in total, with adjacent 796 sq.m building requiring restoration to turn into accommodation, garage and about 5,600 sq.m of private land. 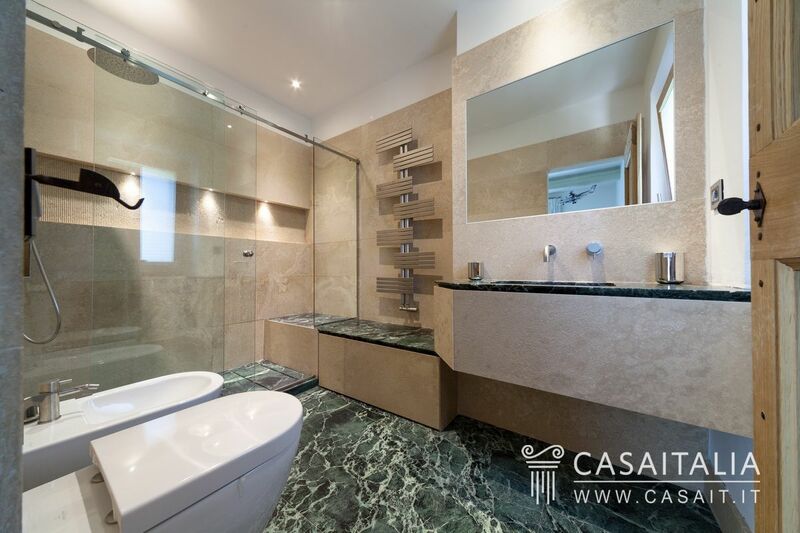 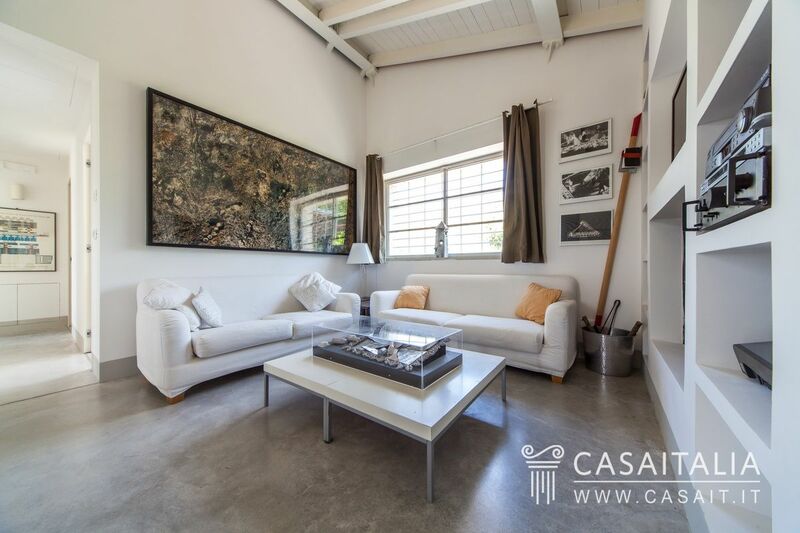 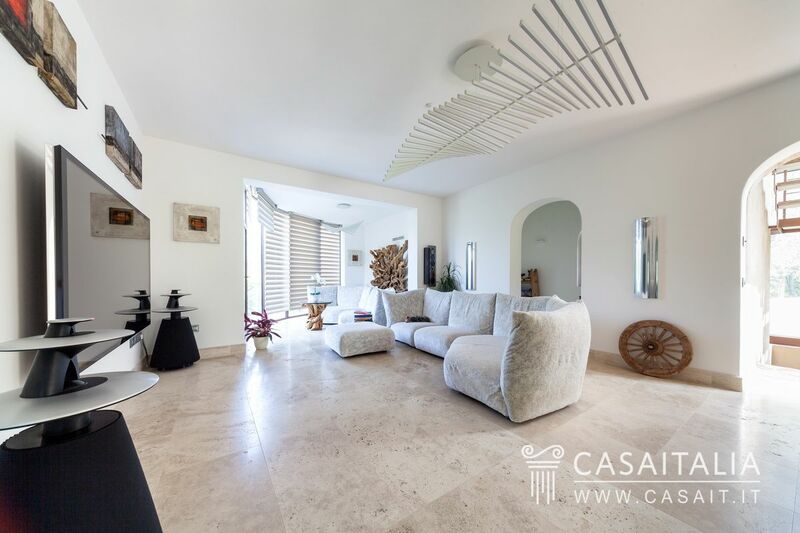 Large, impressive living space, 4 bedrooms, 3 bathrooms, decorated interior. 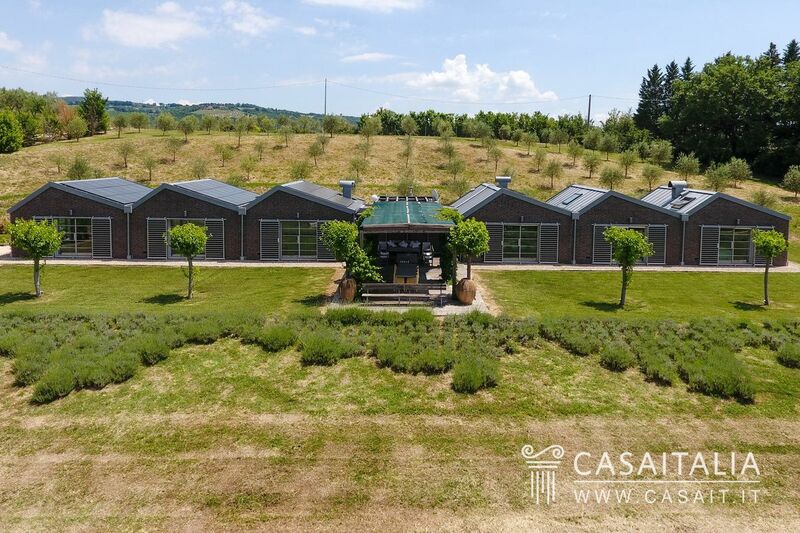 Two restored farmhouses, measuring 277 and 171 sq.m in total, surrounded by 5000 sq.m of private land with several annexes. 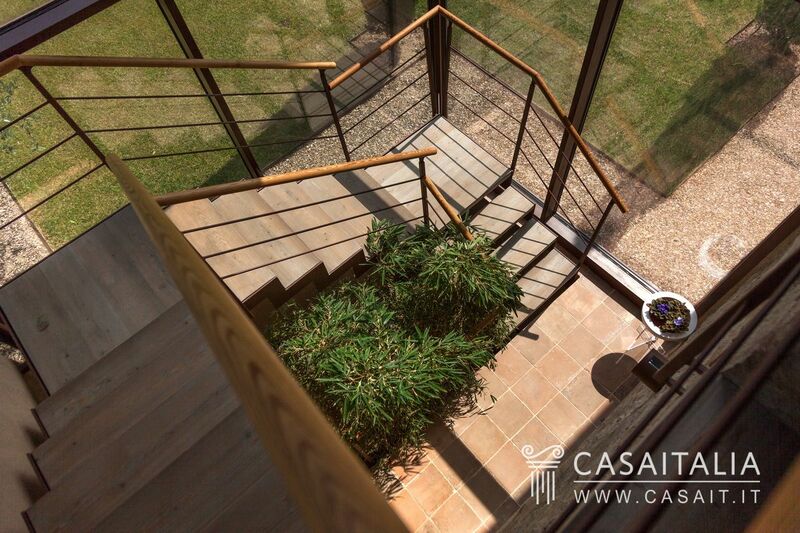 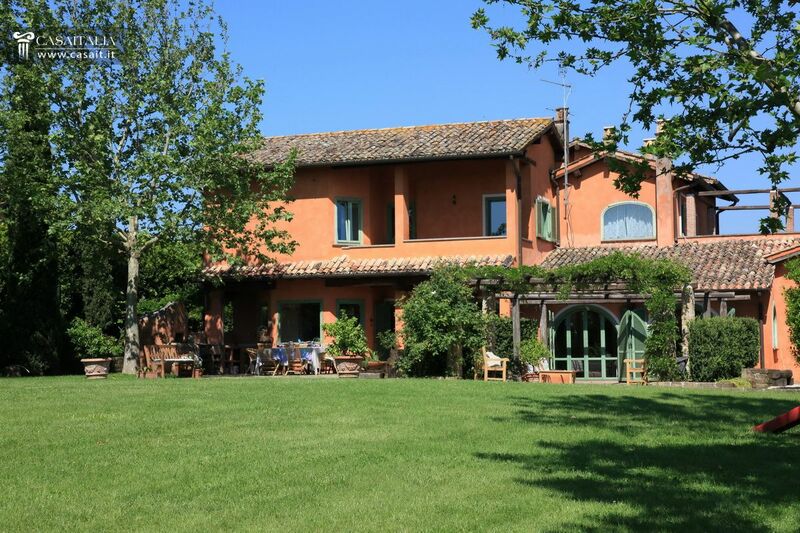 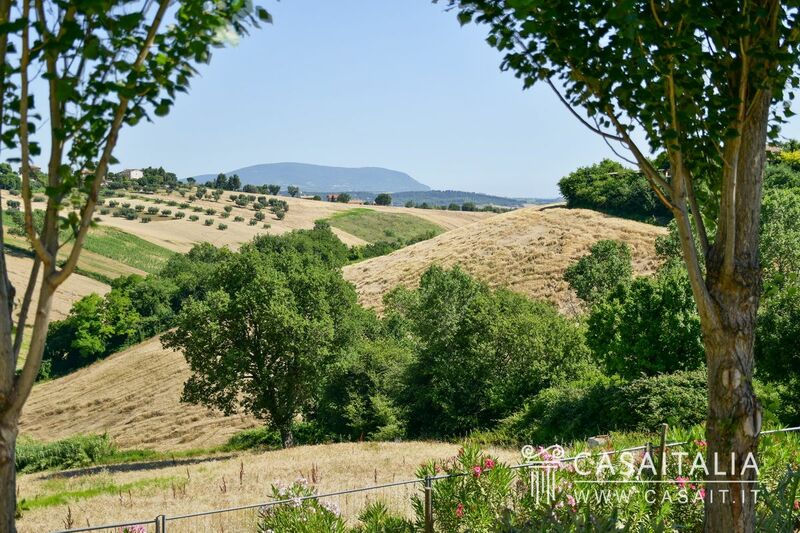 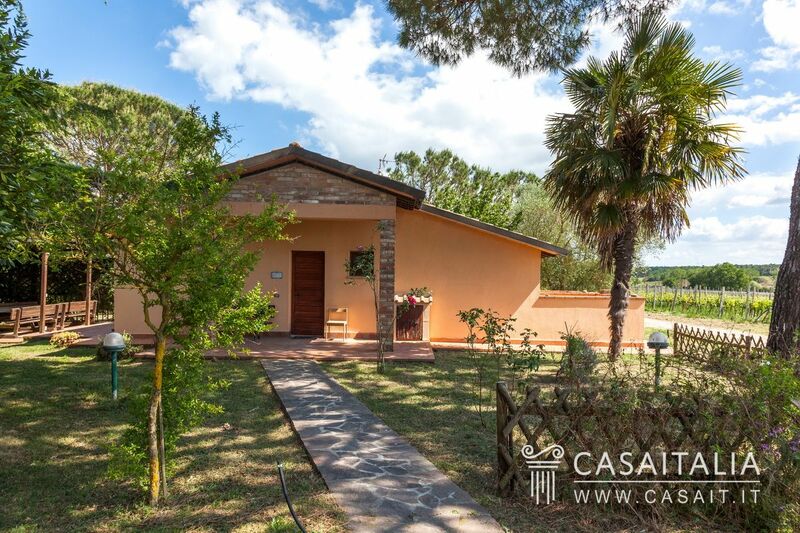 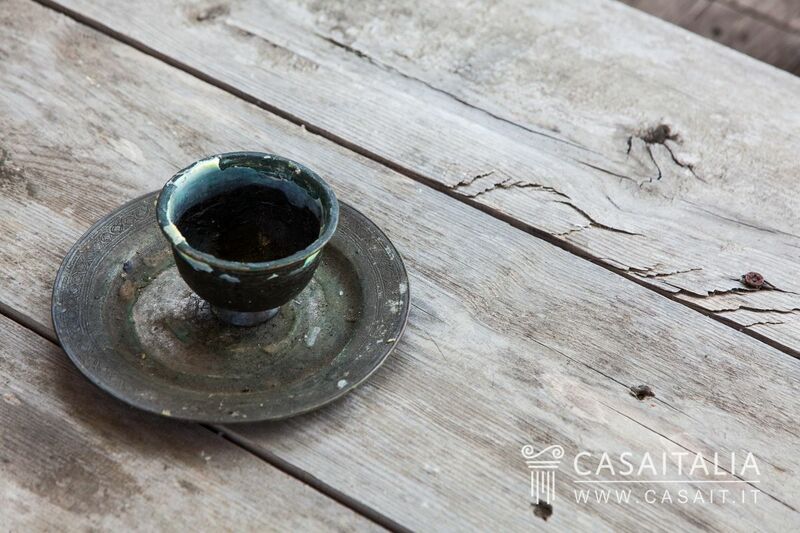 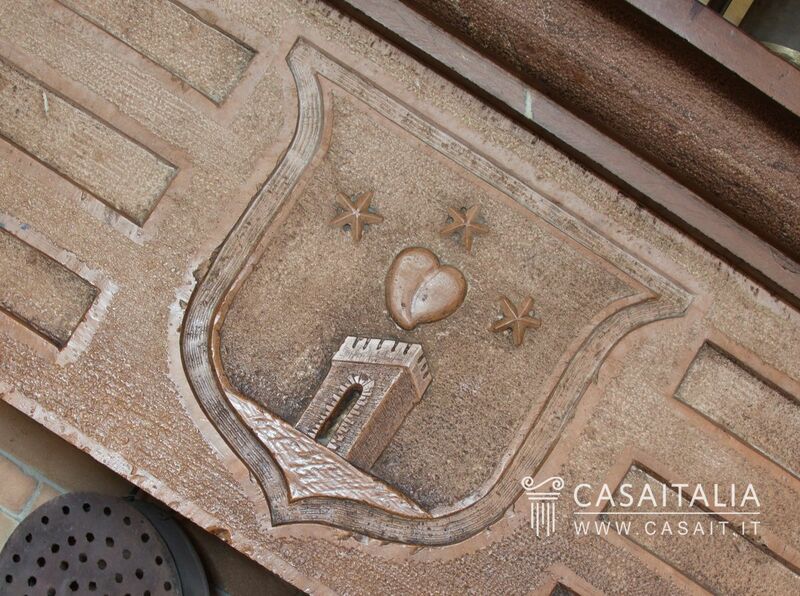 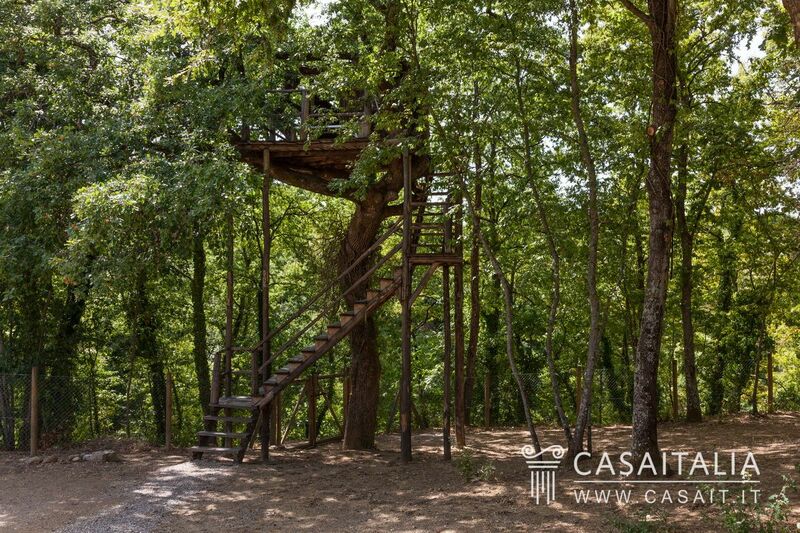 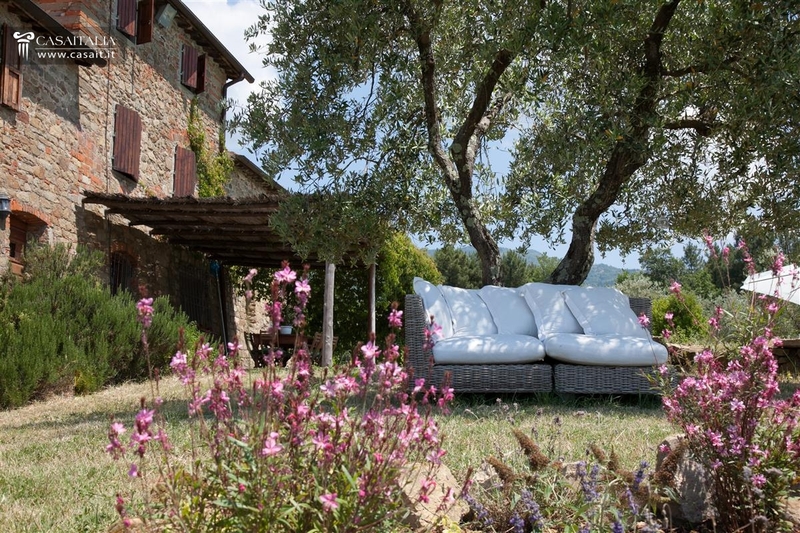 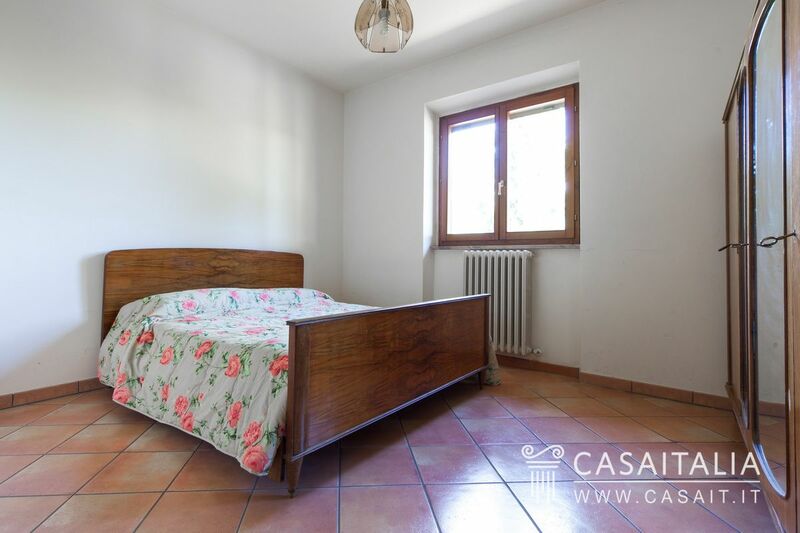 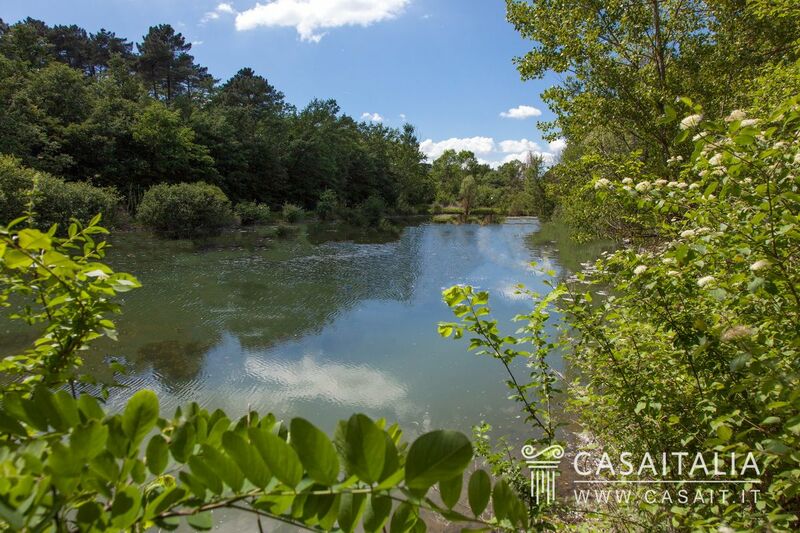 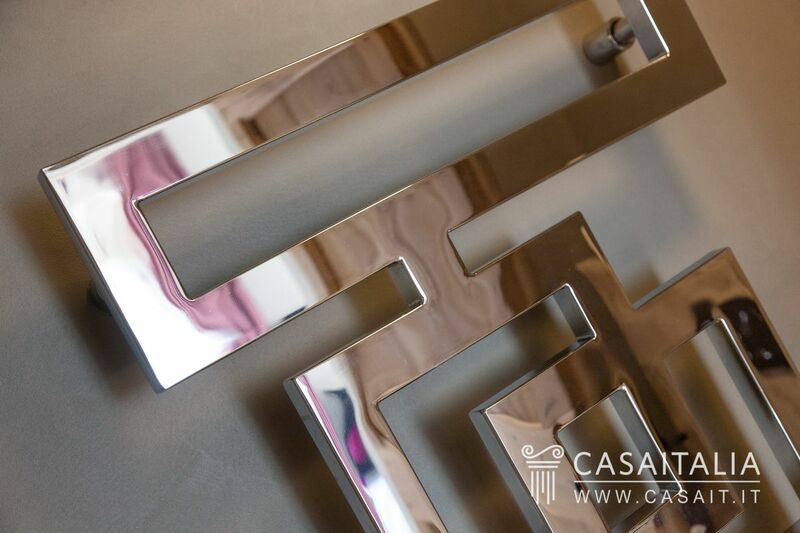 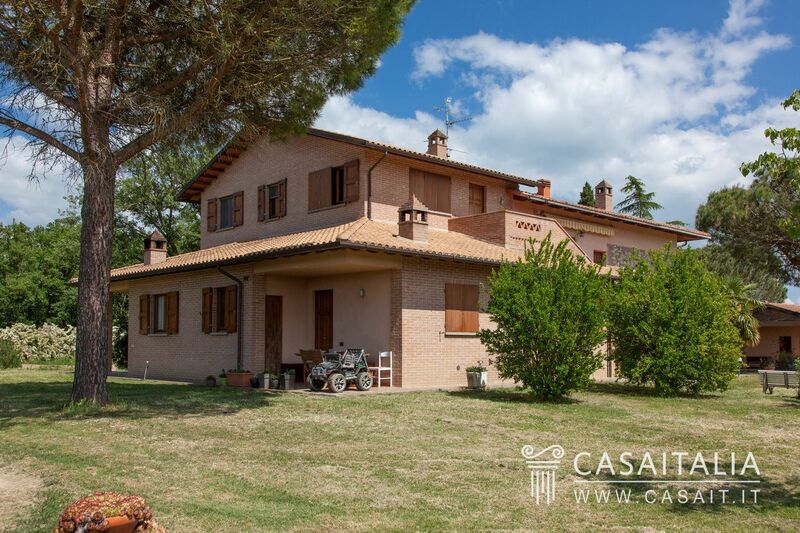 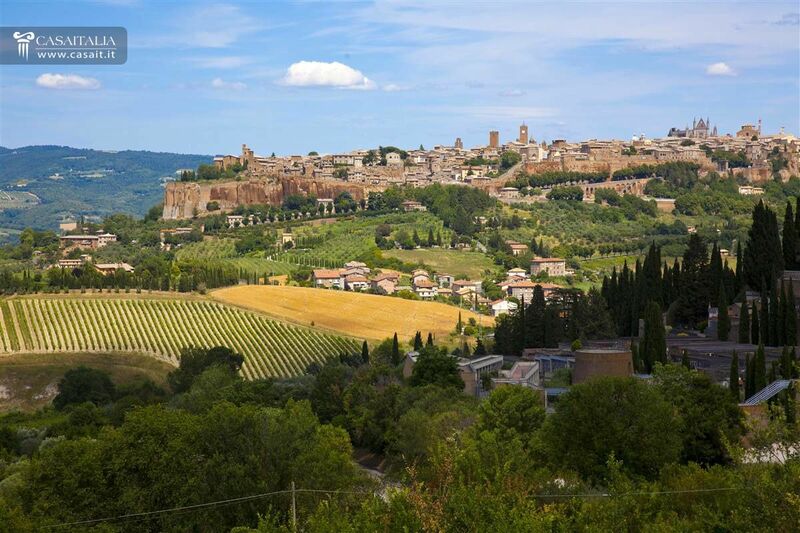 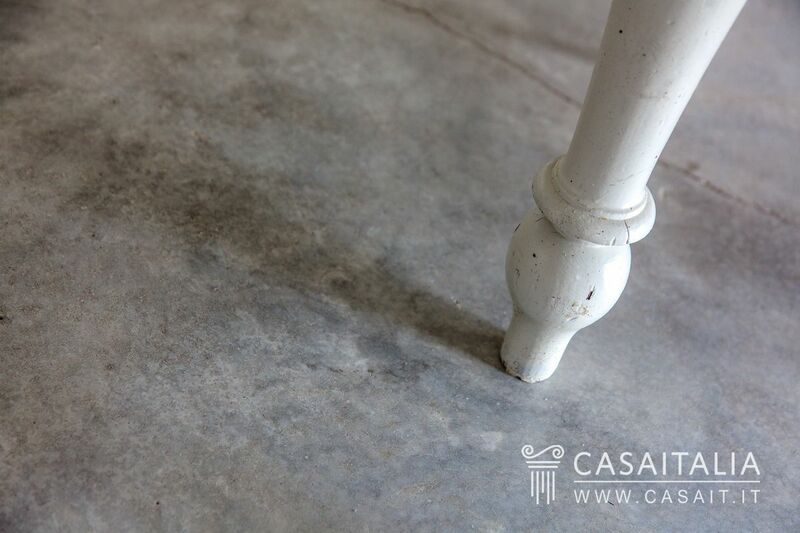 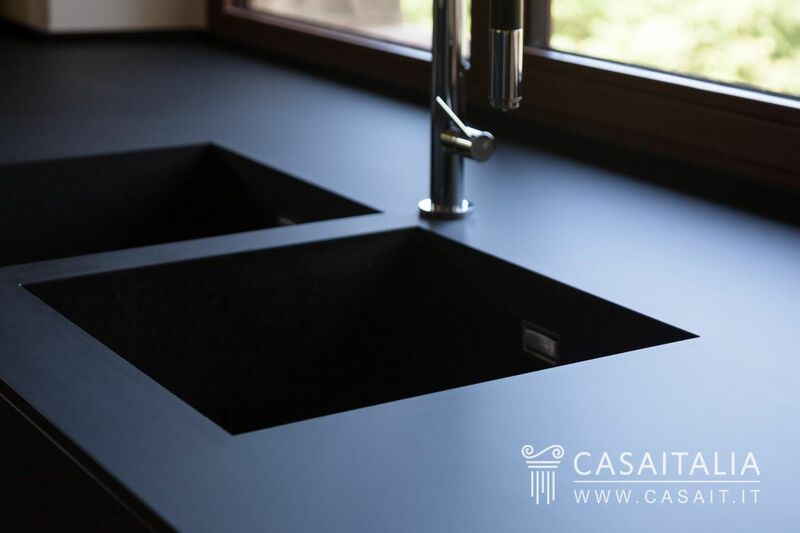 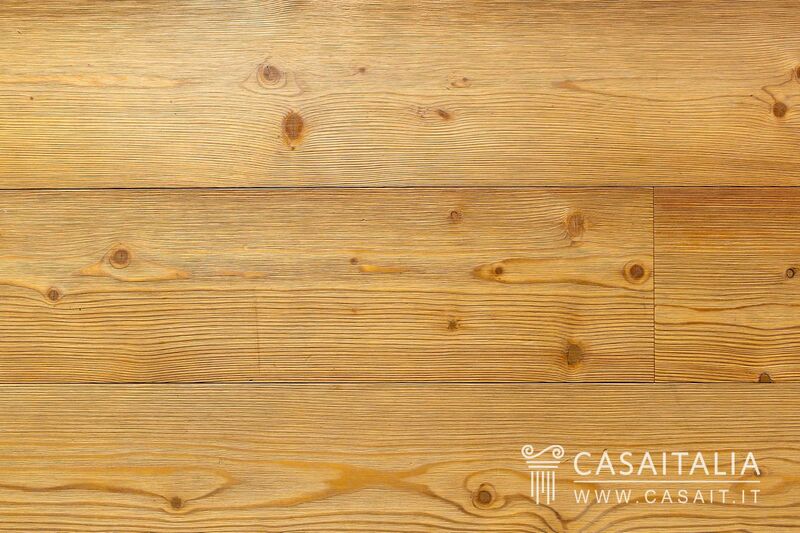 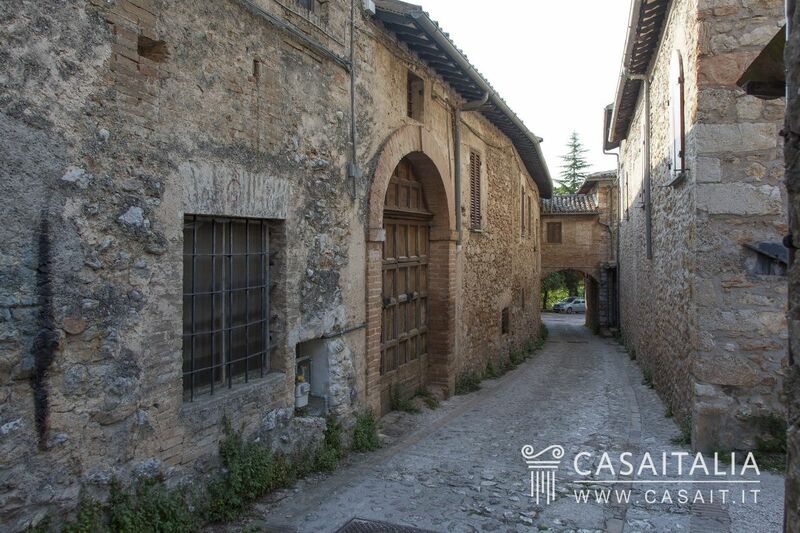 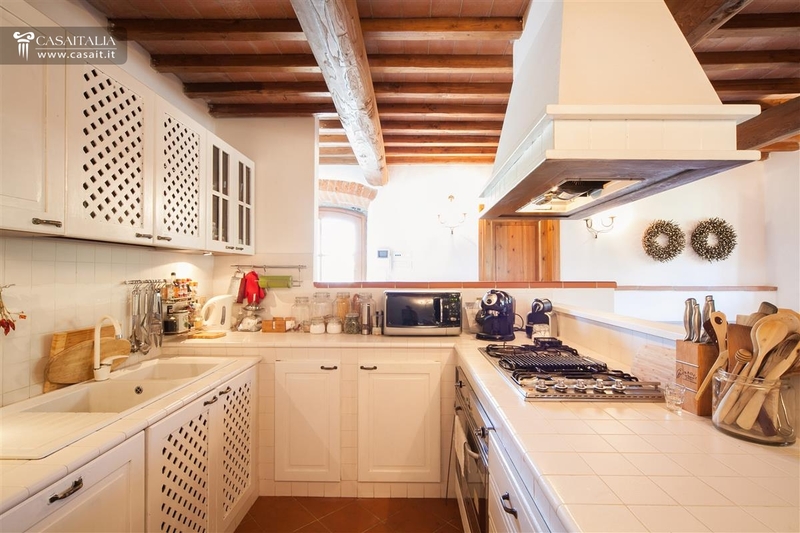 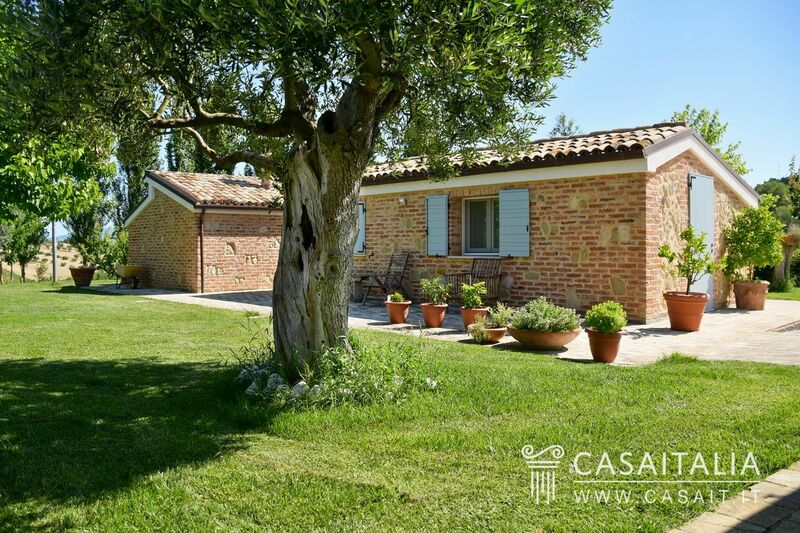 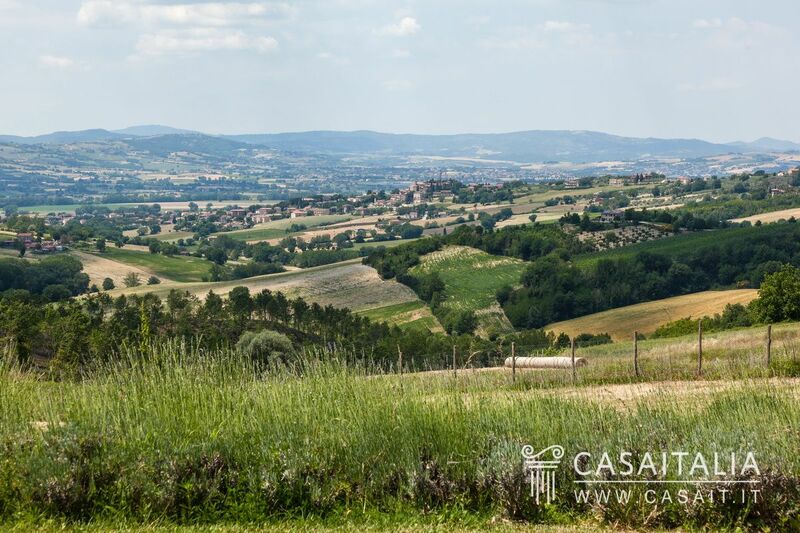 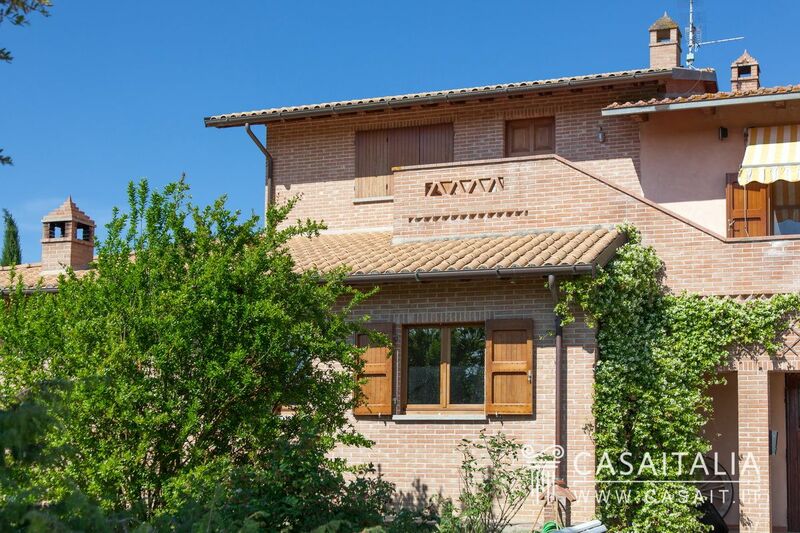 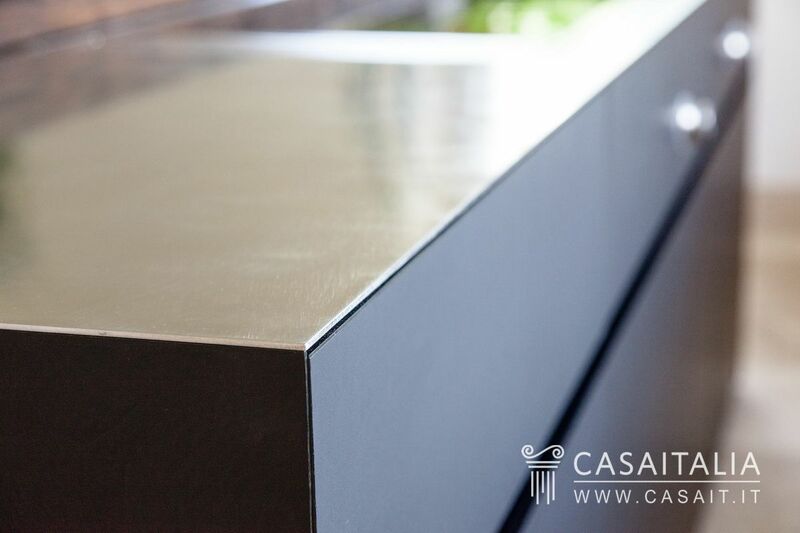 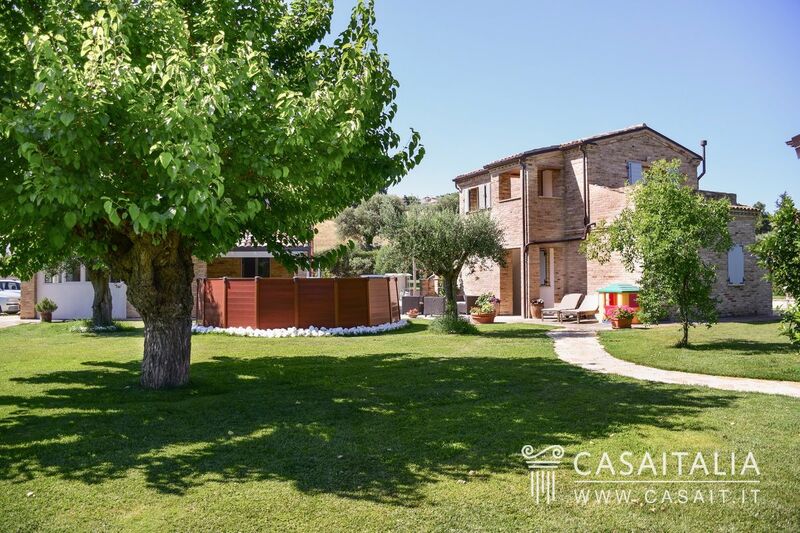 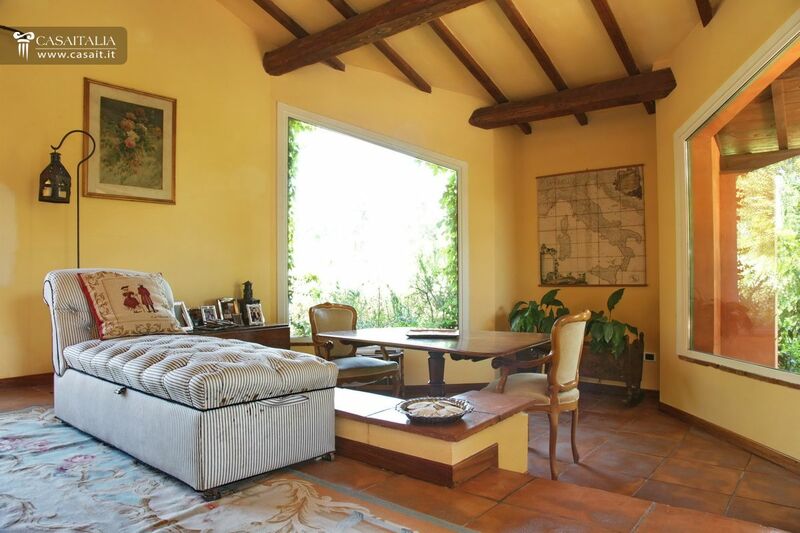 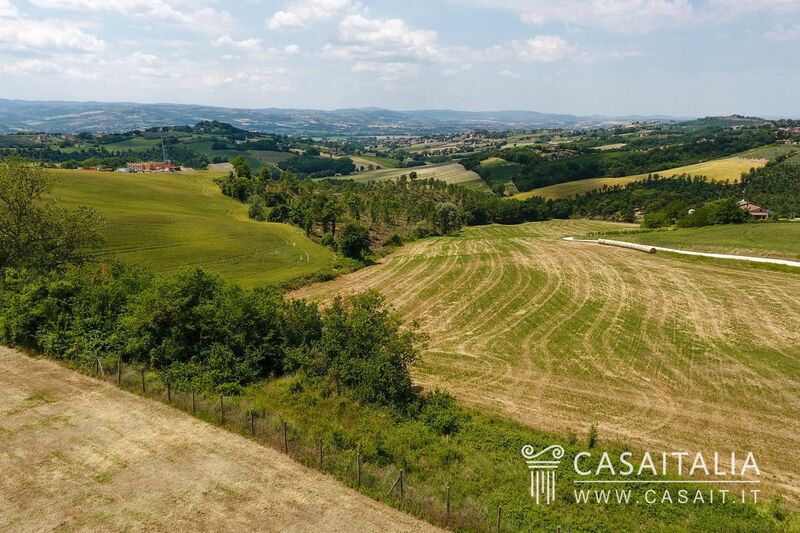 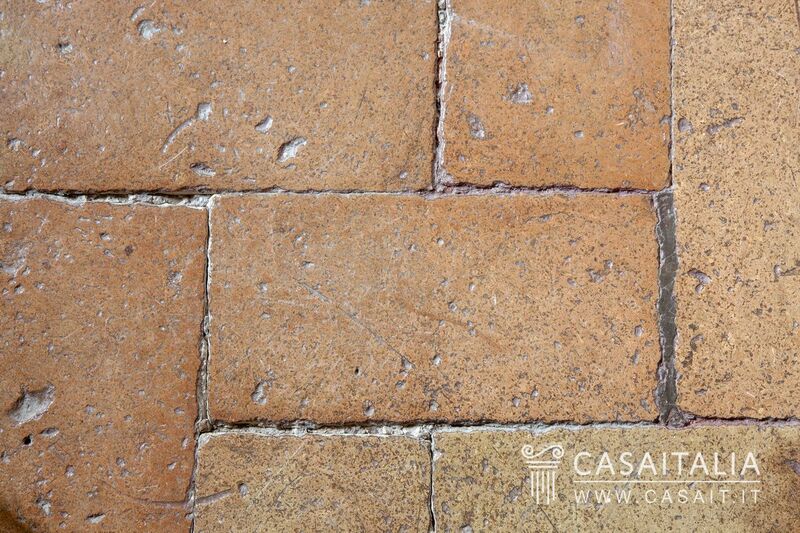 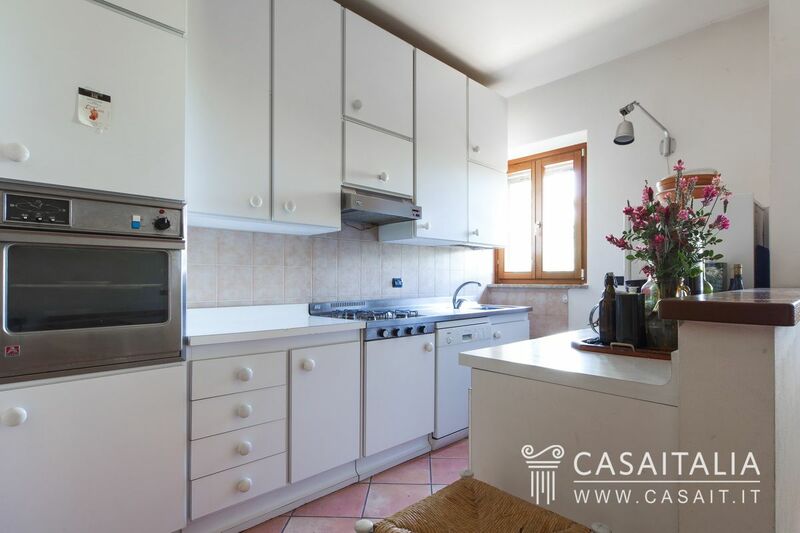 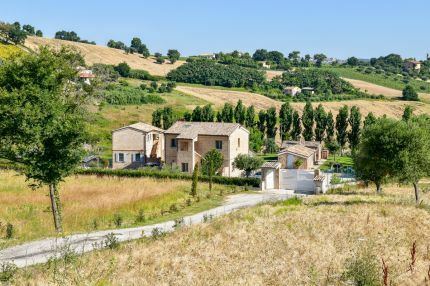 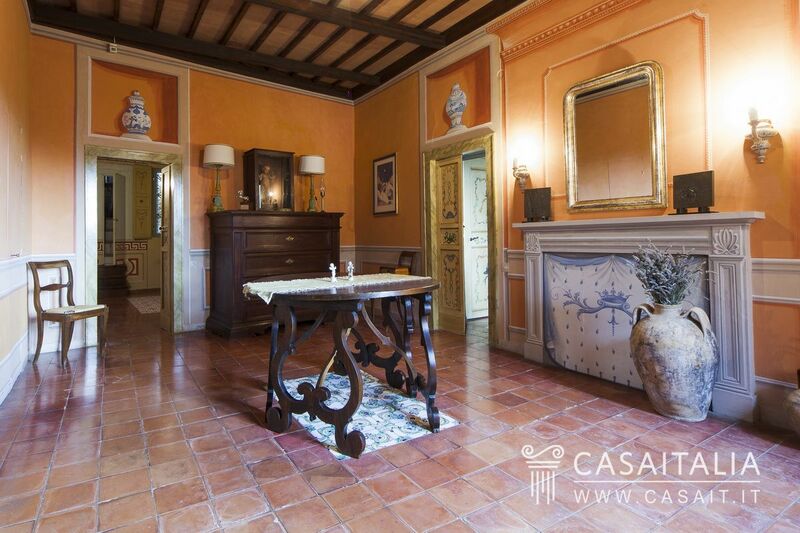 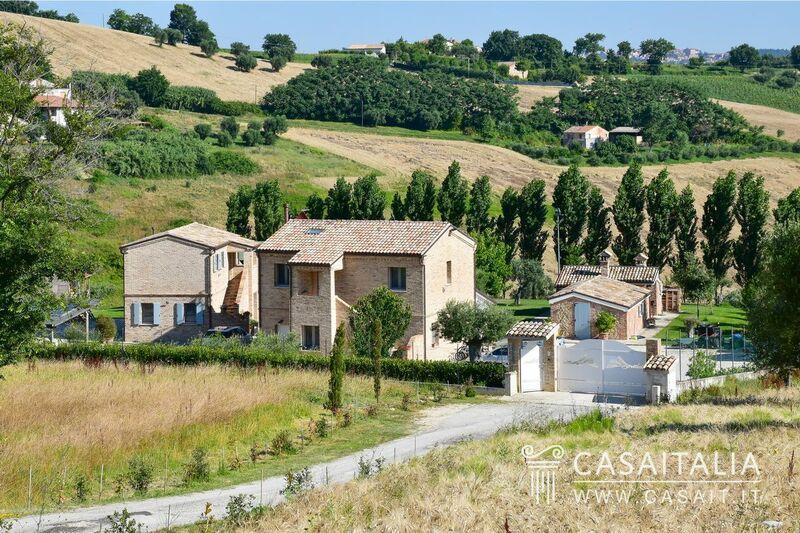 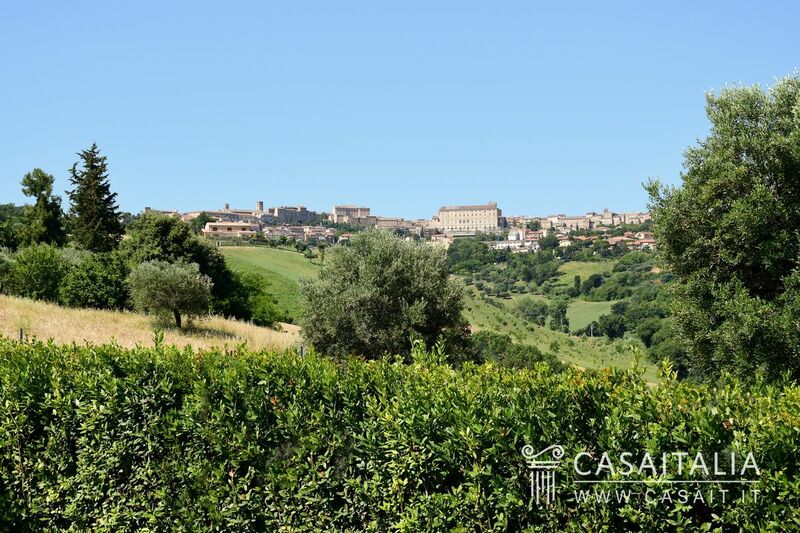 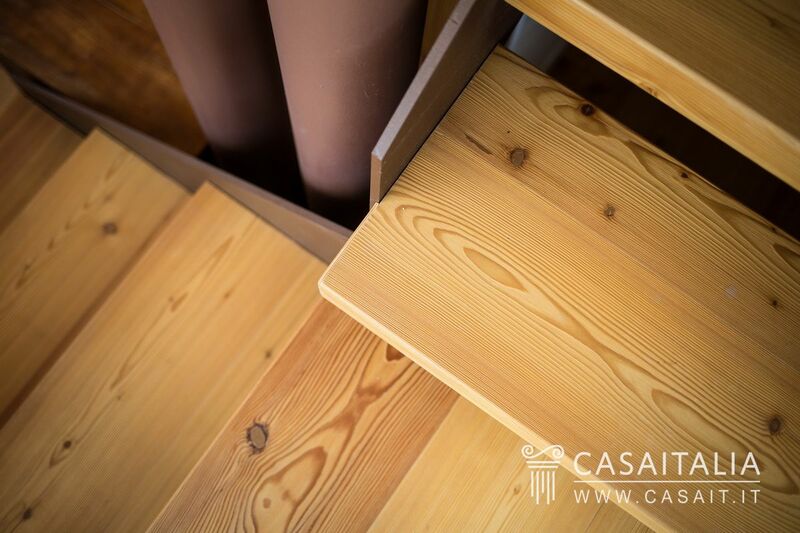 Hilly location, just 3 km from Recanati and 10 km from the sea. 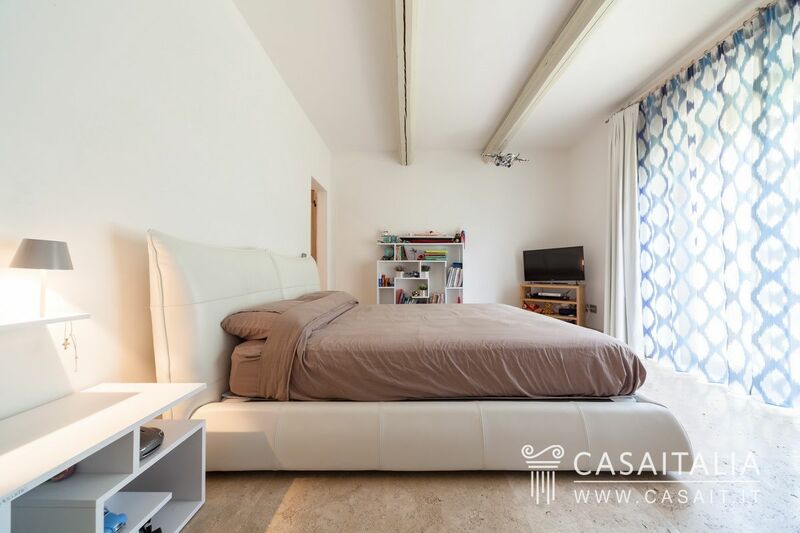 With 6 bedrooms and 6 bathrooms in total, large living spaces and covered parking. 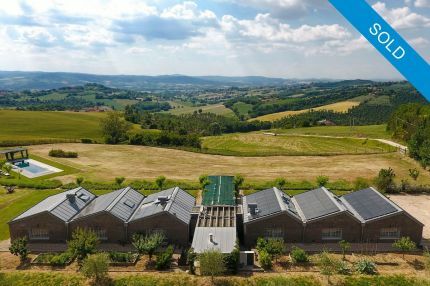 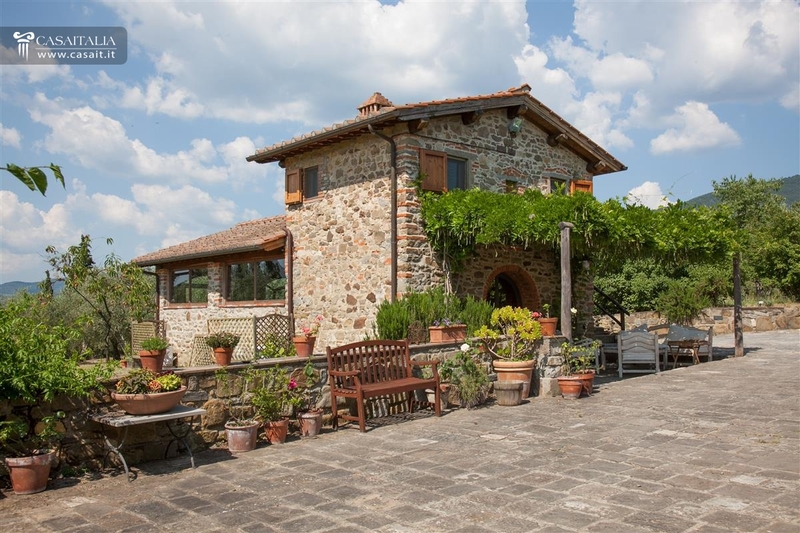 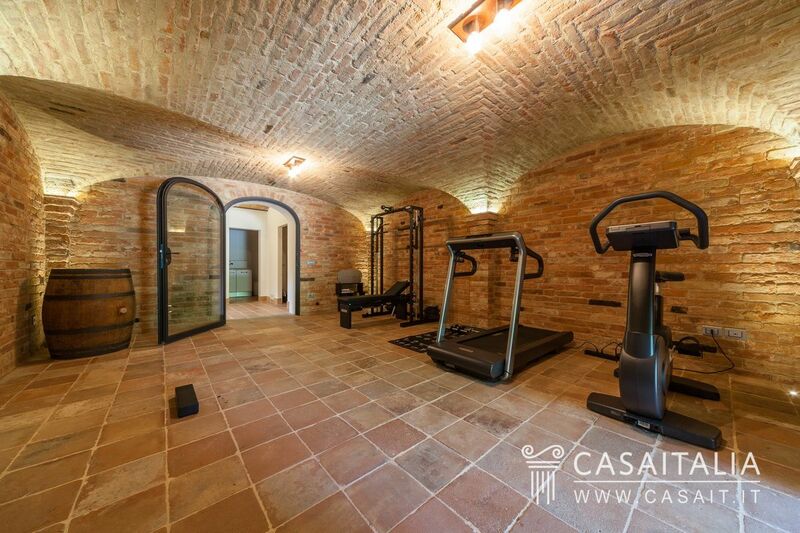 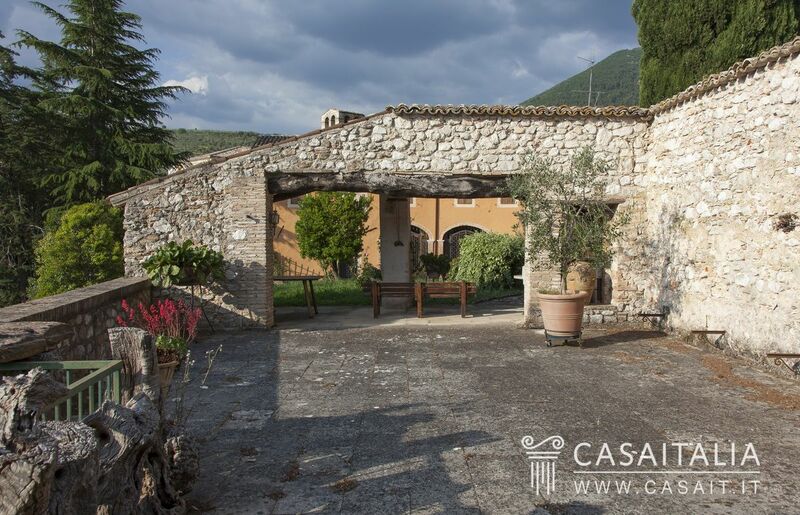 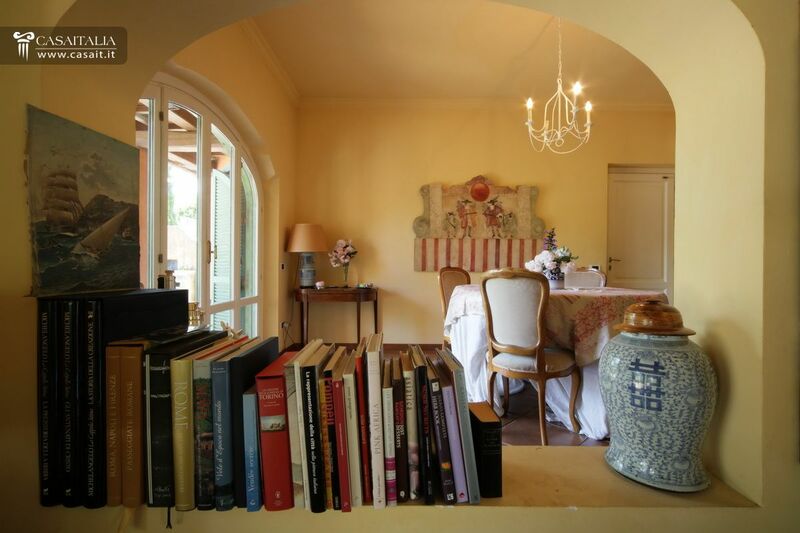 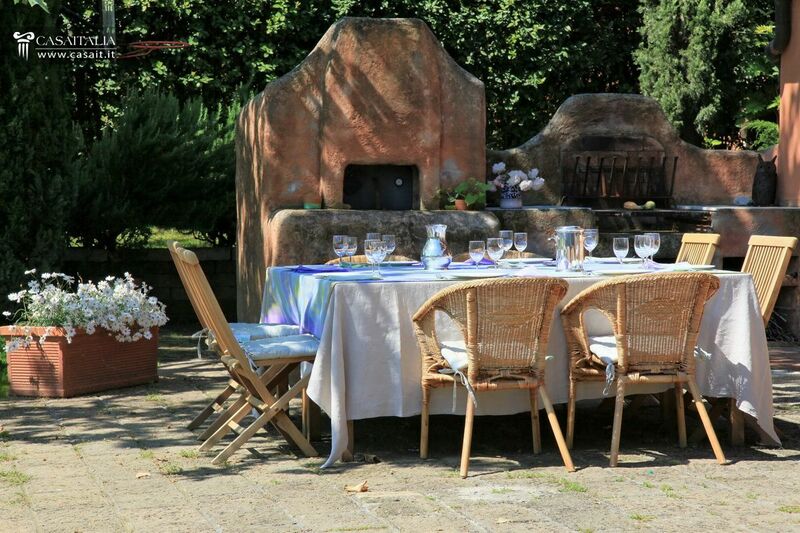 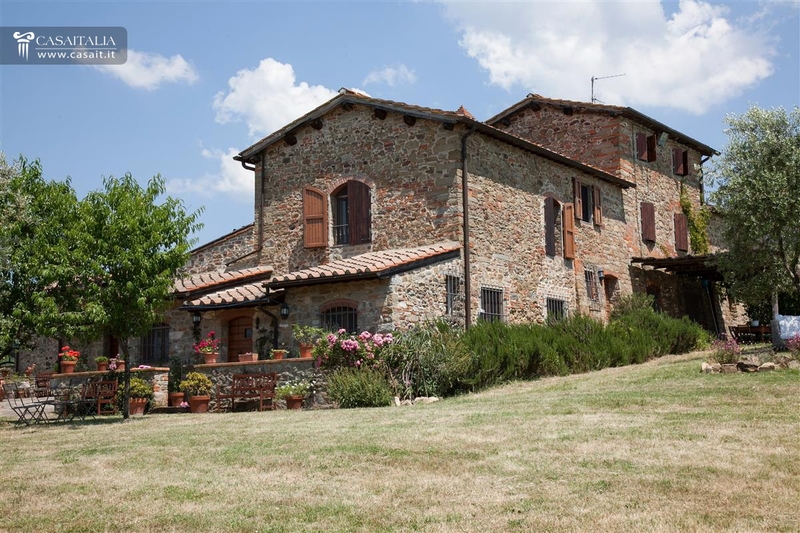 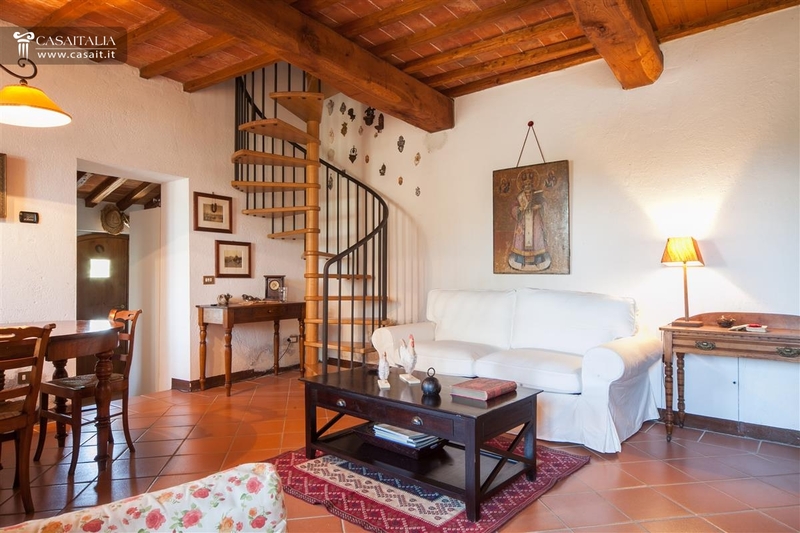 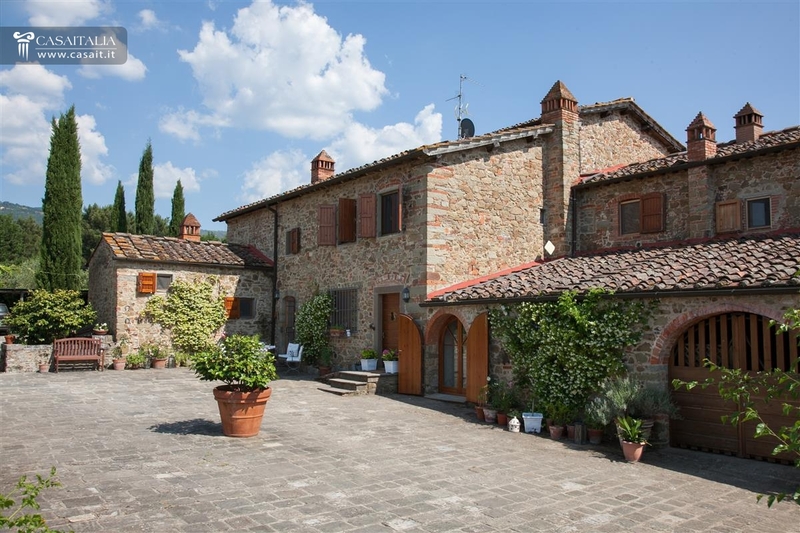 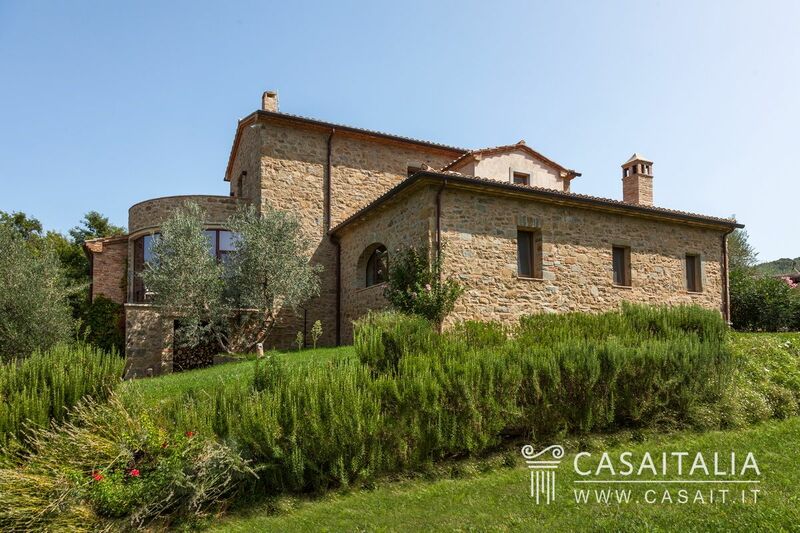 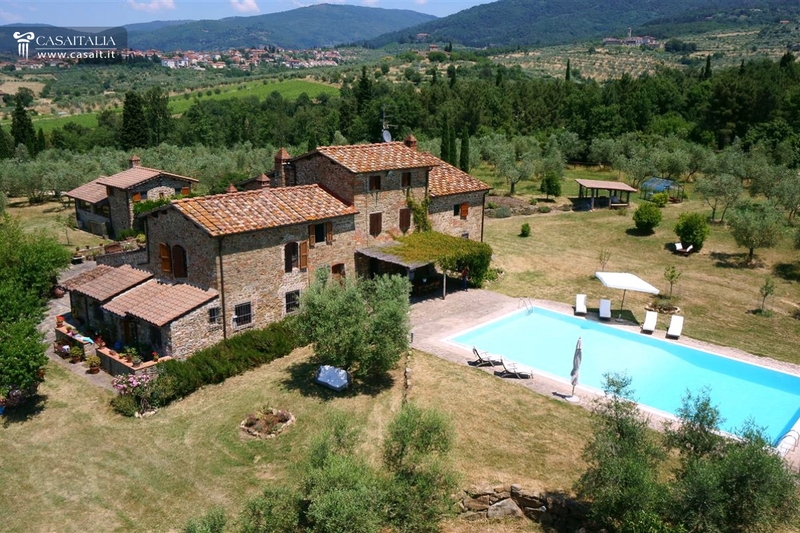 In hilly and panoramic position, 29 km from Florence, characteristic restored Tuscan stone farmhouse of 556 square meters with outbuilding of 87 sqm and private grounds of 11 hectares with pool, vineyard and olive grove. 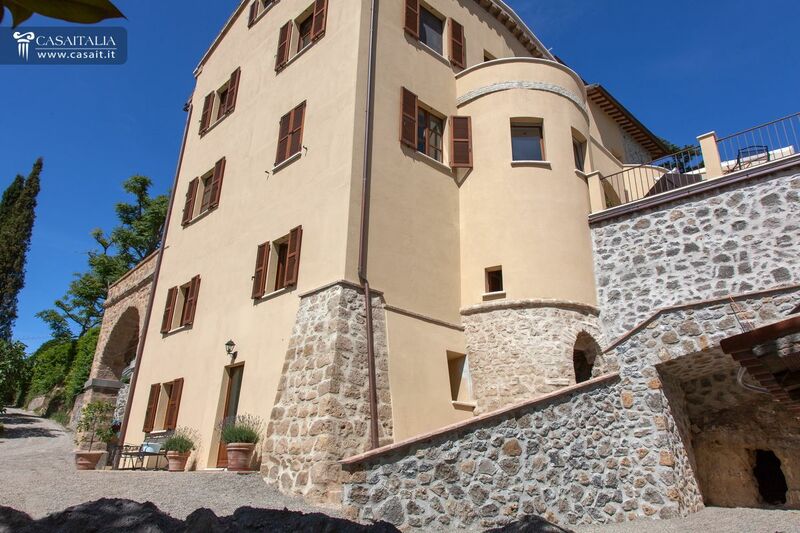 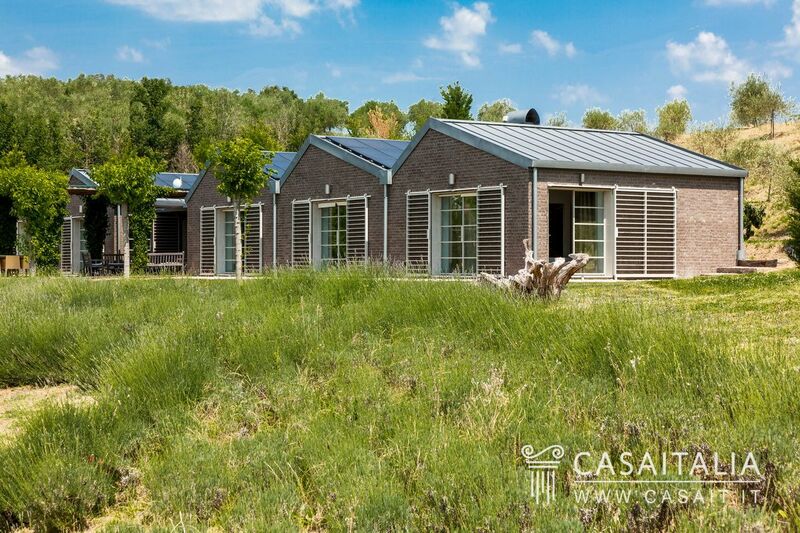 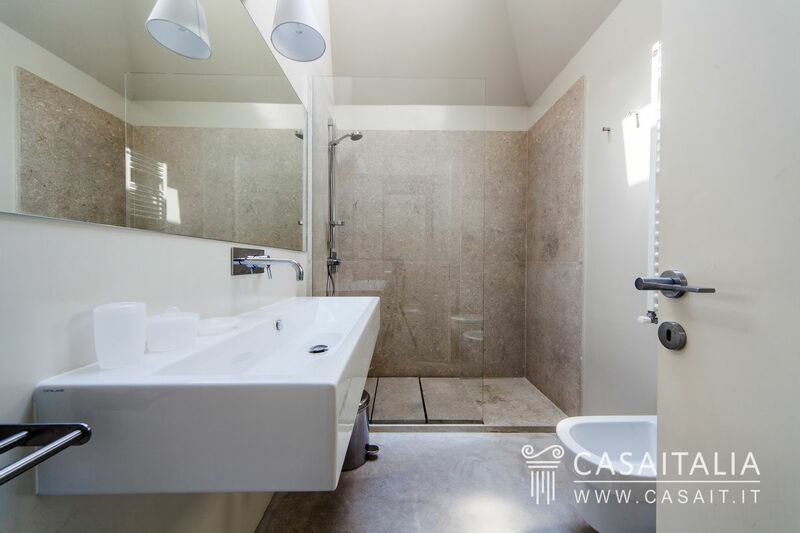 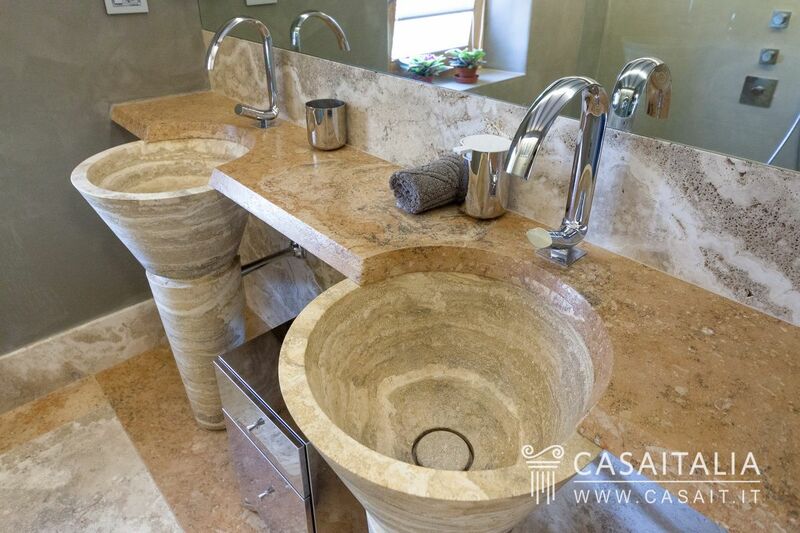 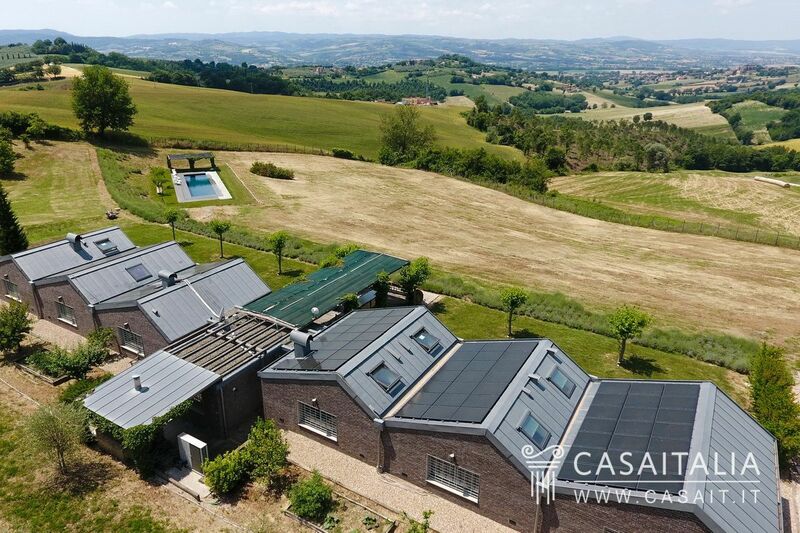 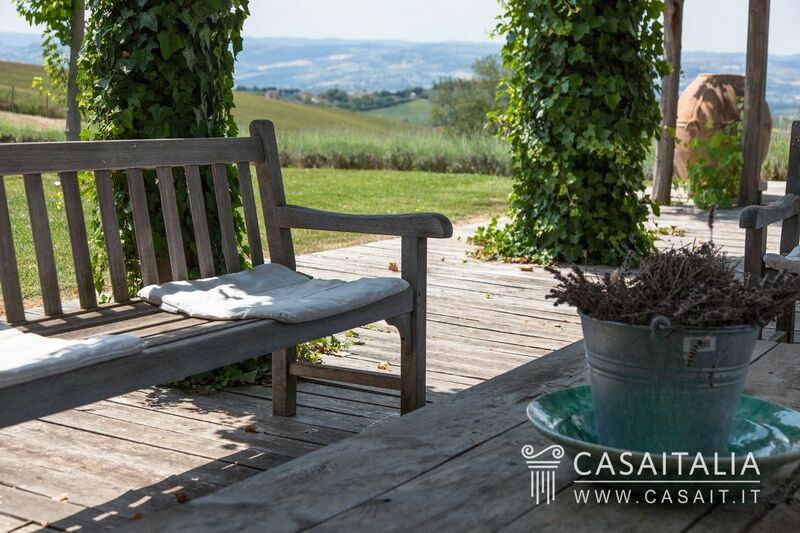 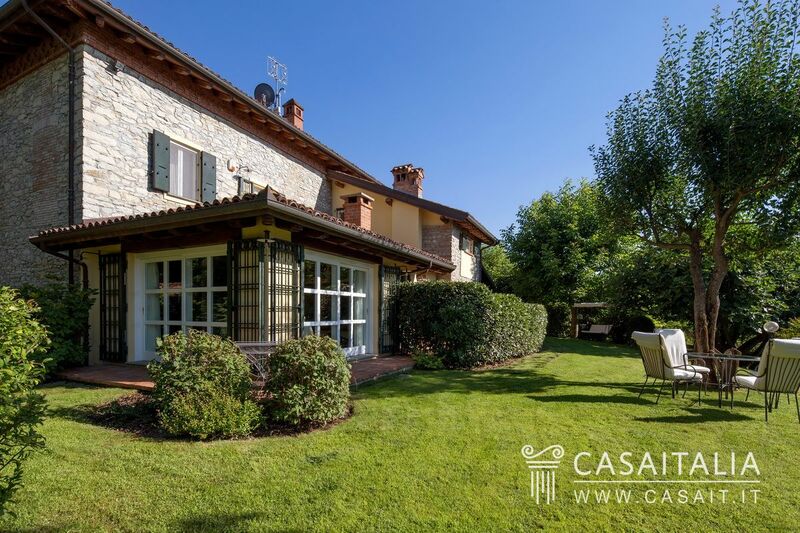 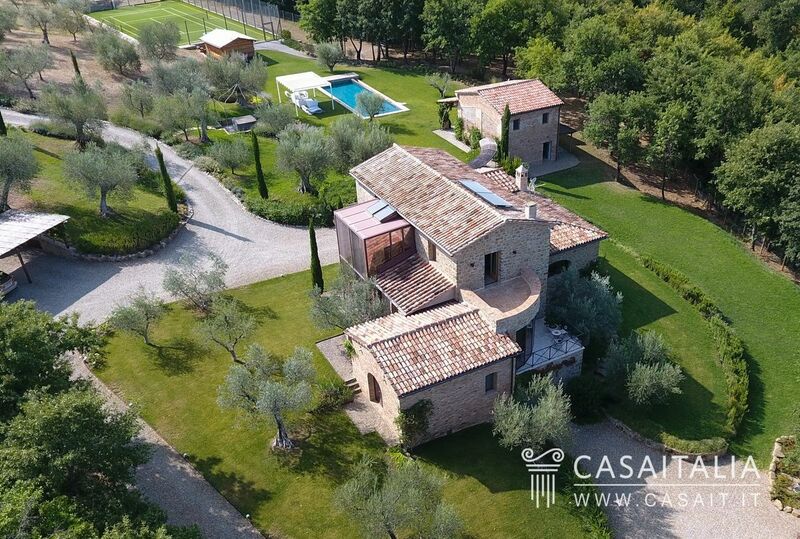 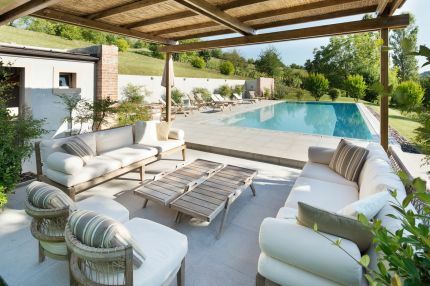 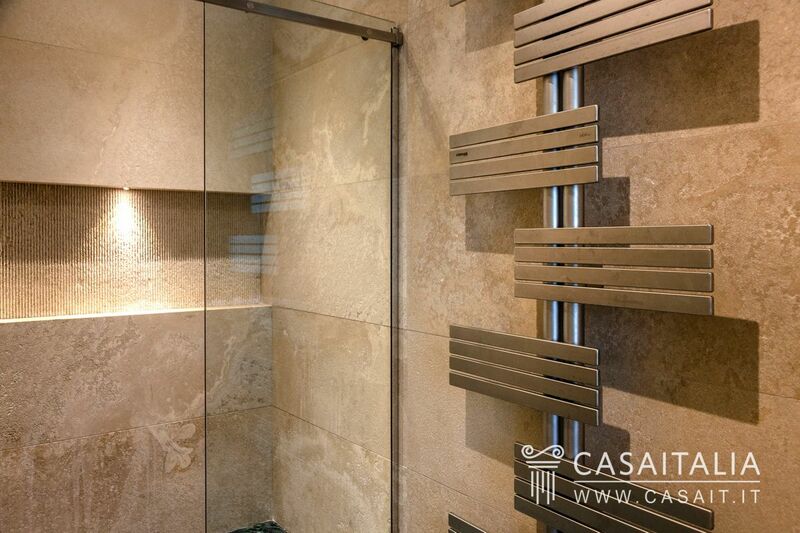 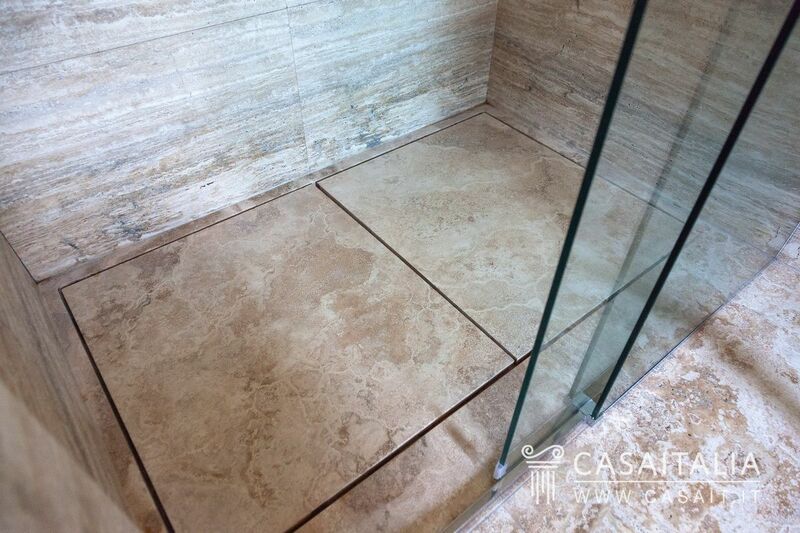 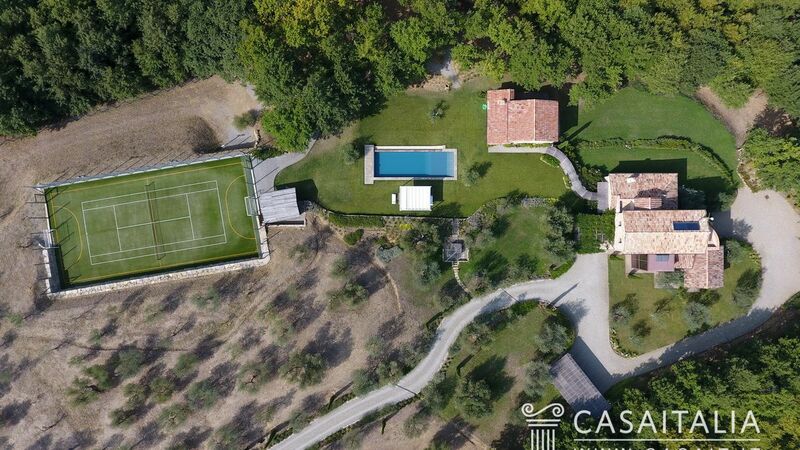 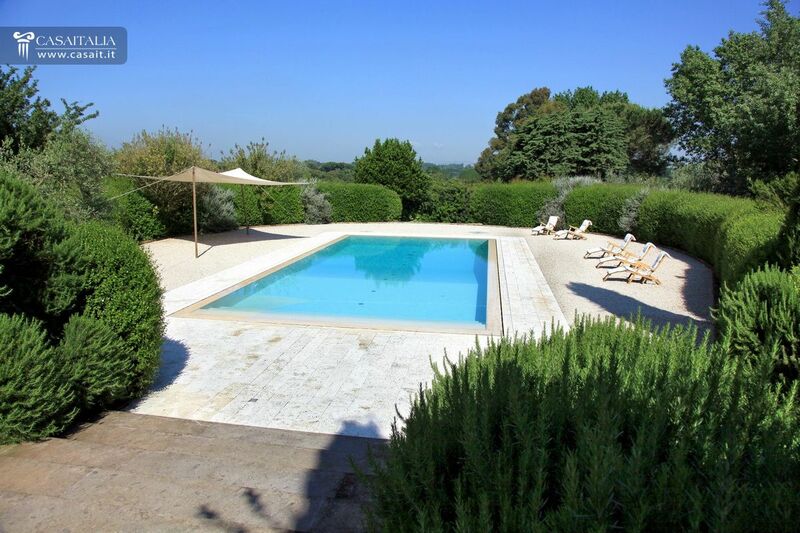 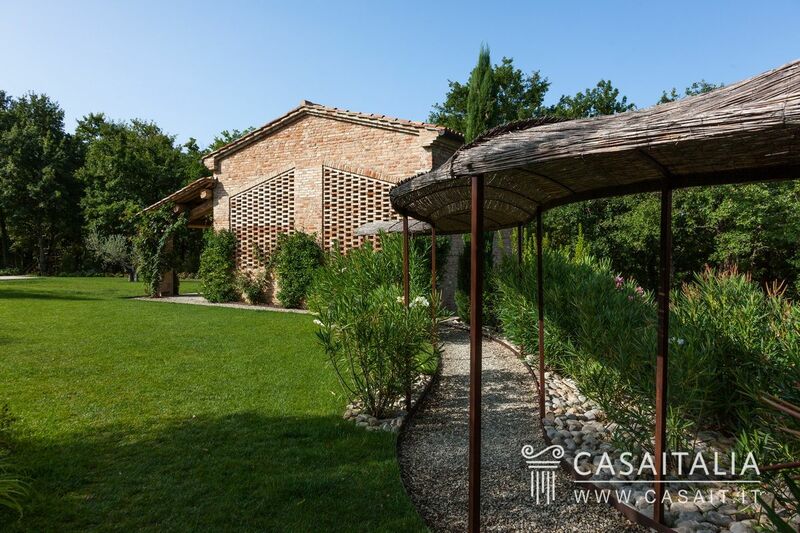 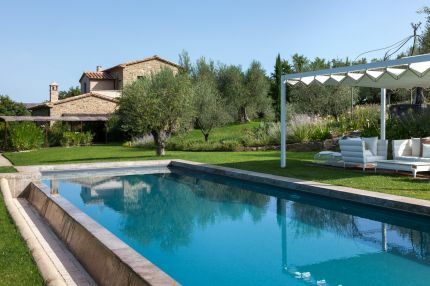 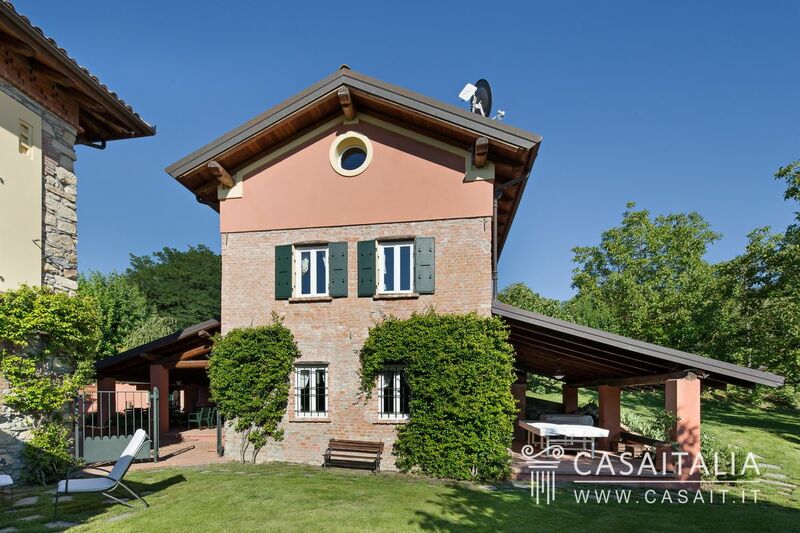 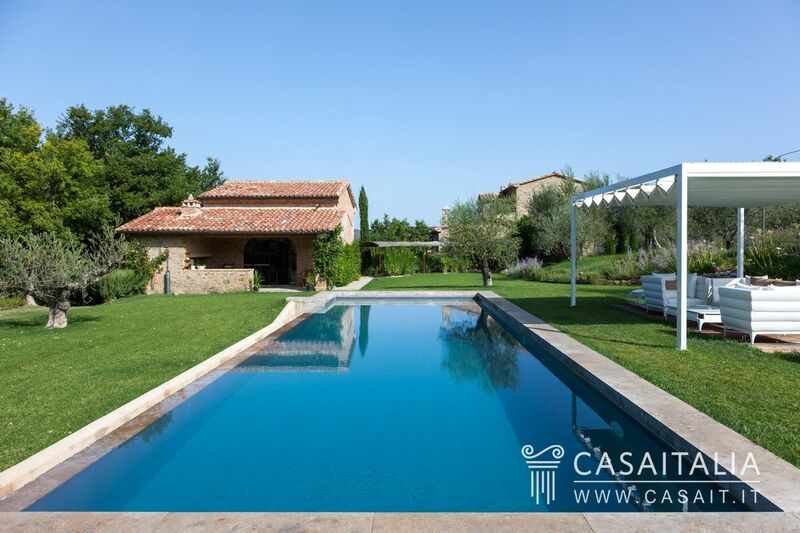 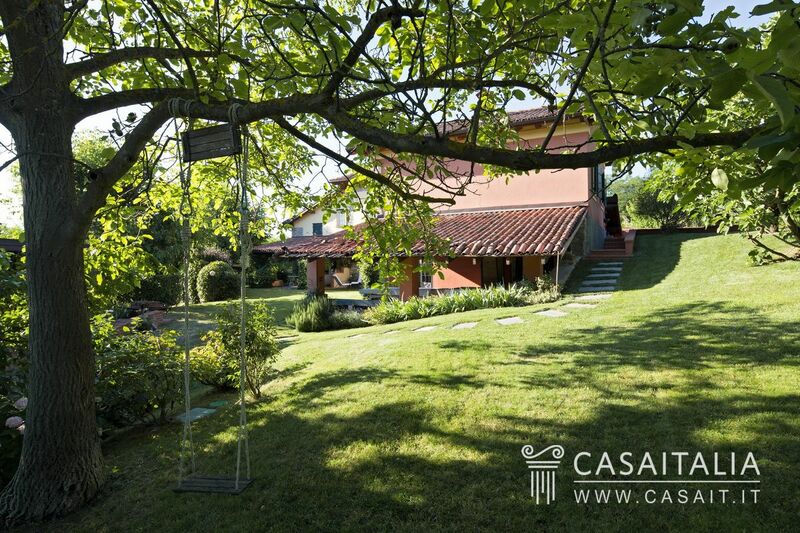 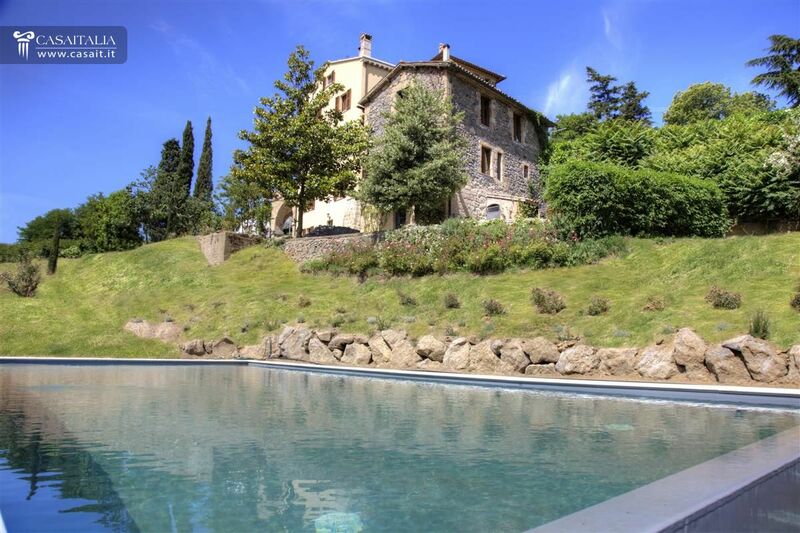 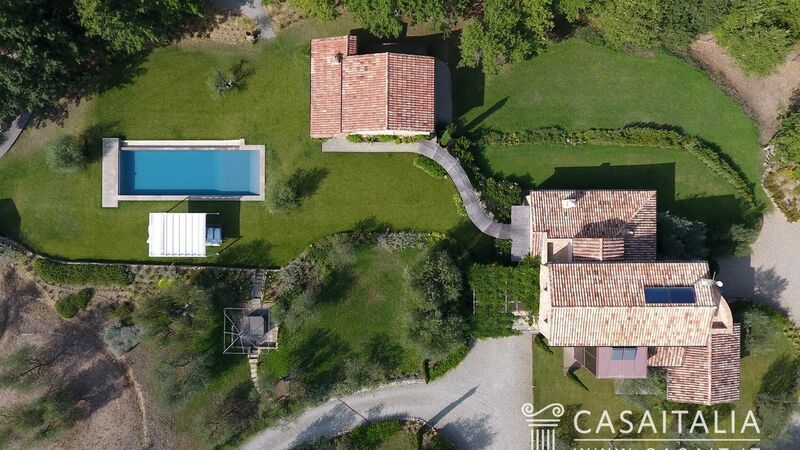 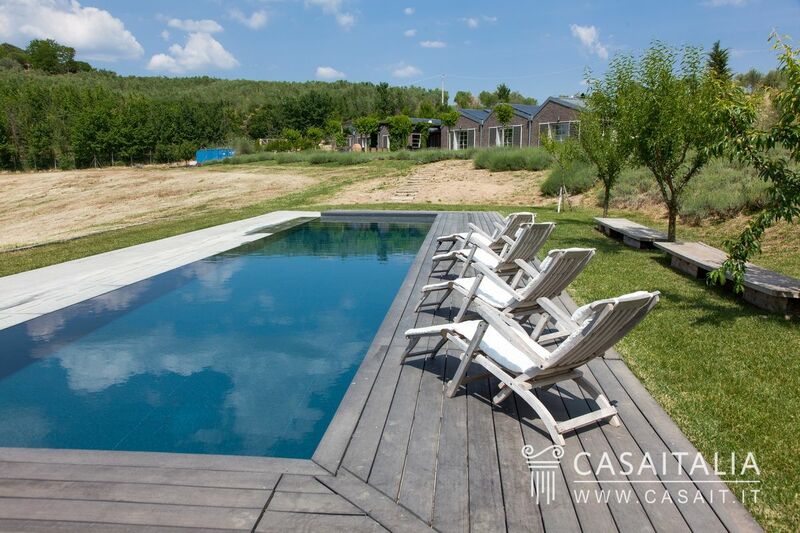 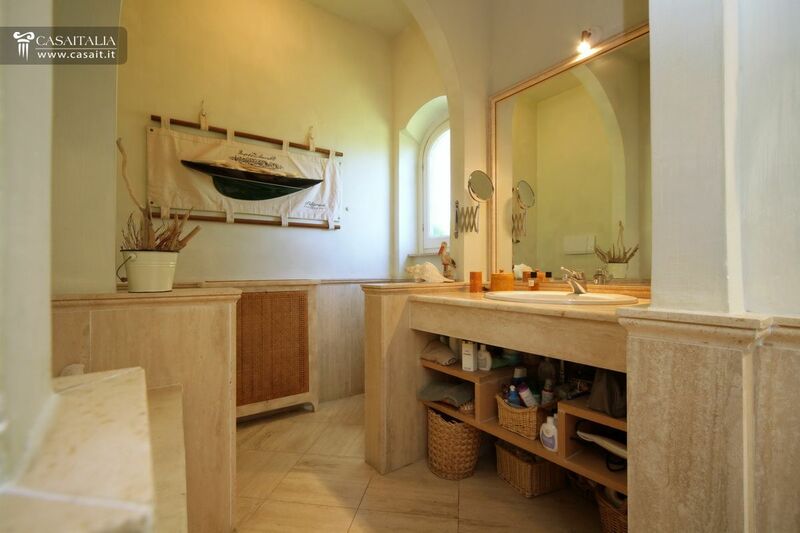 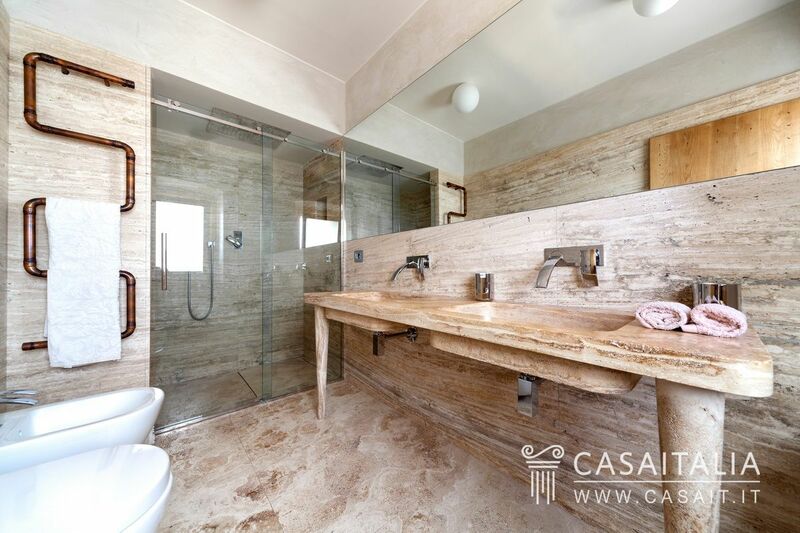 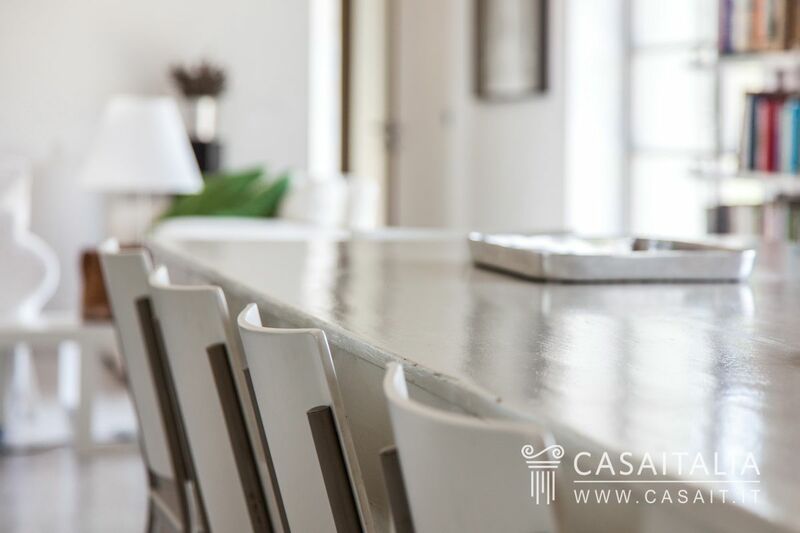 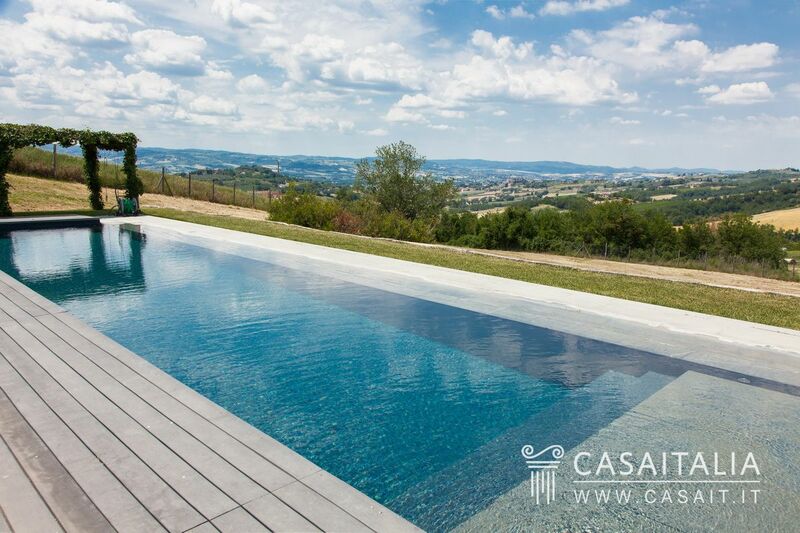 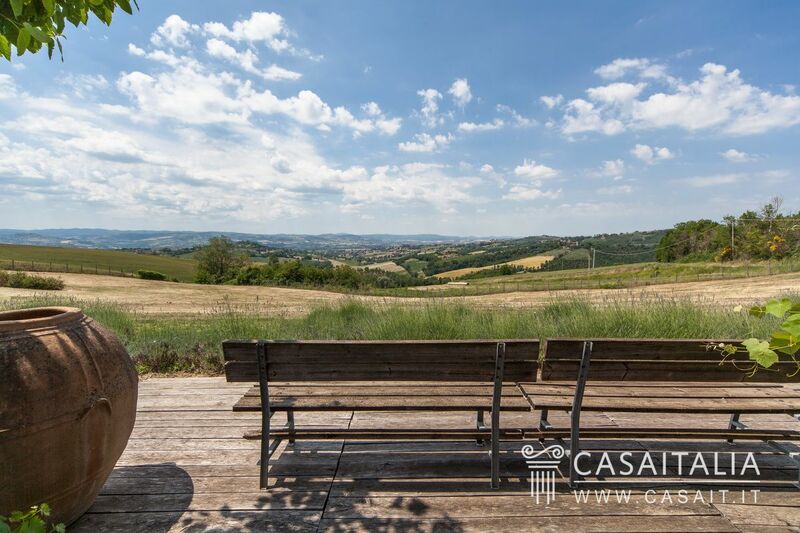 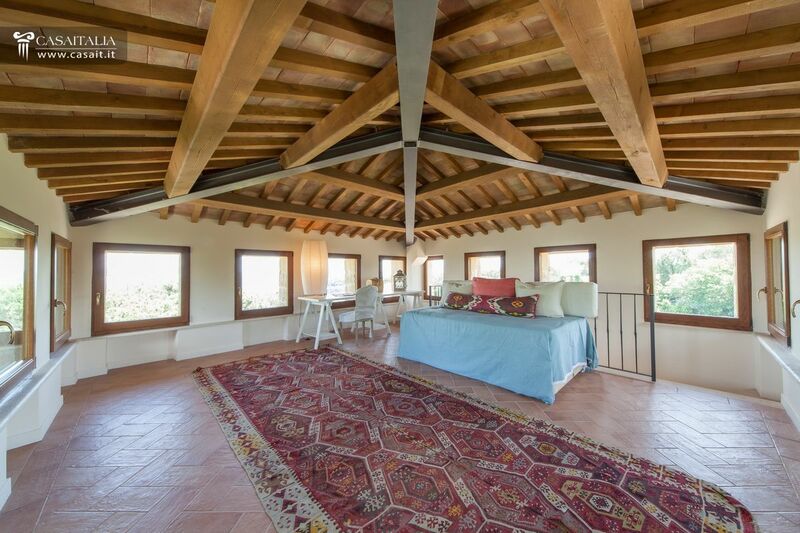 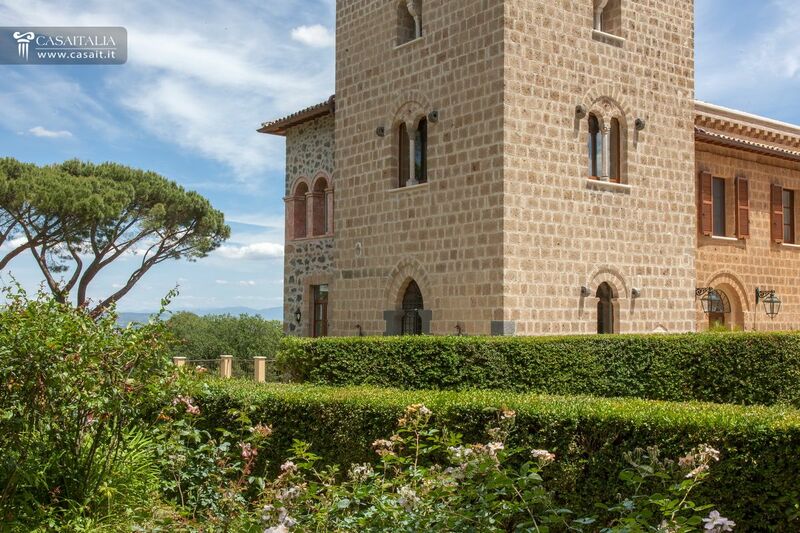 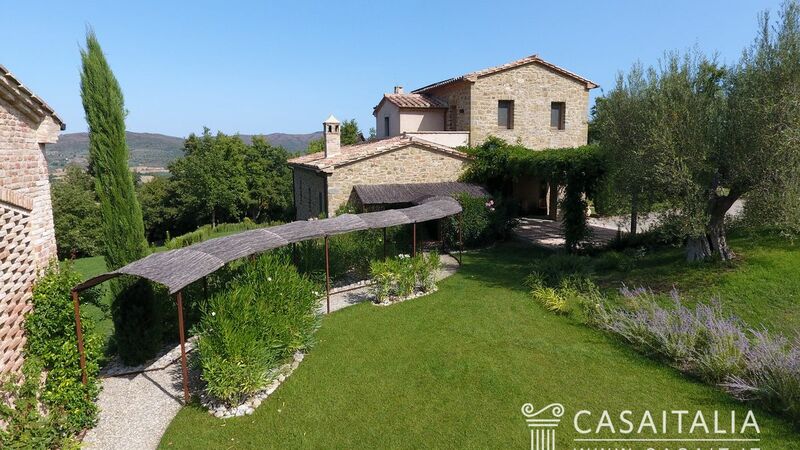 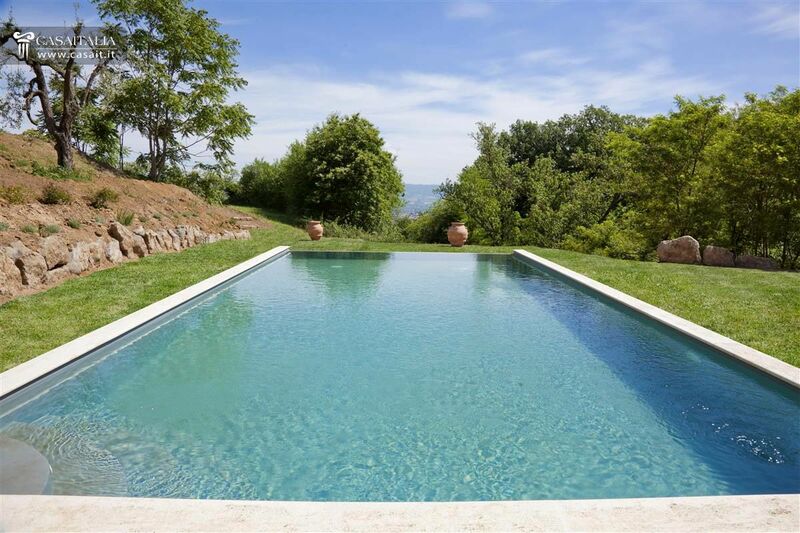 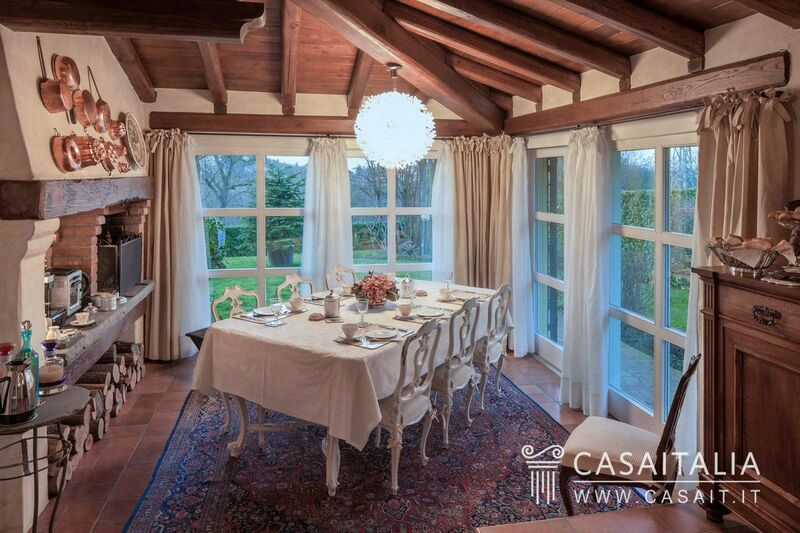 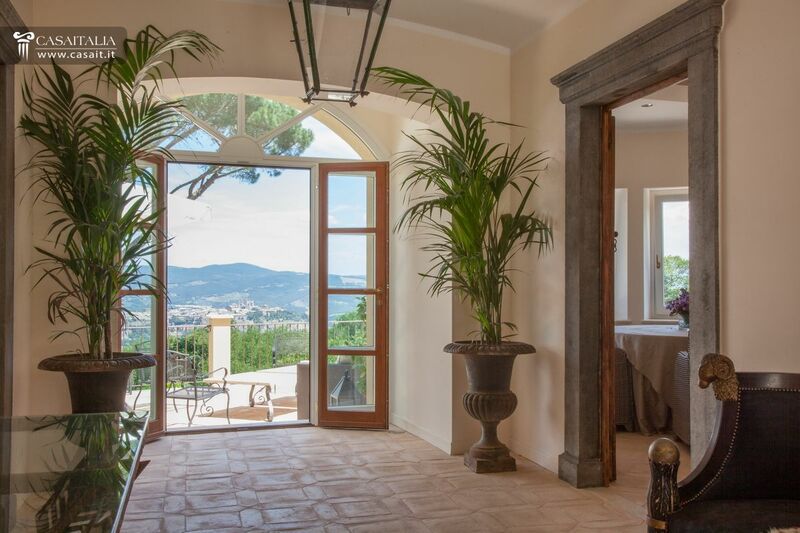 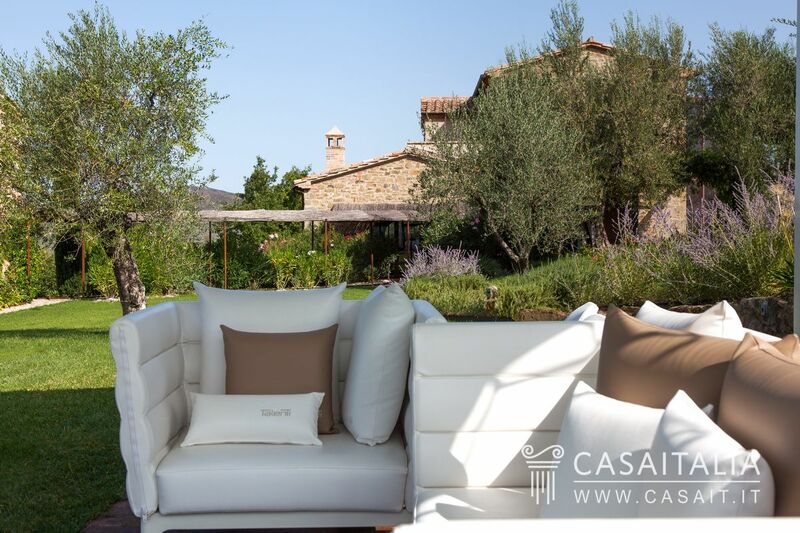 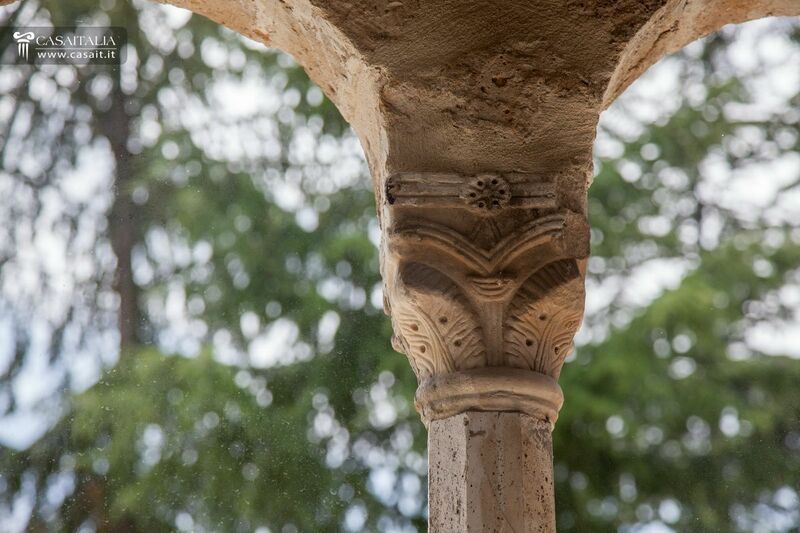 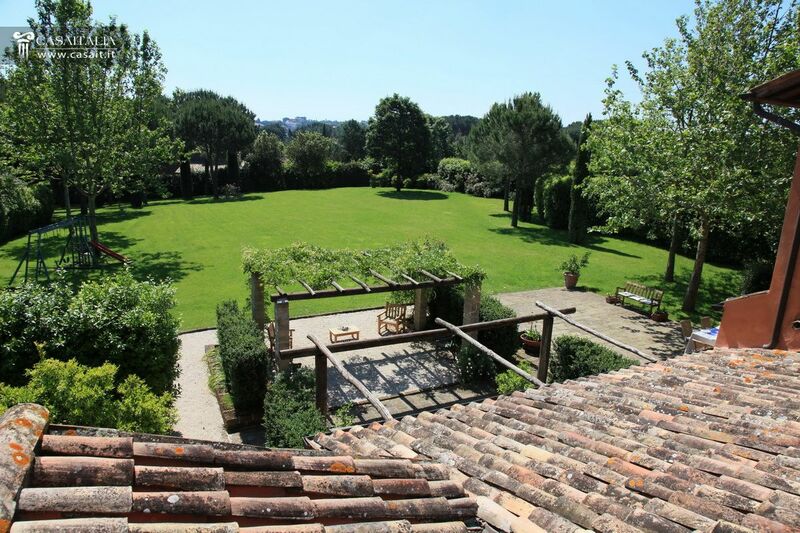 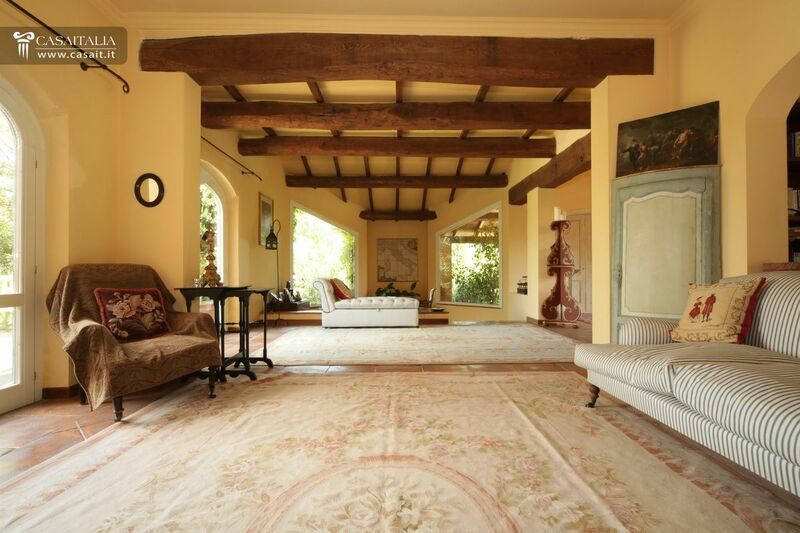 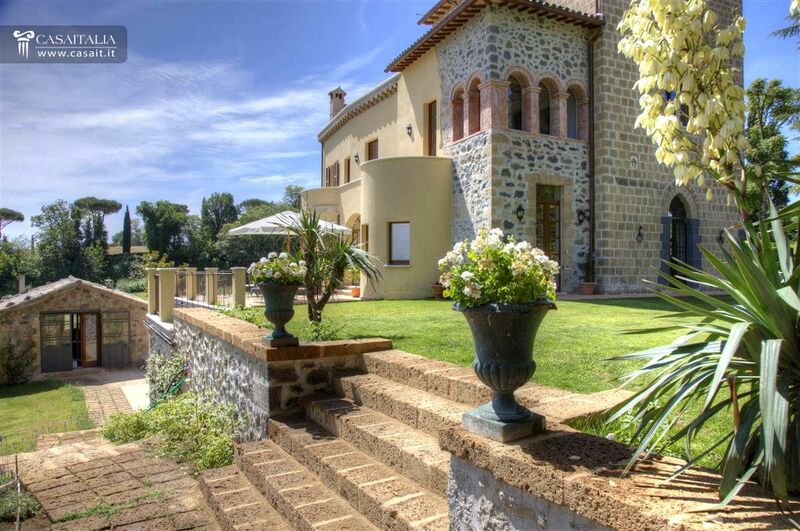 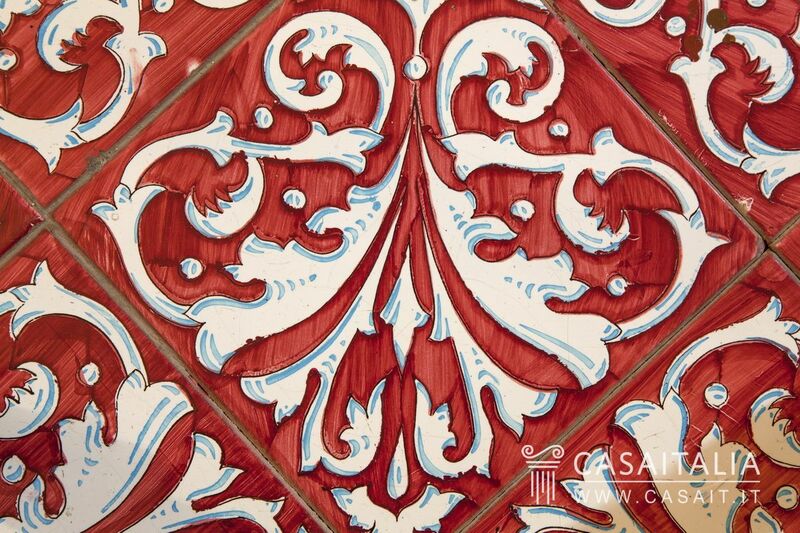 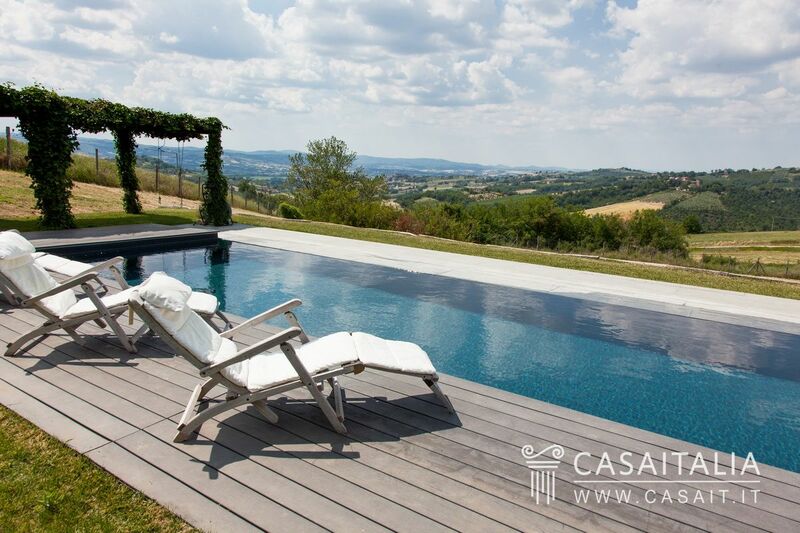 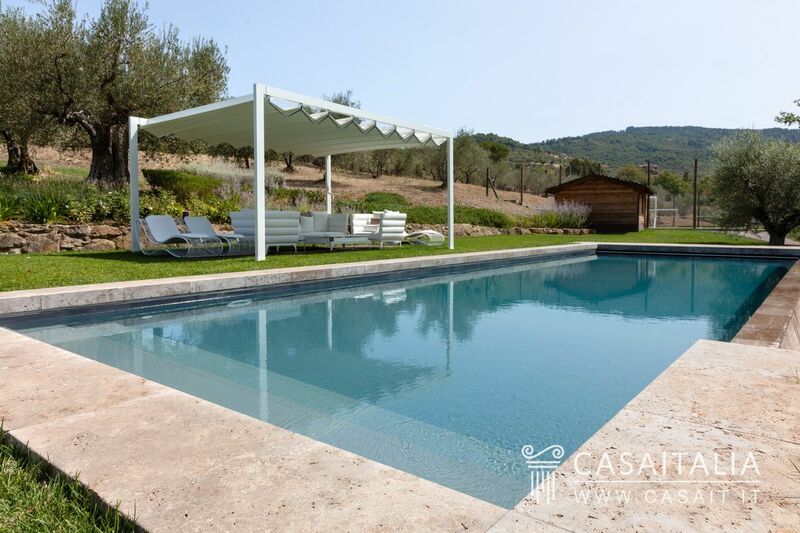 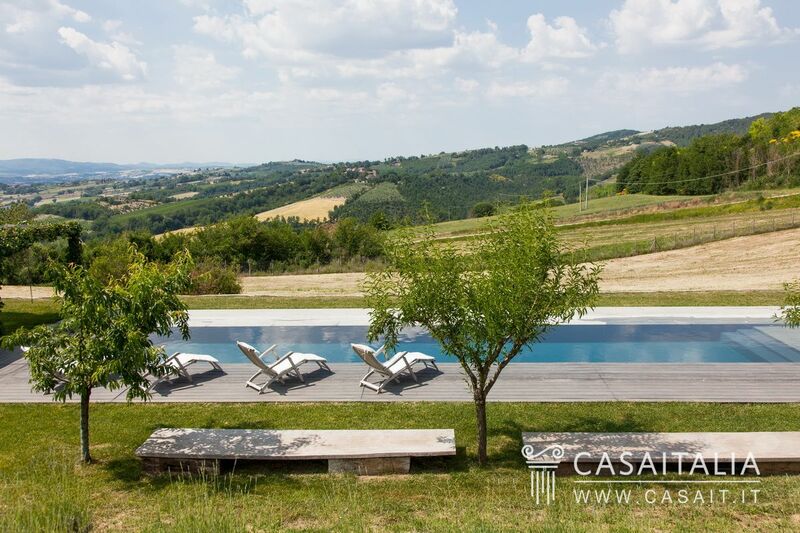 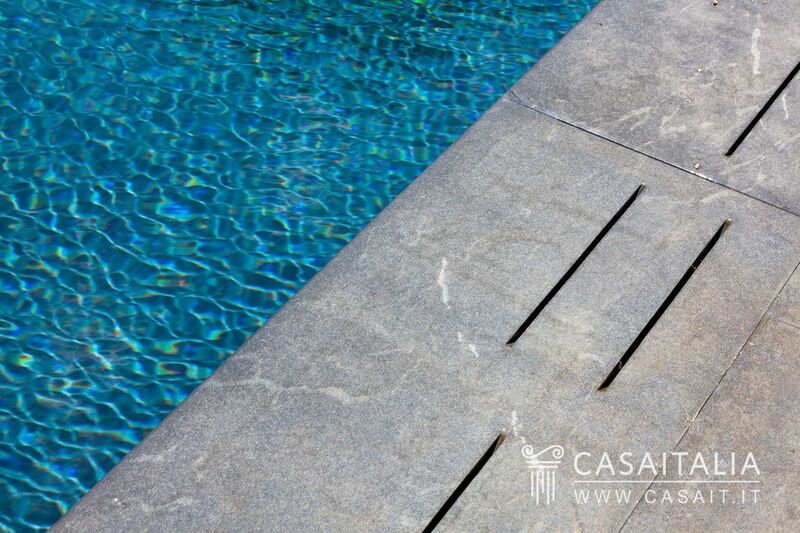 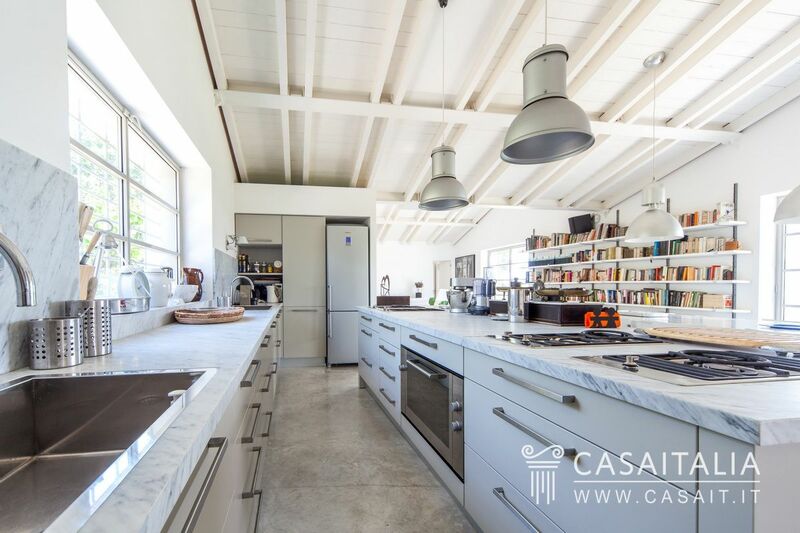 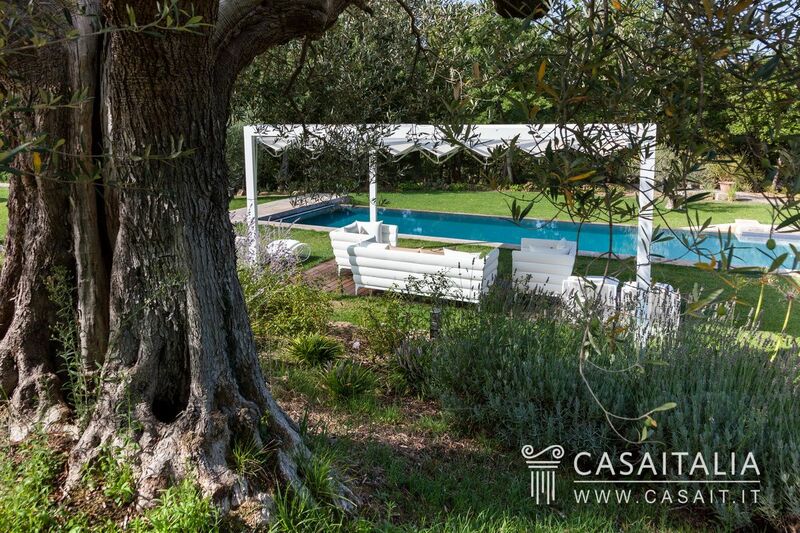 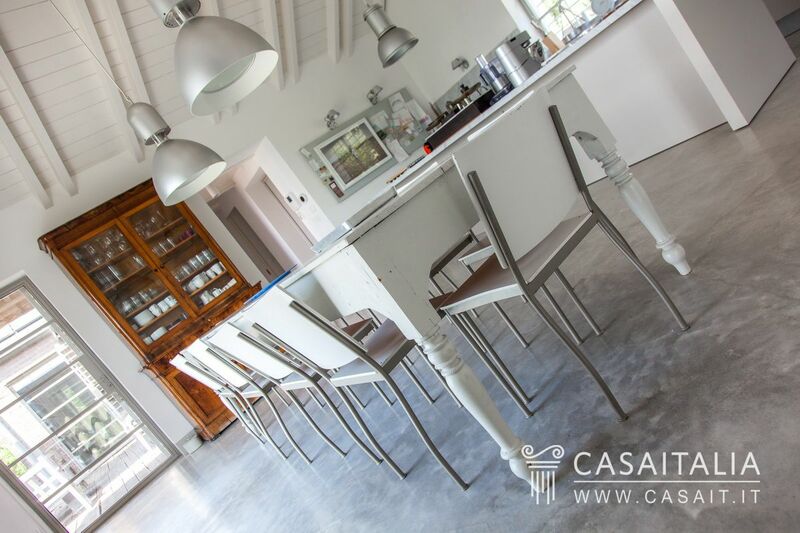 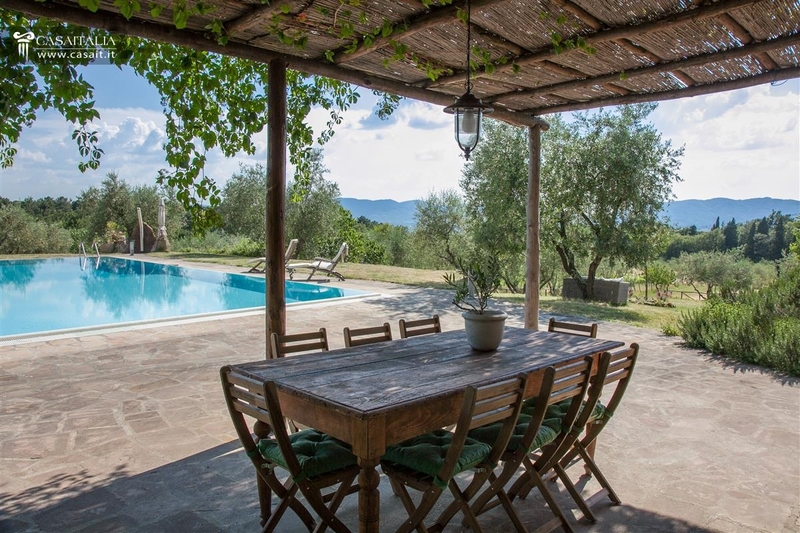 Newly built villa, in a panoramic location 11 km from Todi, with 1.6 hectares of land and pool. 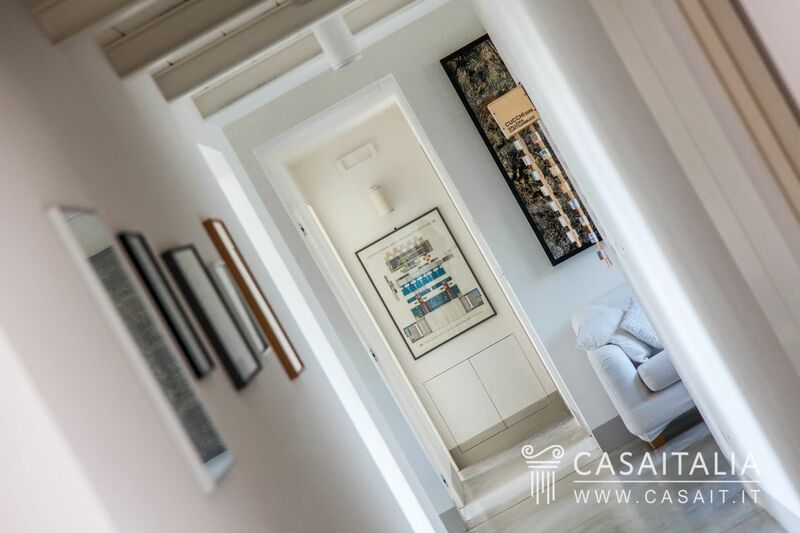 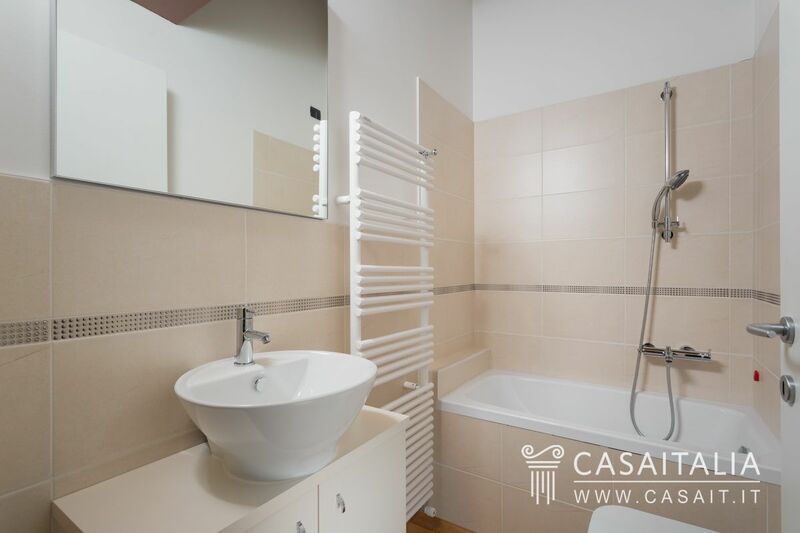 Separated into the main residence and a large studio apartment with its own entrance, comprising large open plan living area, 4 bedrooms and 4 bathrooms. 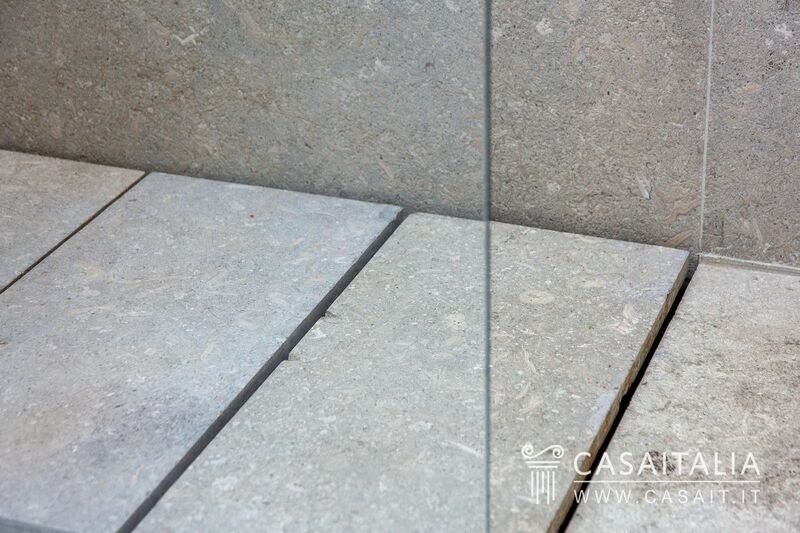 Two terraces measuring 3 and 6 sq.m. 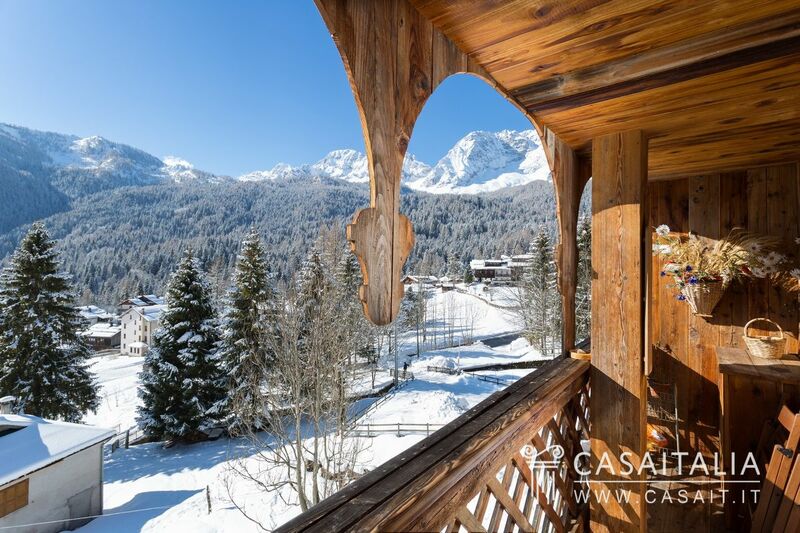 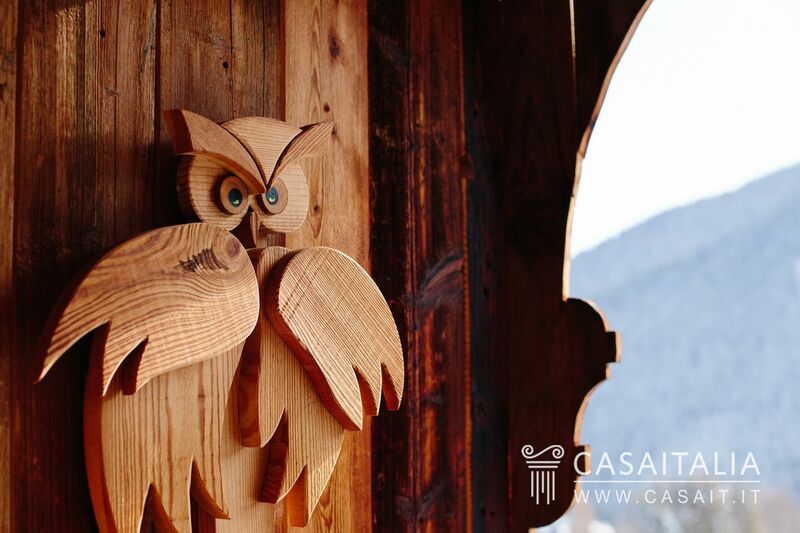 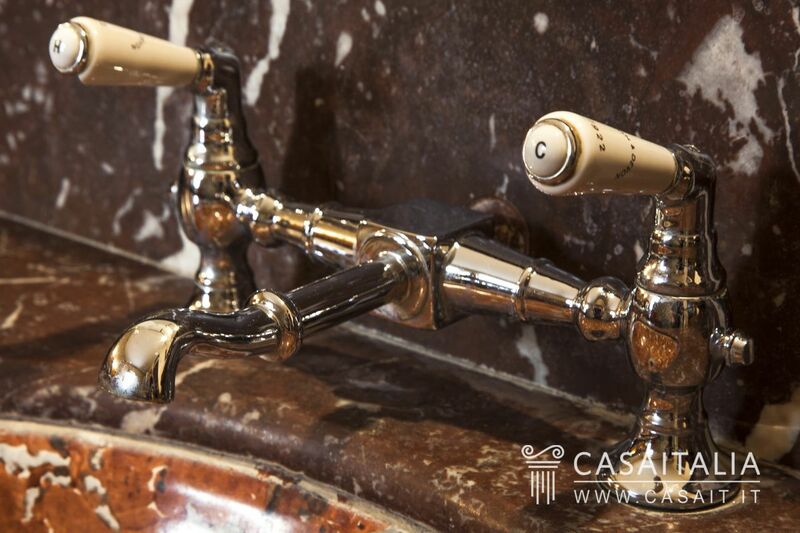 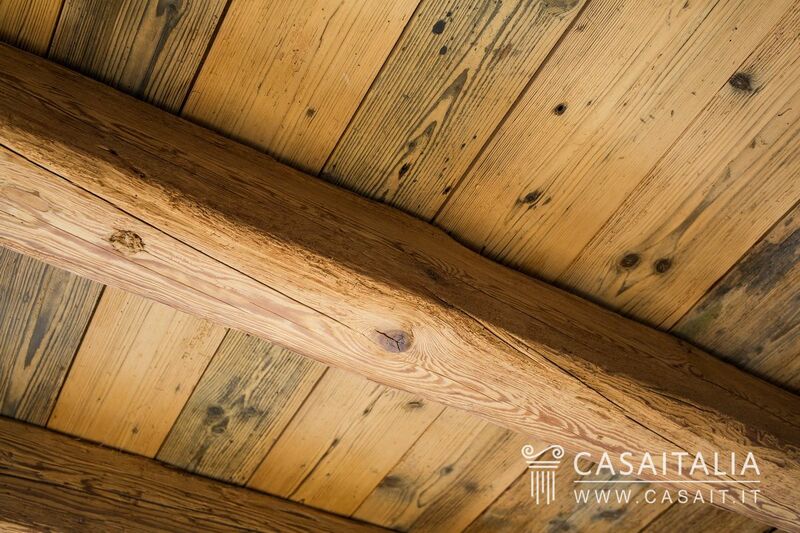 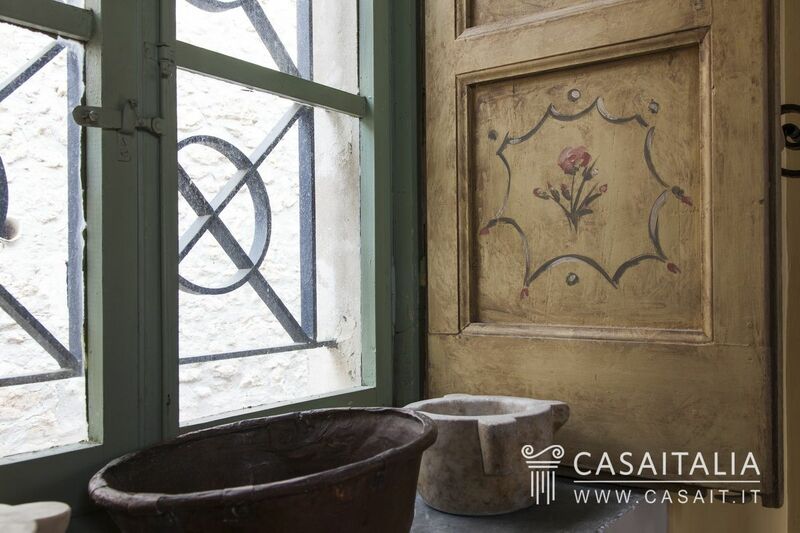 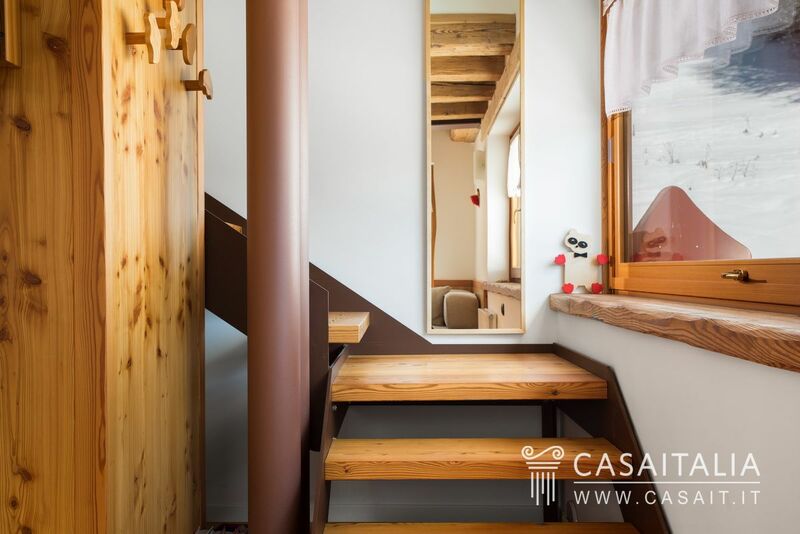 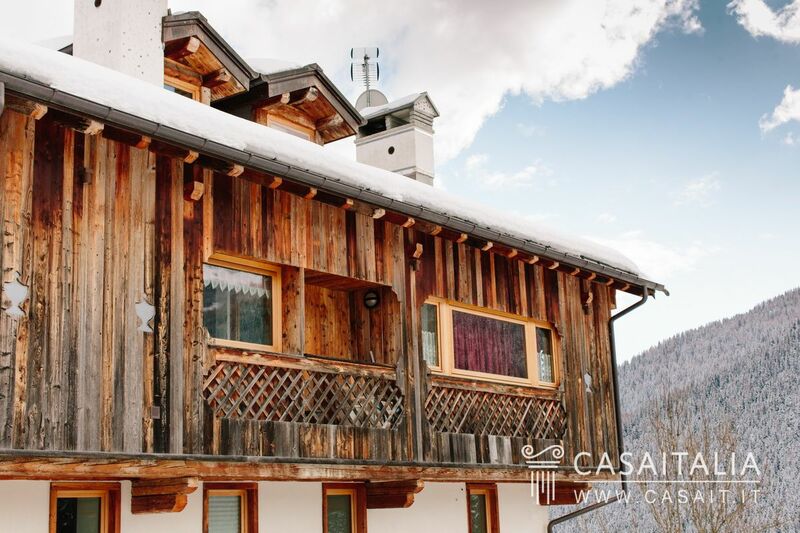 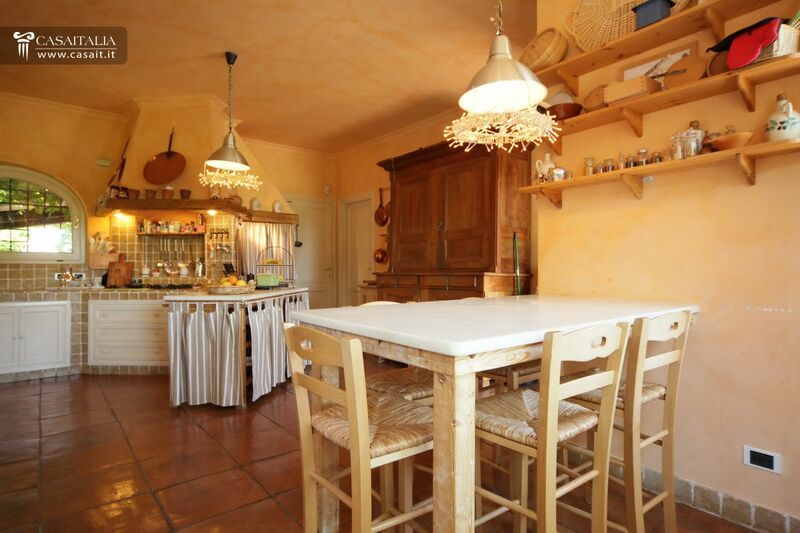 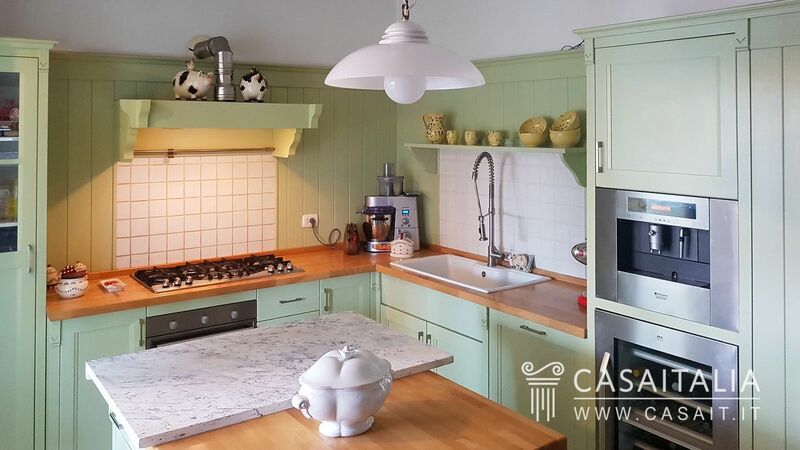 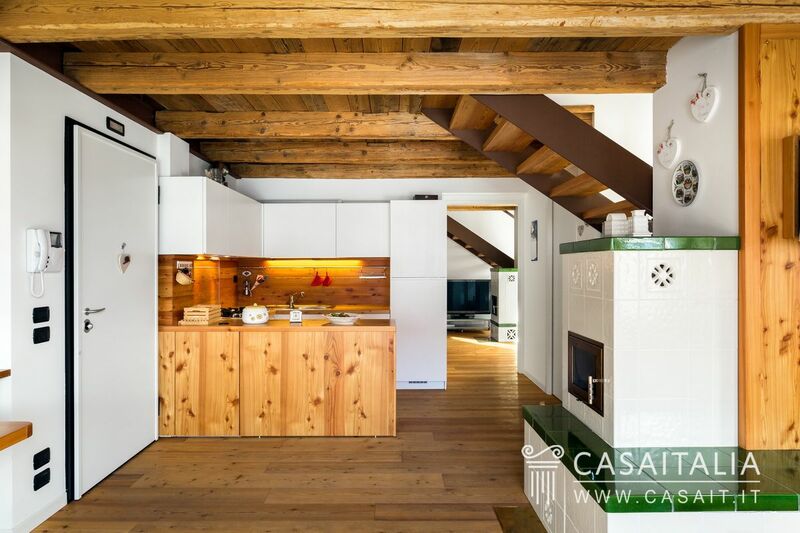 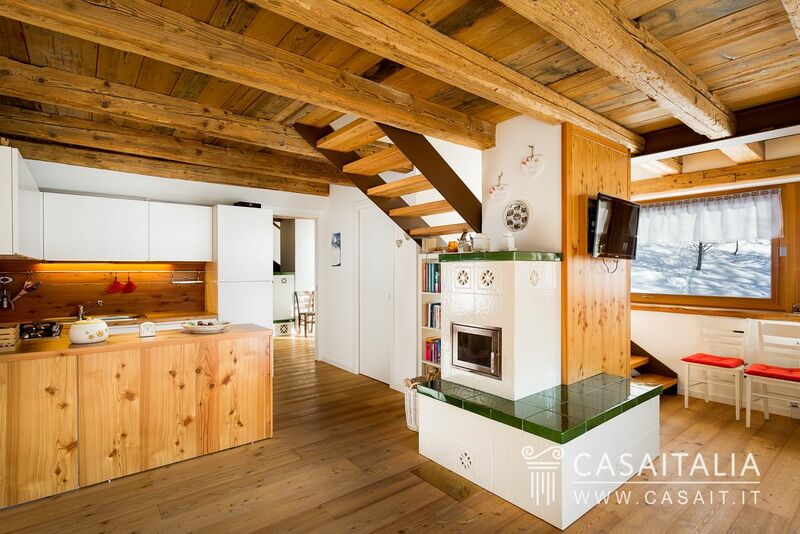 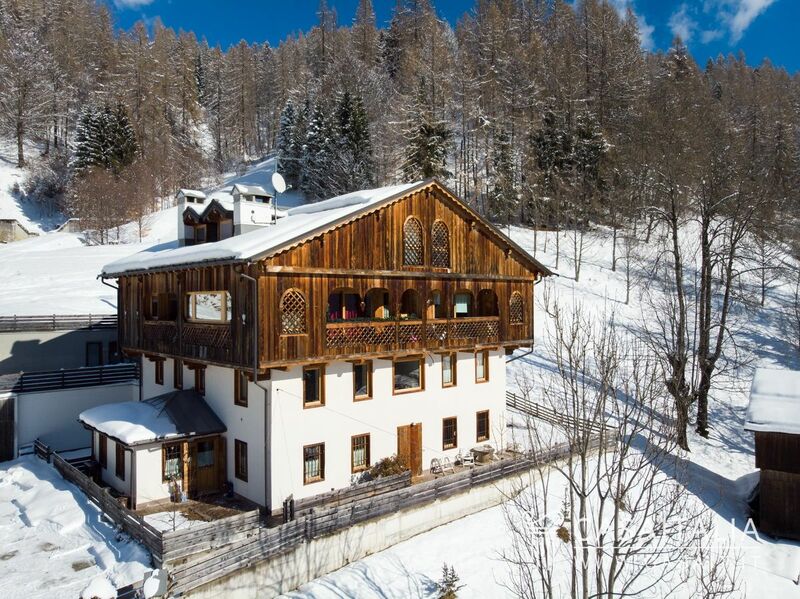 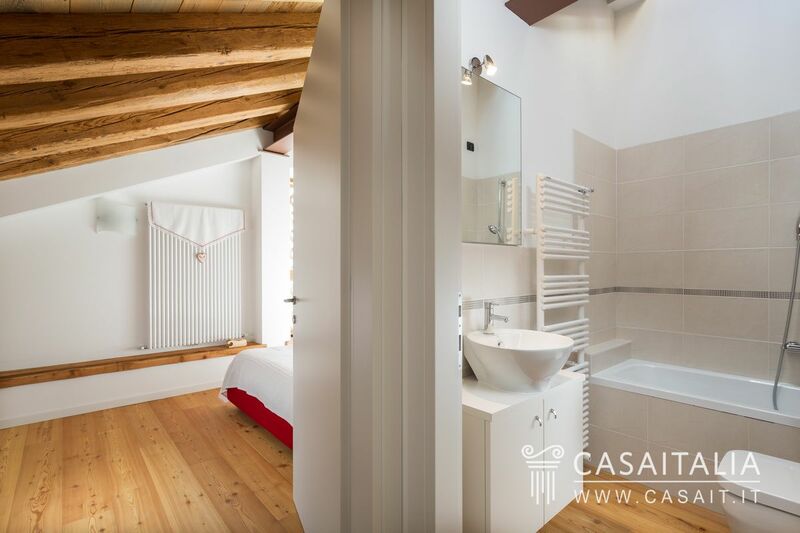 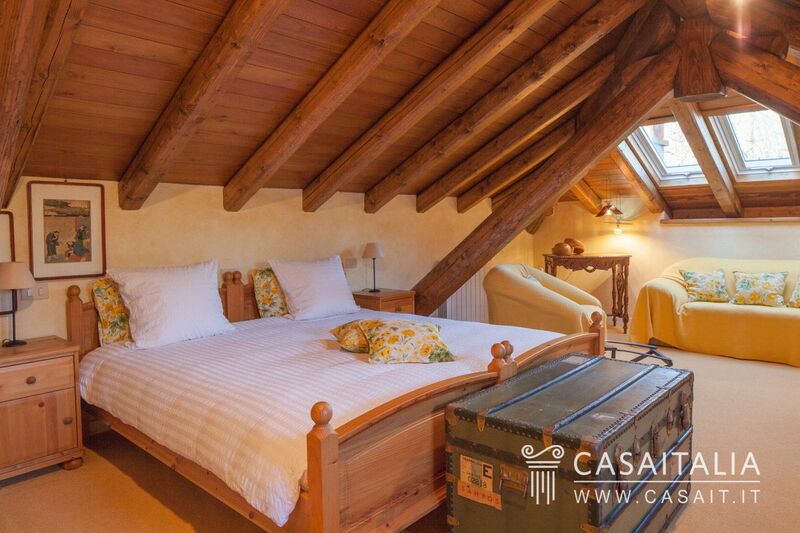 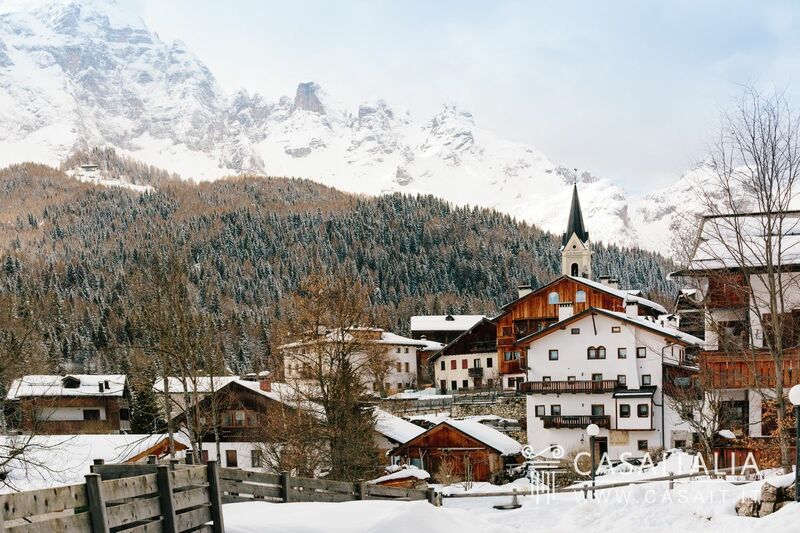 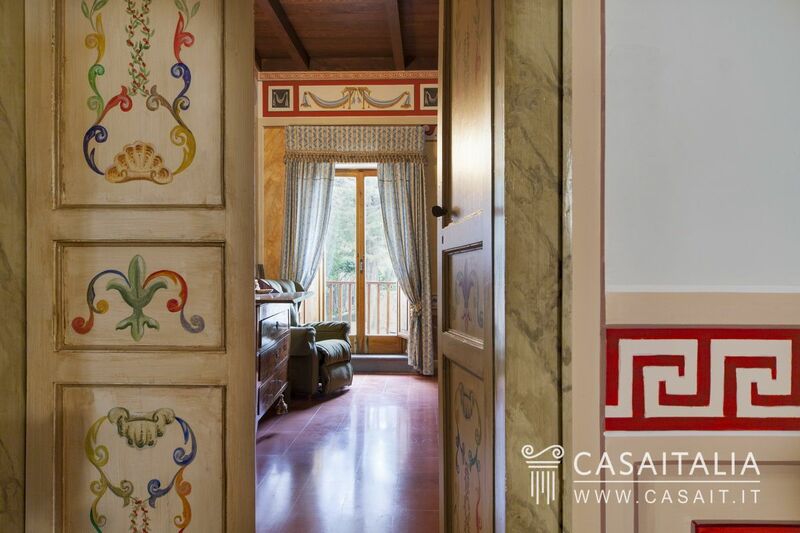 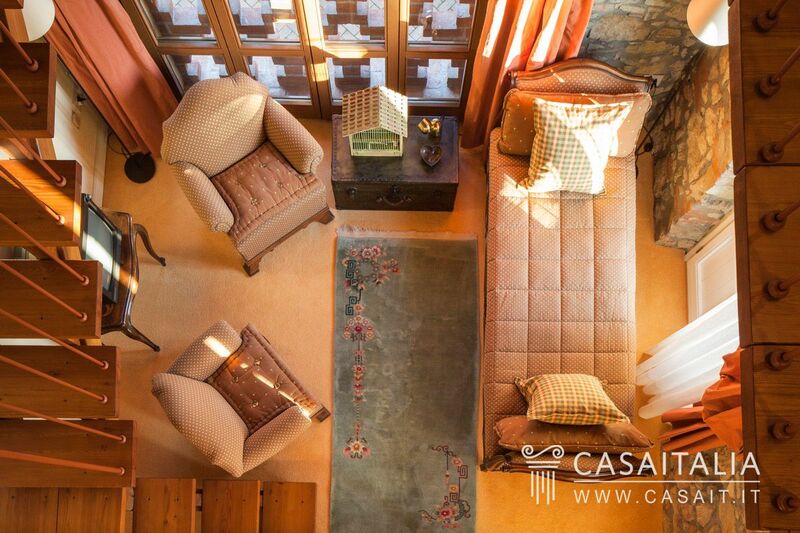 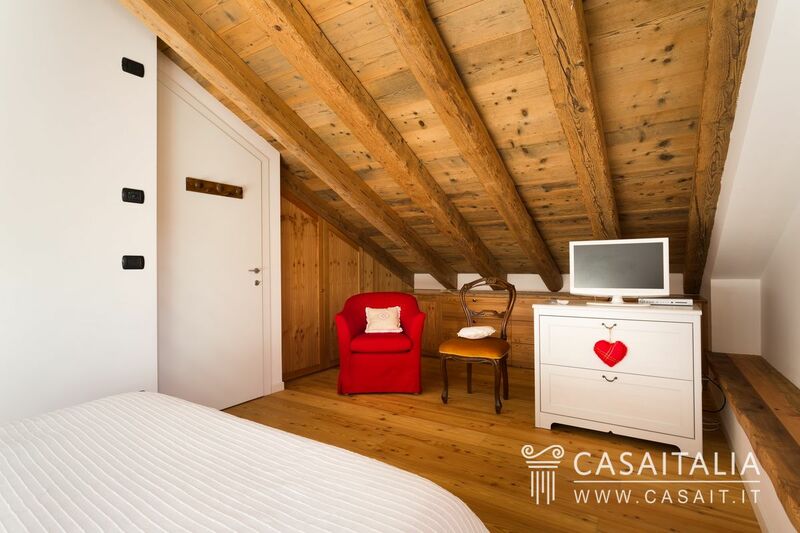 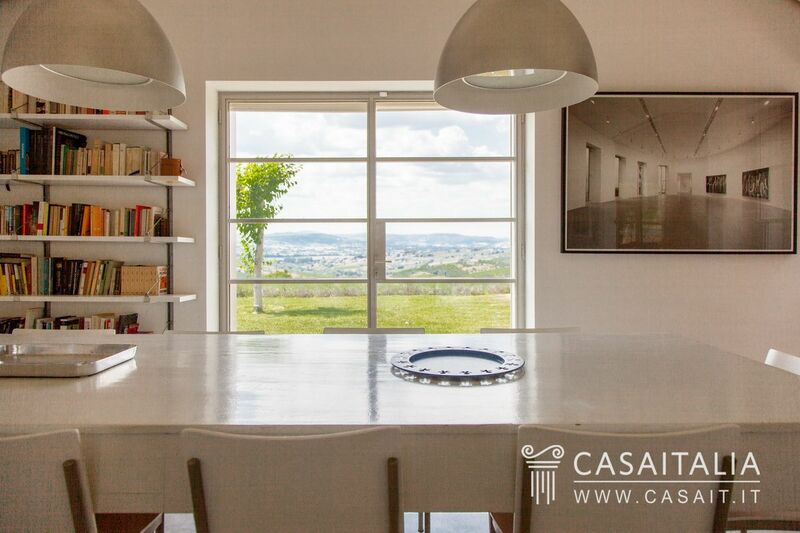 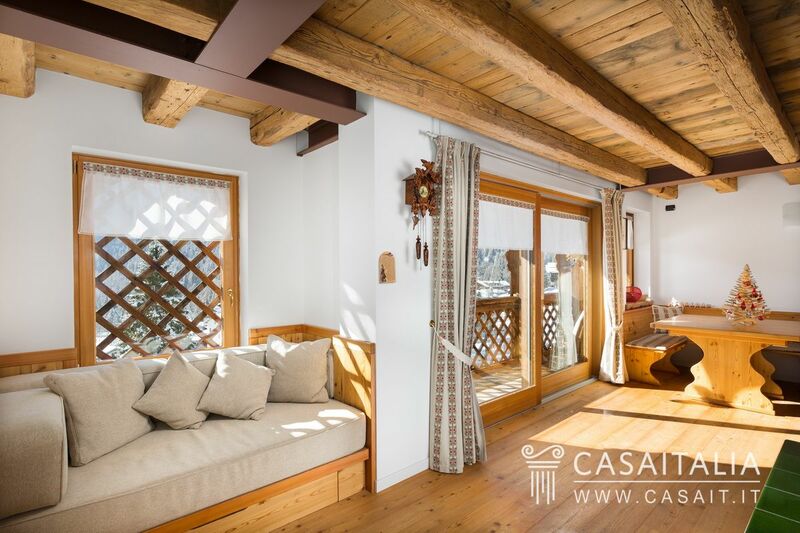 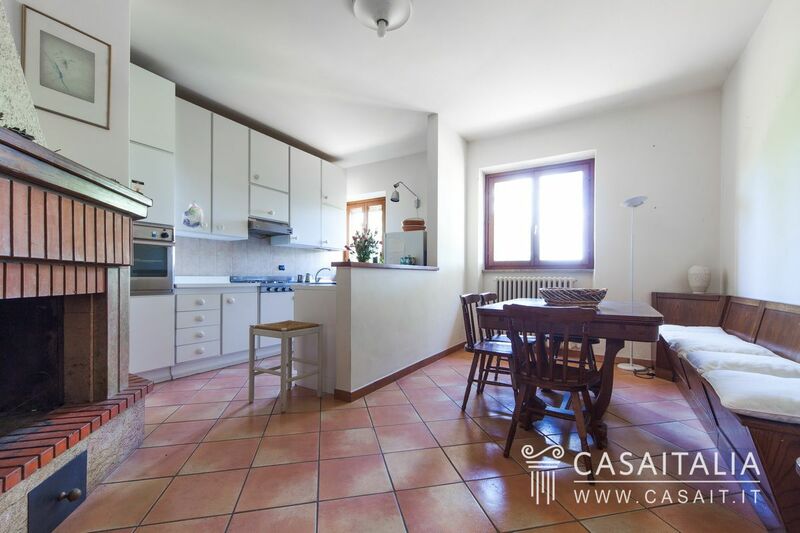 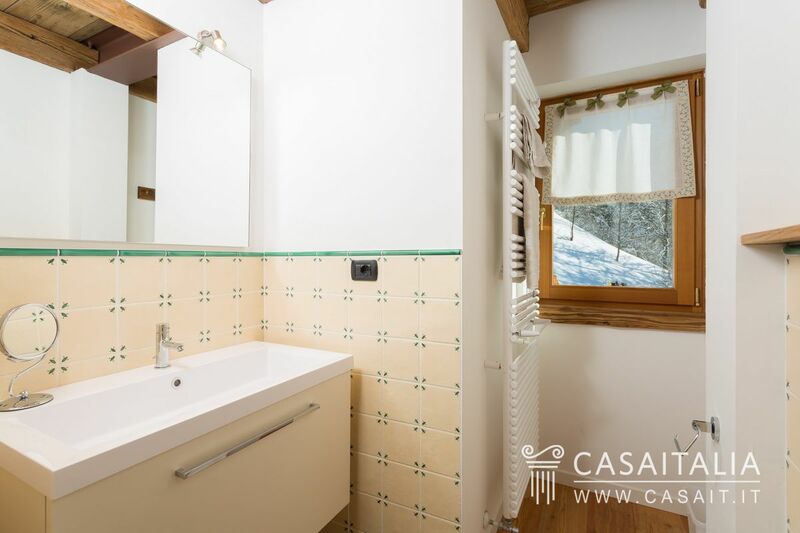 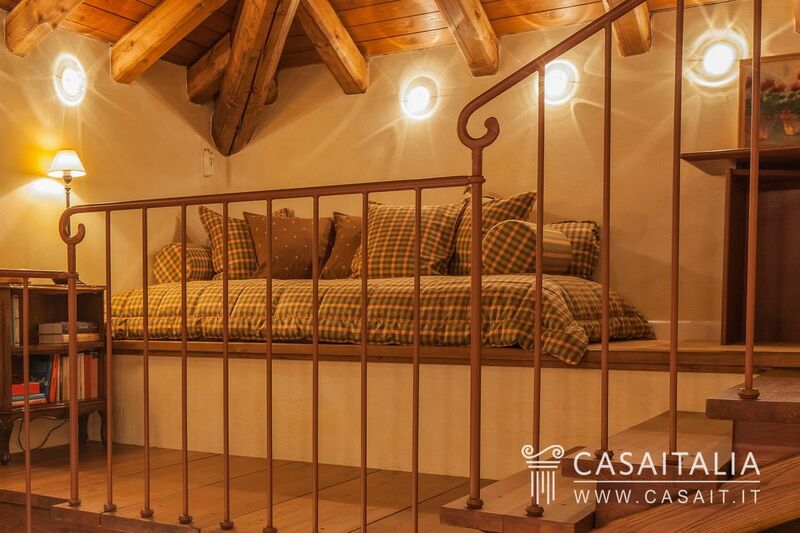 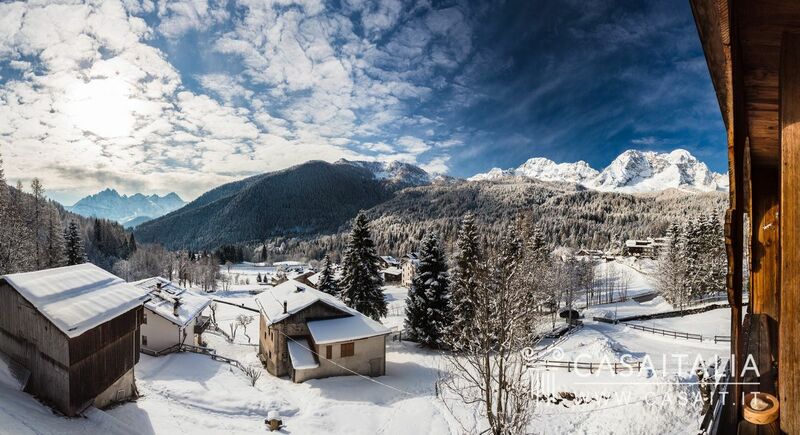 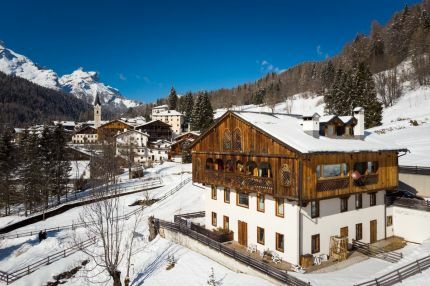 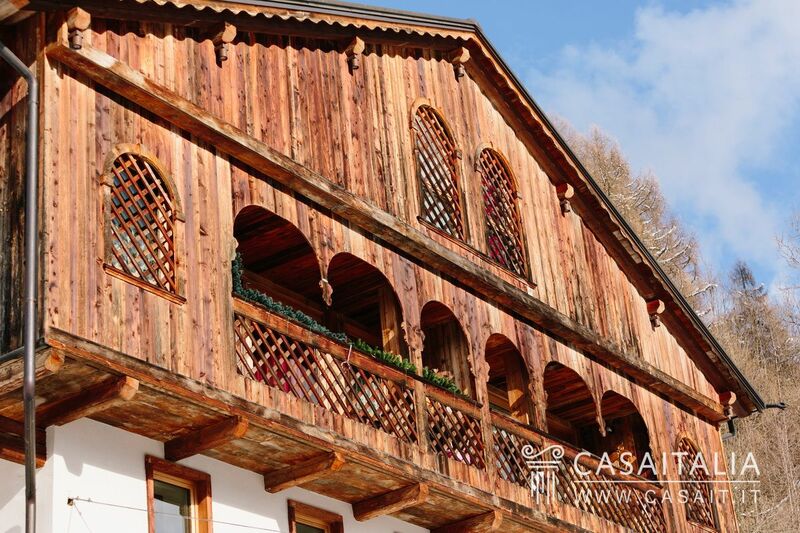 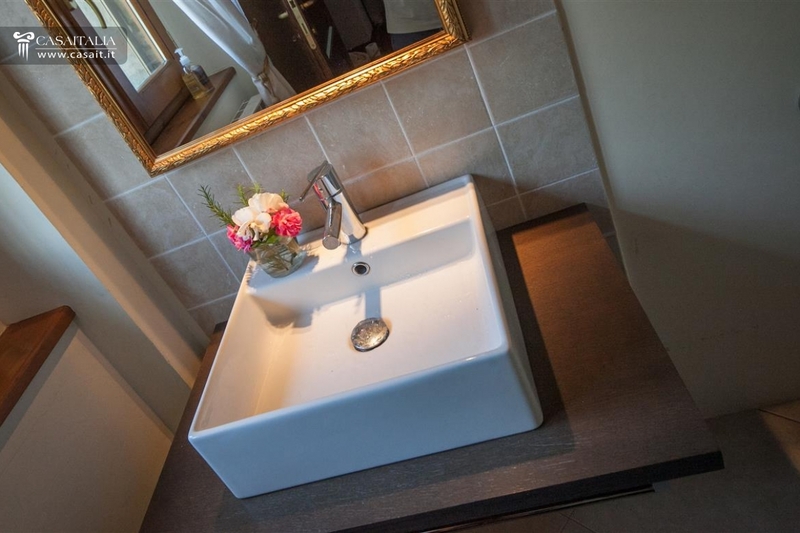 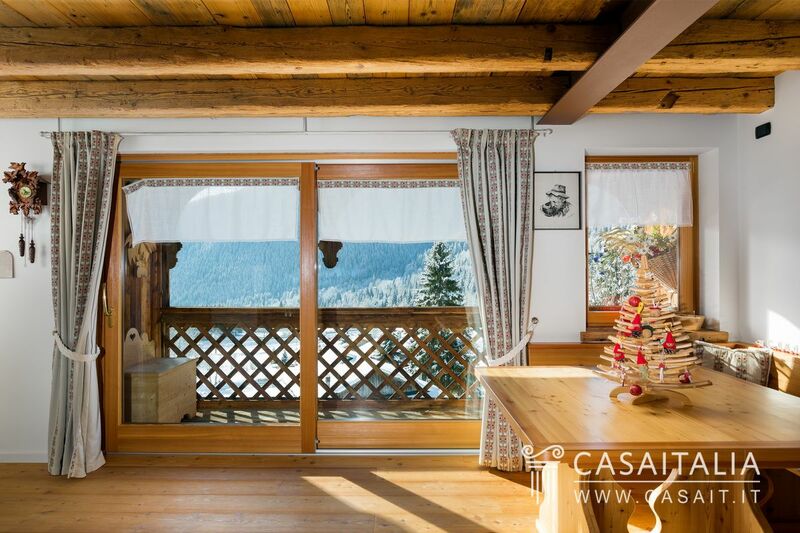 Restored apartment with panoramic view of the surrounding mountains. 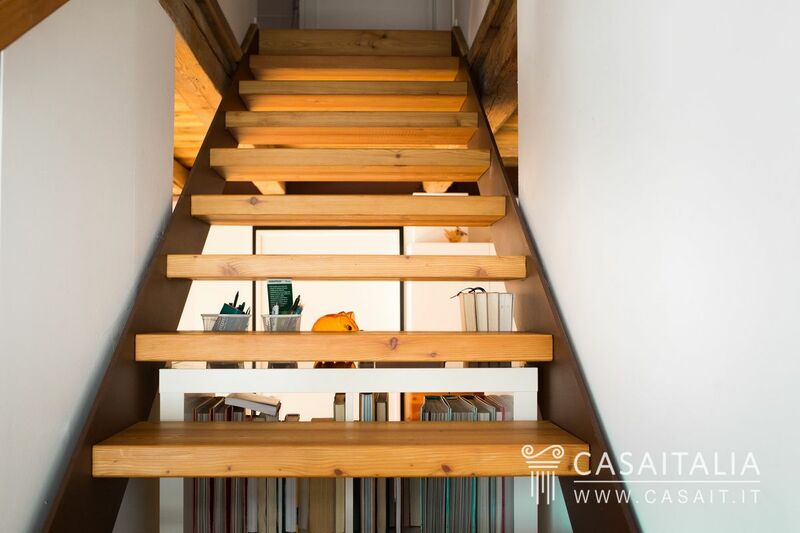 With two floors, it has a total surface area of around 170 sq.m and comprises kitchen, living room, 4 bedrooms, 3 bathrooms and two terraces measuring 3 and 6 sq.m. 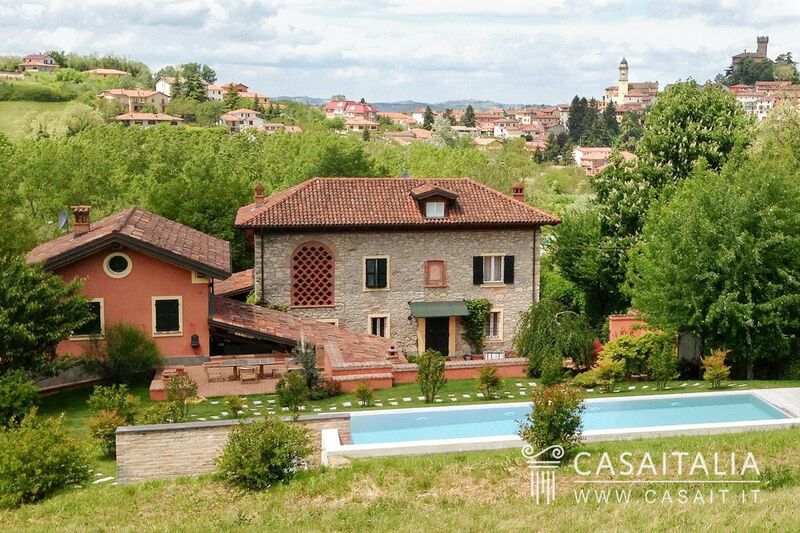 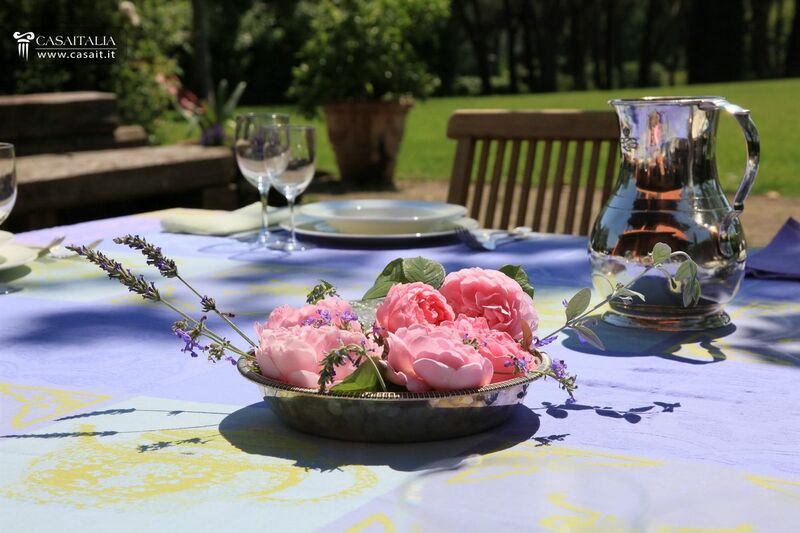 Traditional country villa fully restored with guest house and 2 hectares of land with swimming pool. 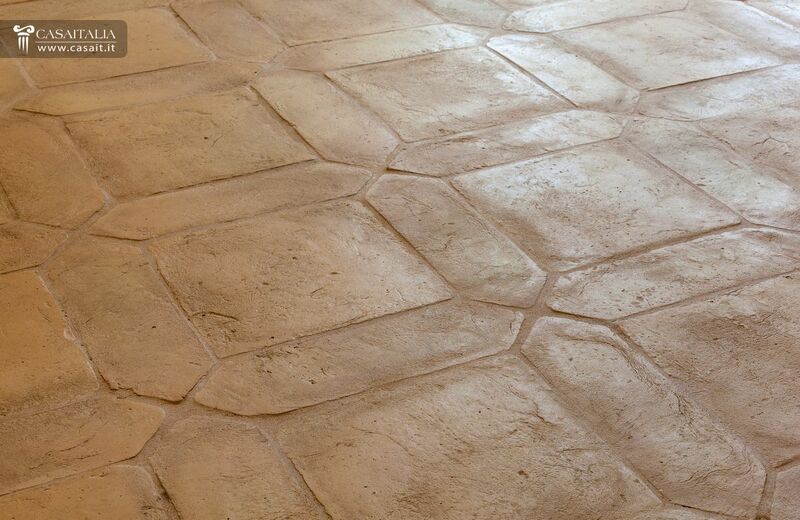 Total surface gross area of 484 sq.m. 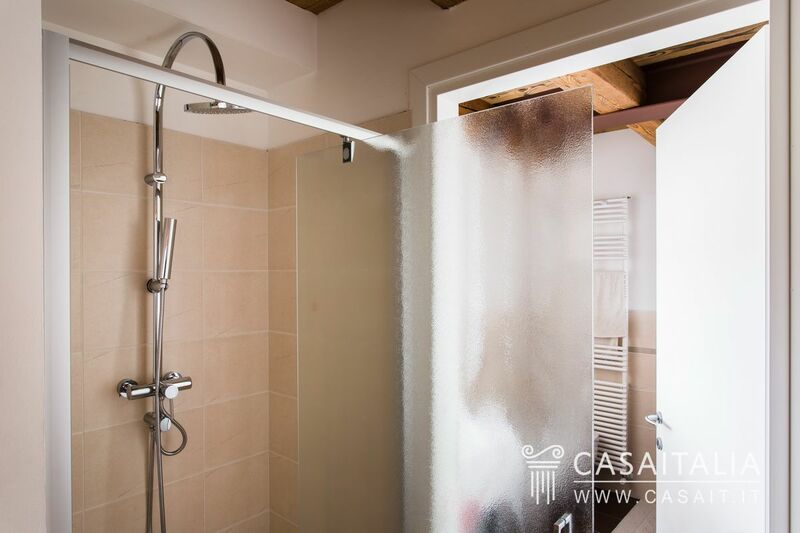 plus basement with garage and storage space of 245 sq.m.. 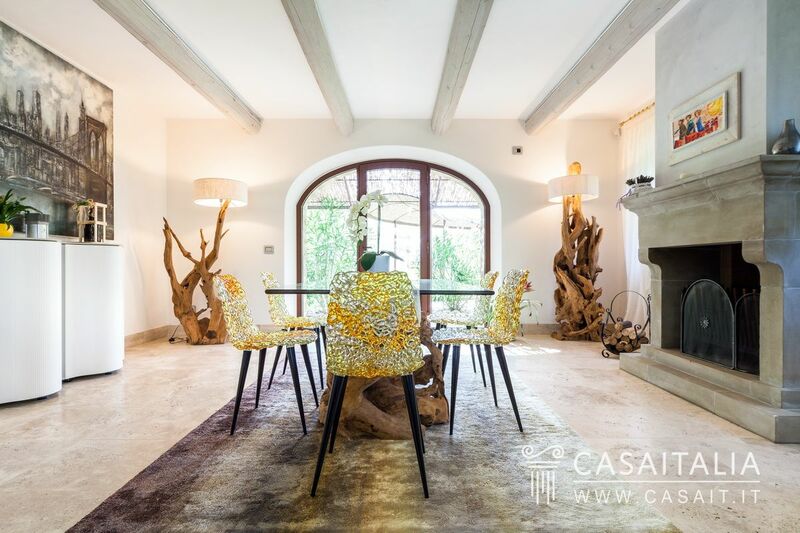 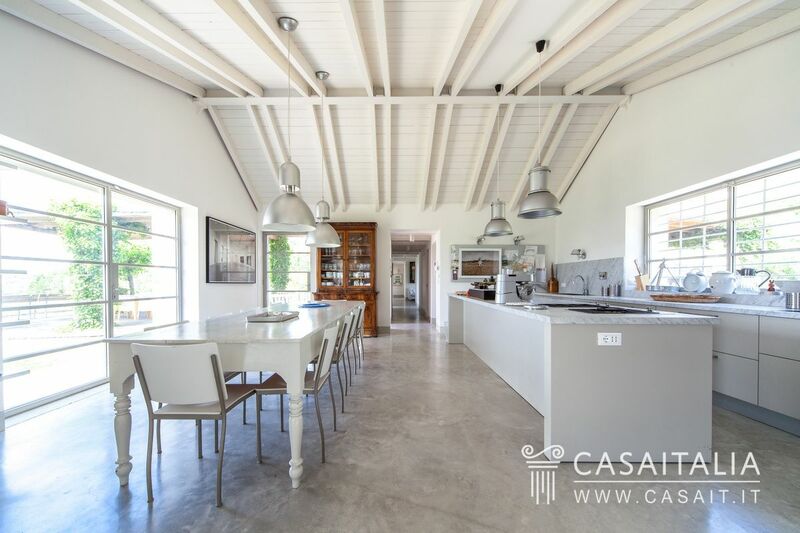 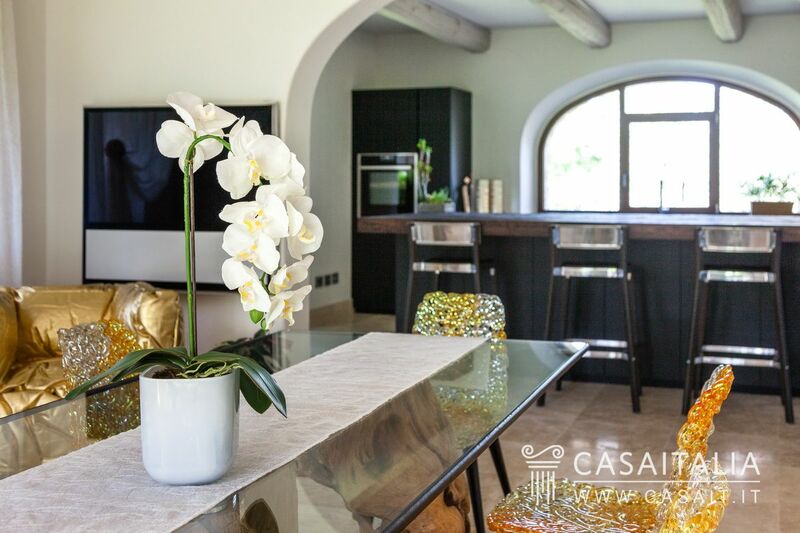 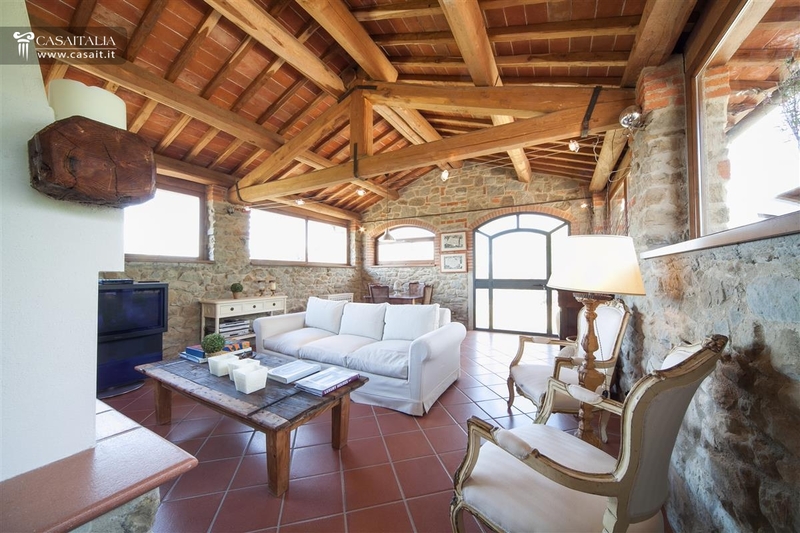 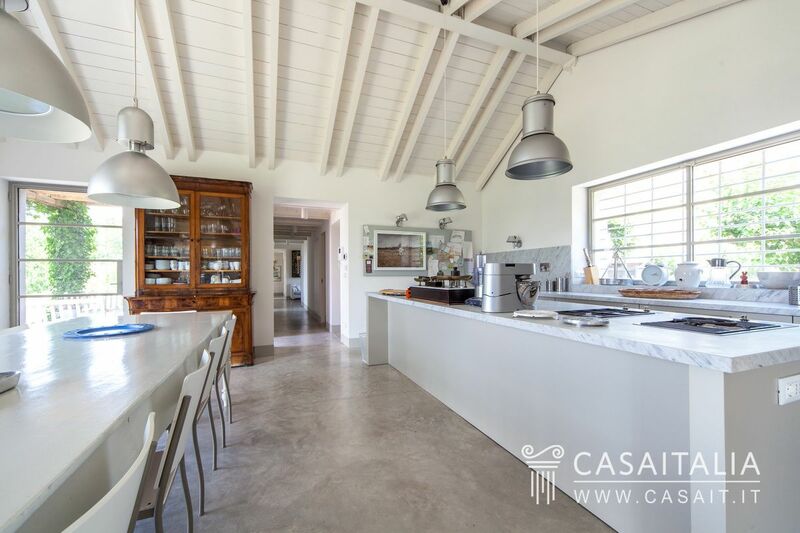 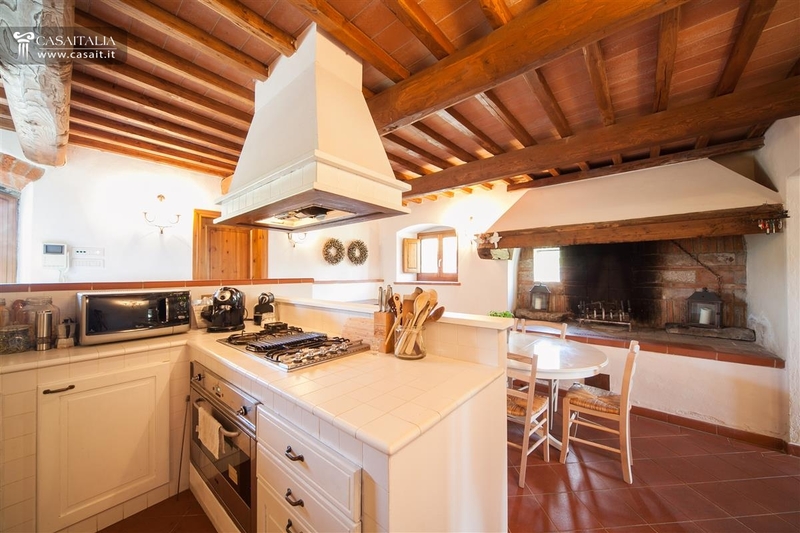 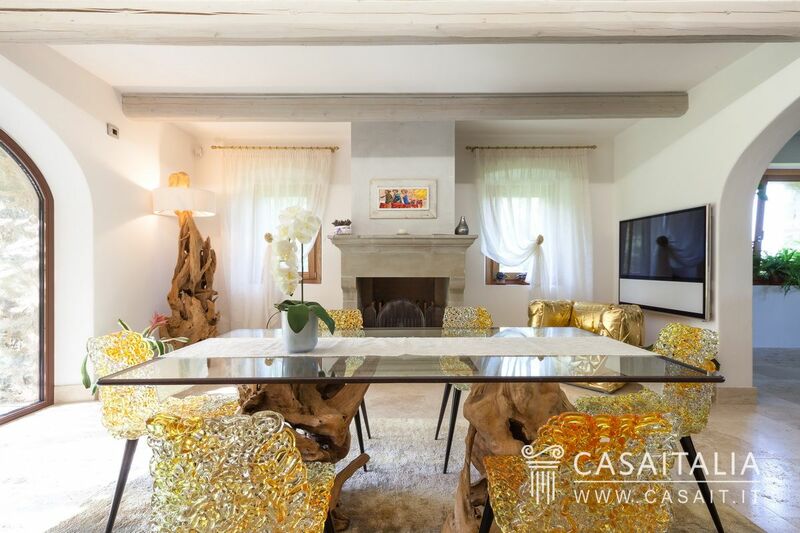 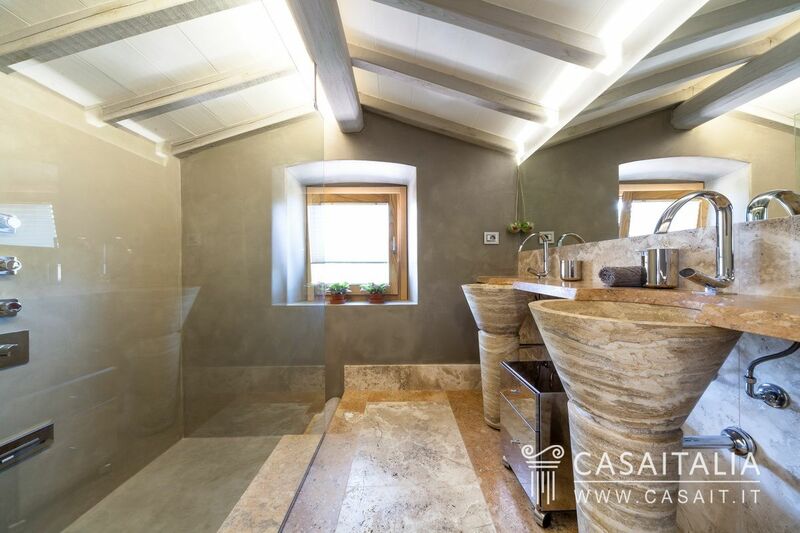 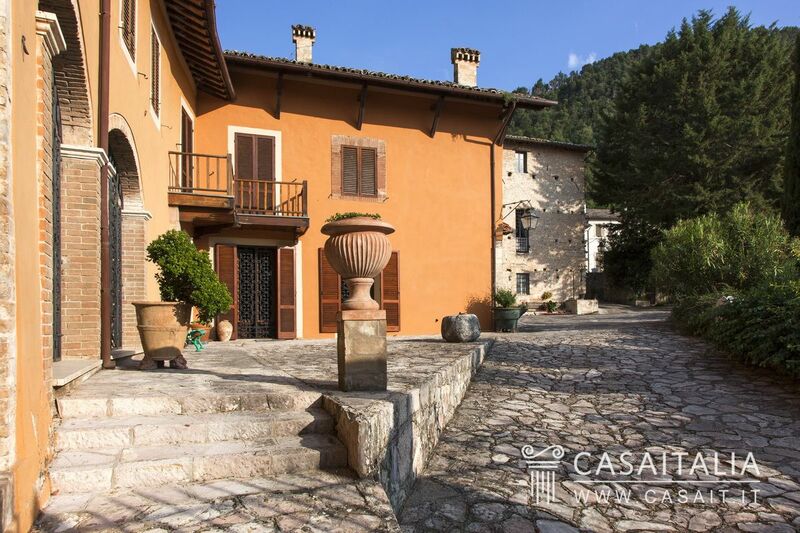 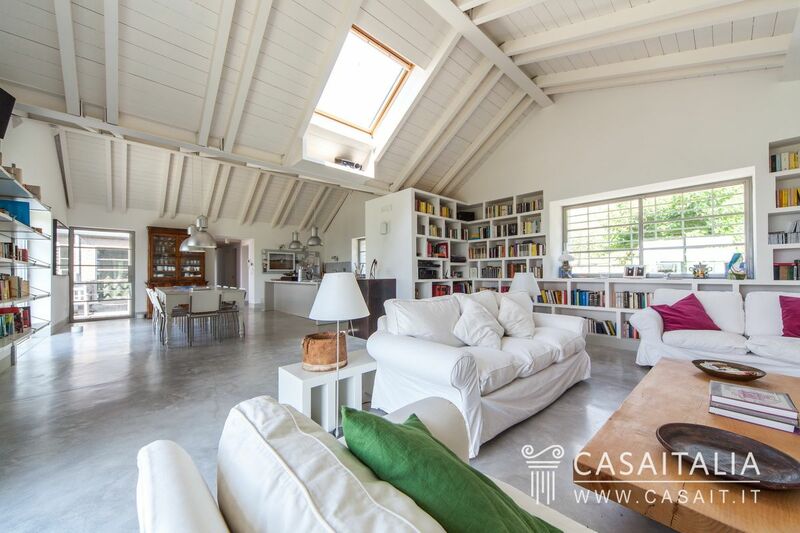 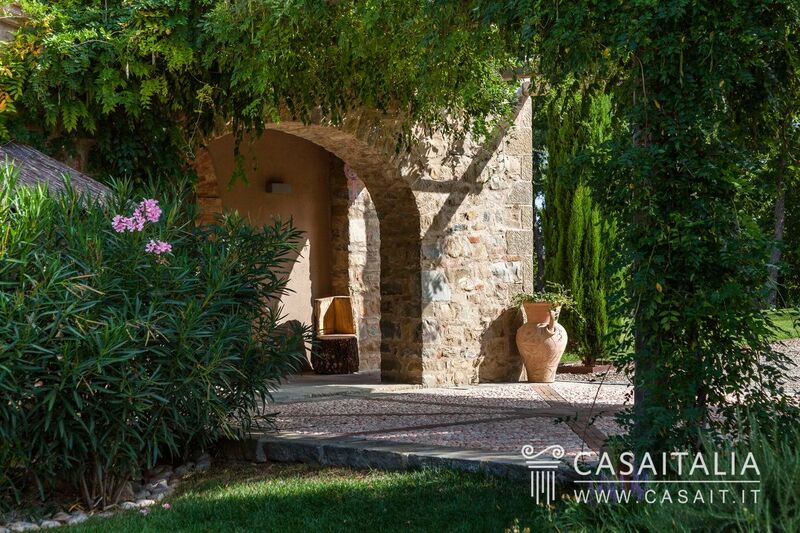 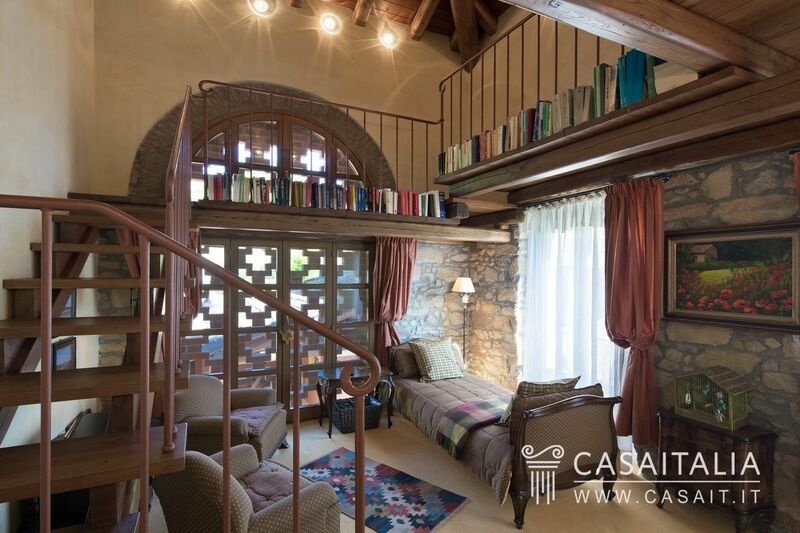 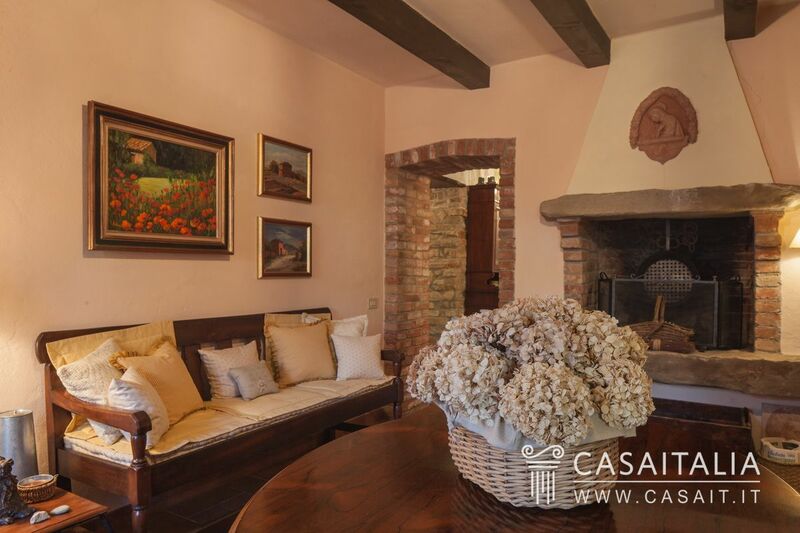 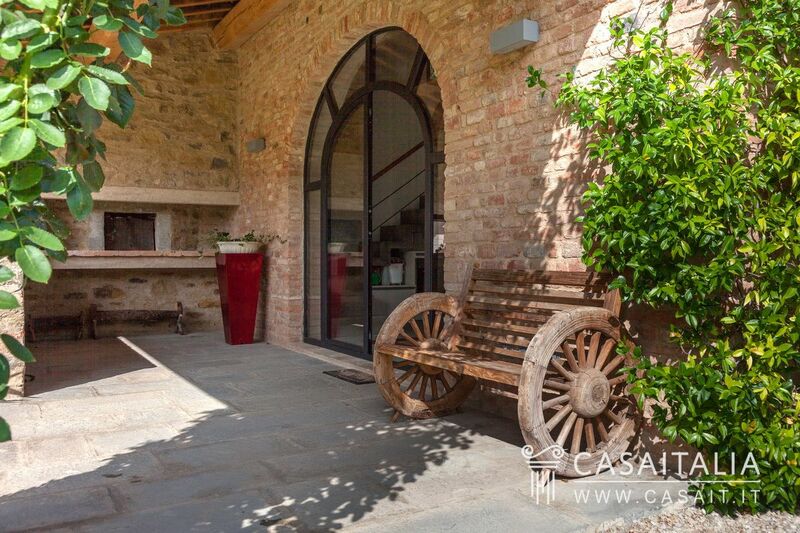 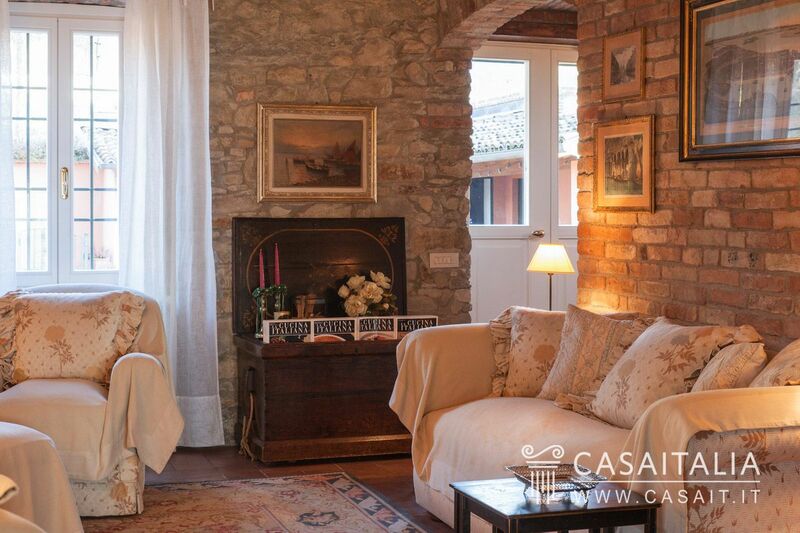 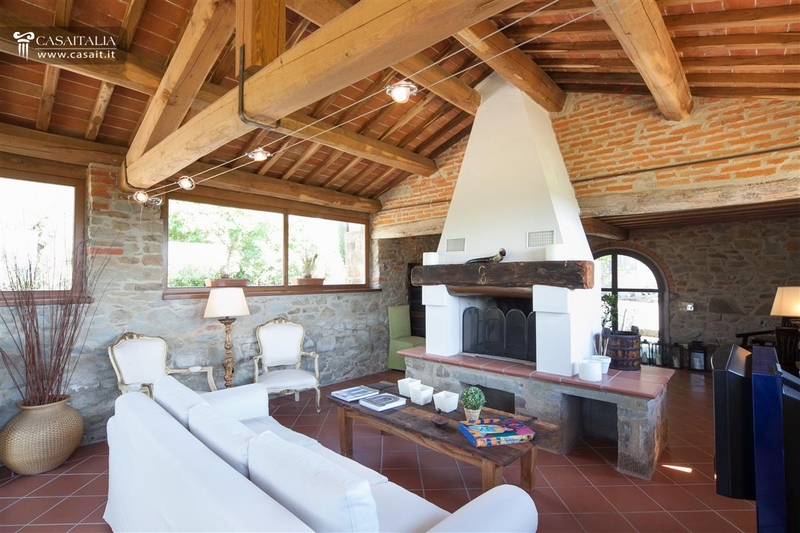 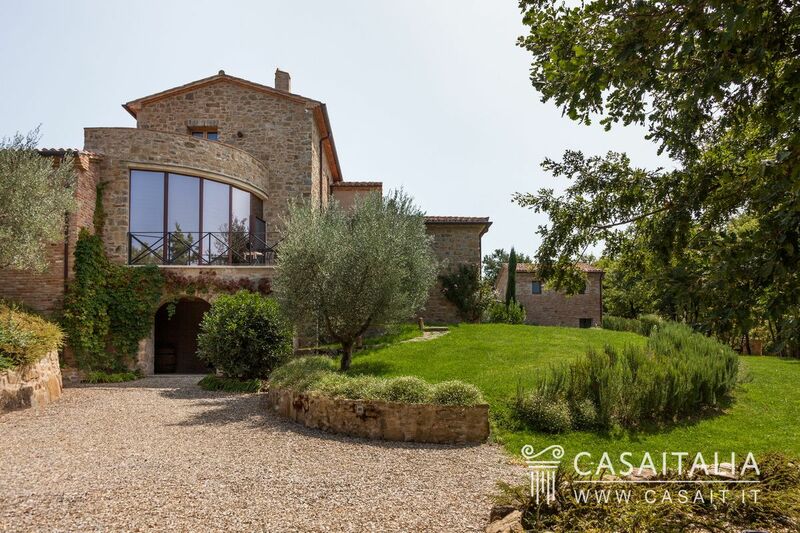 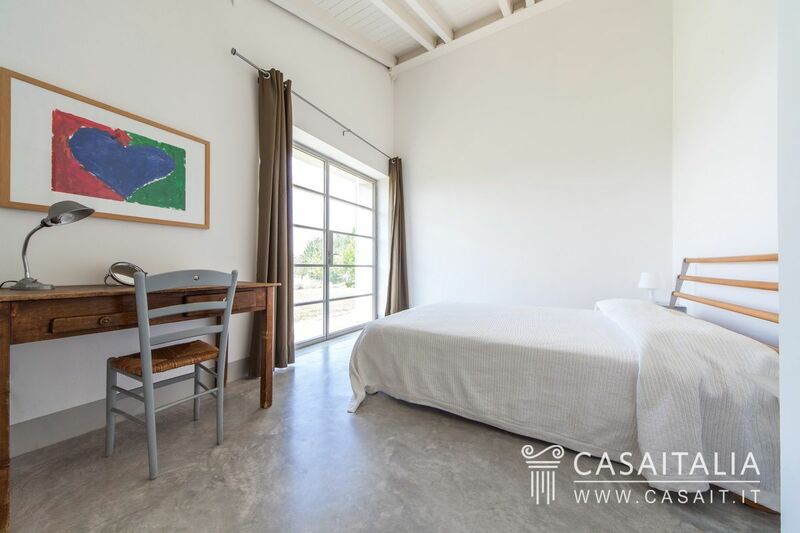 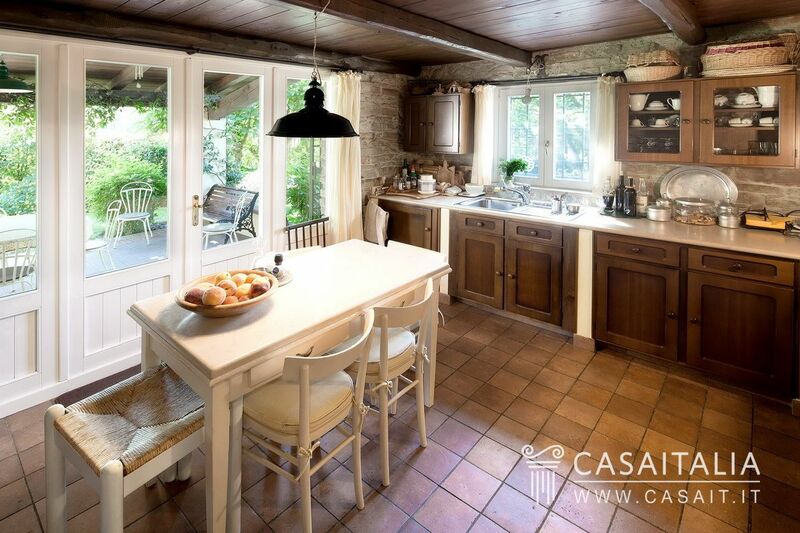 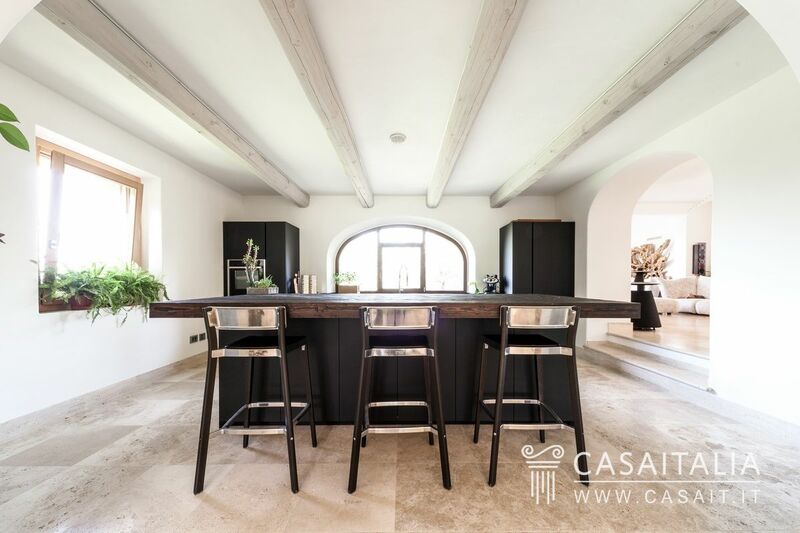 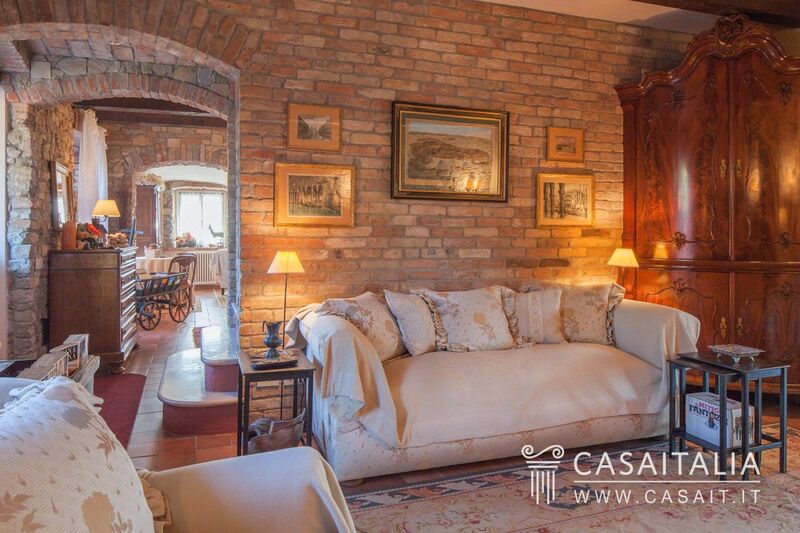 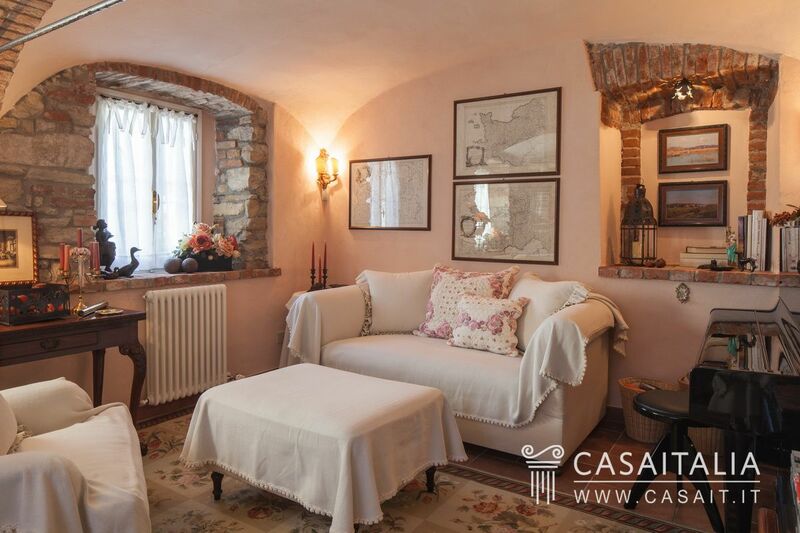 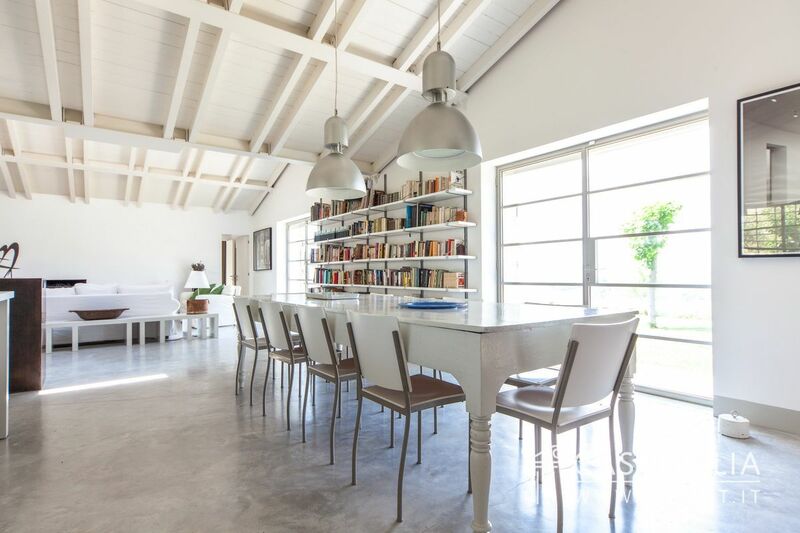 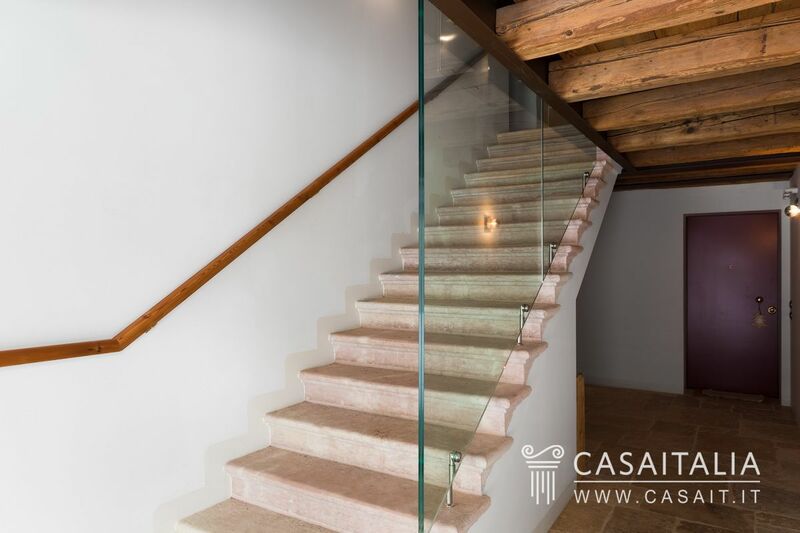 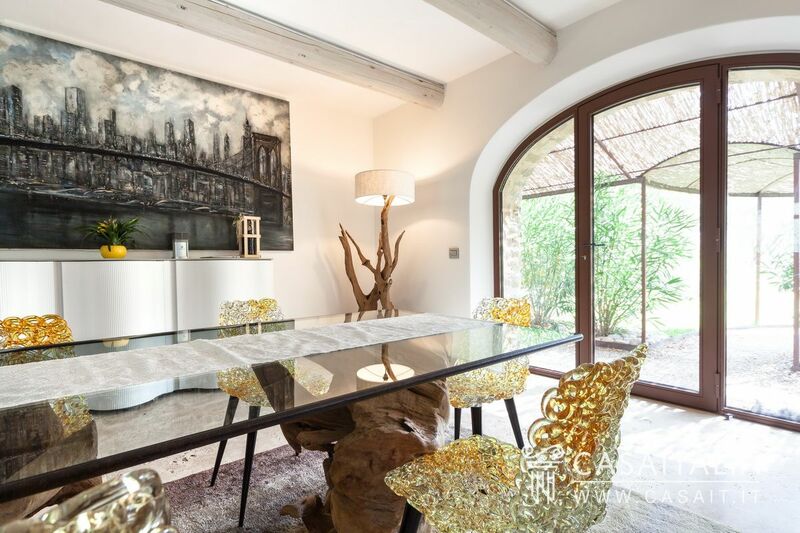 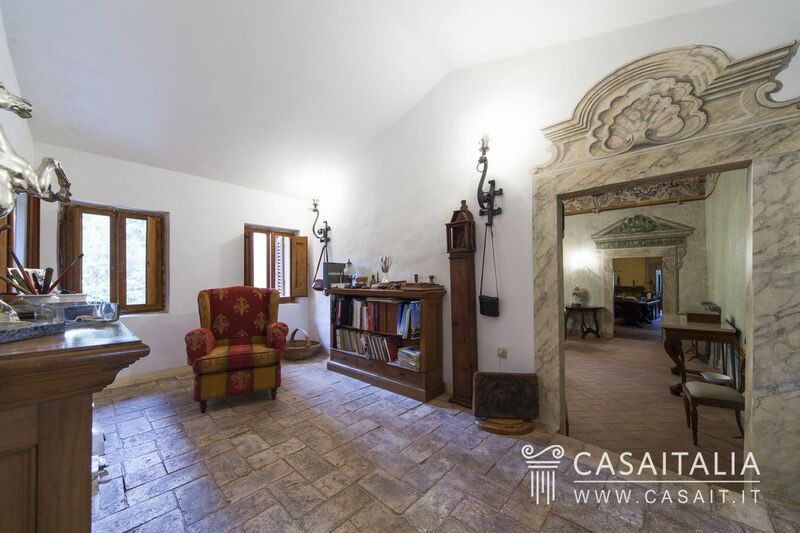 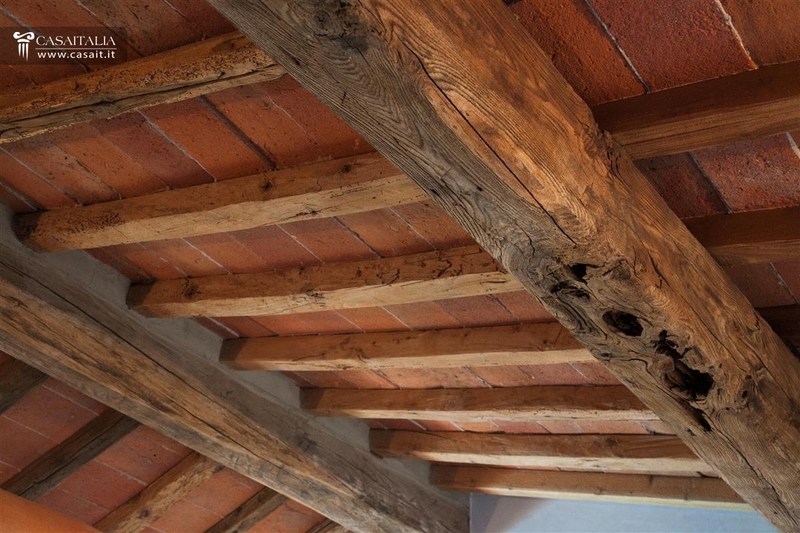 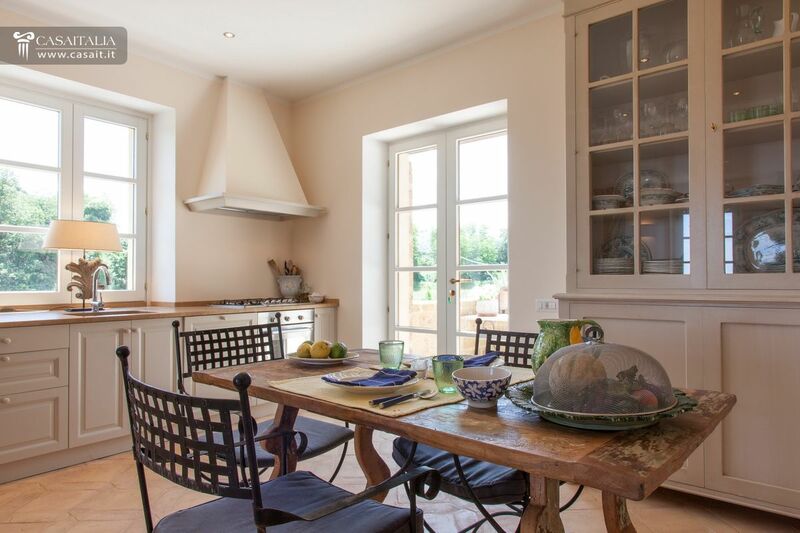 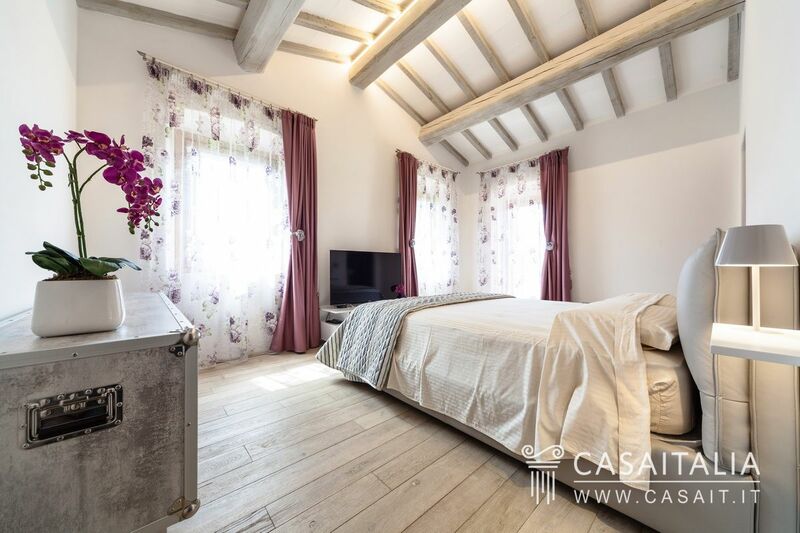 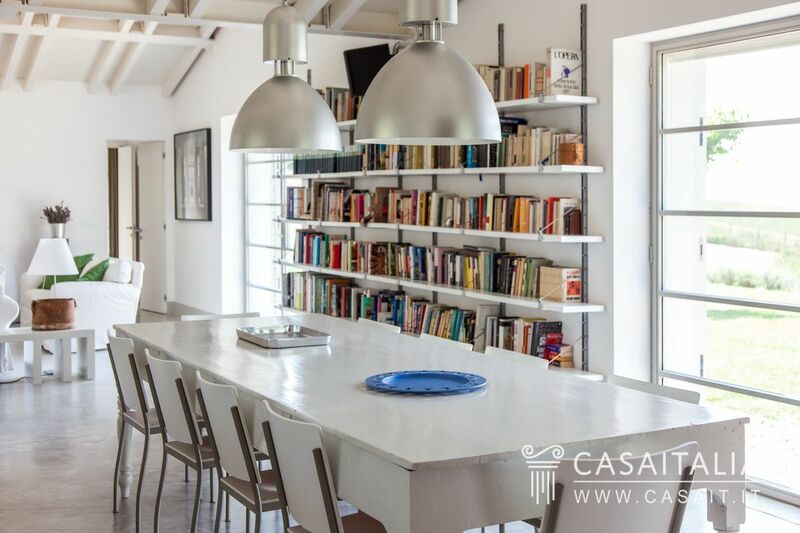 Typical stone farmhouse perfectly restored with high quality finishes combining the rustic style of stone walls with bright, modern interiors. 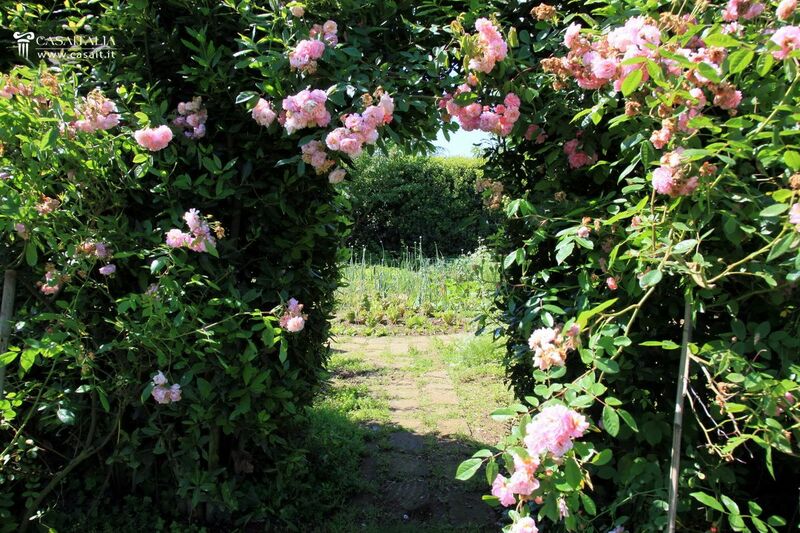 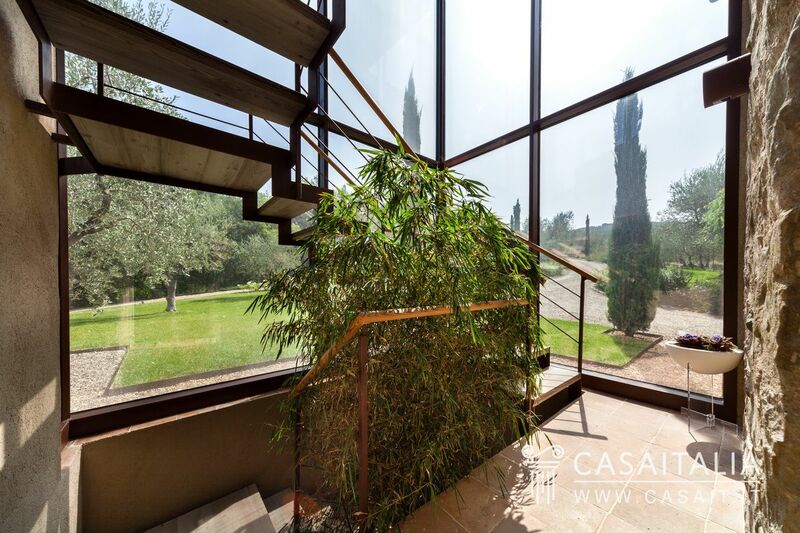 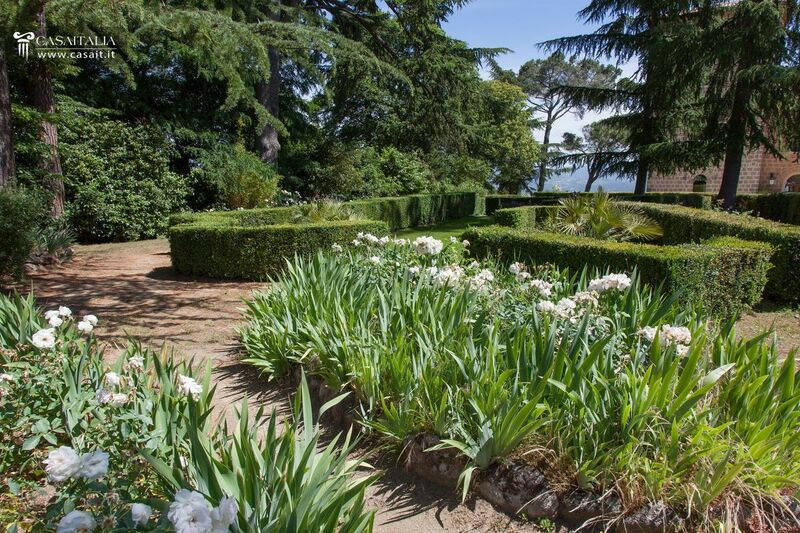 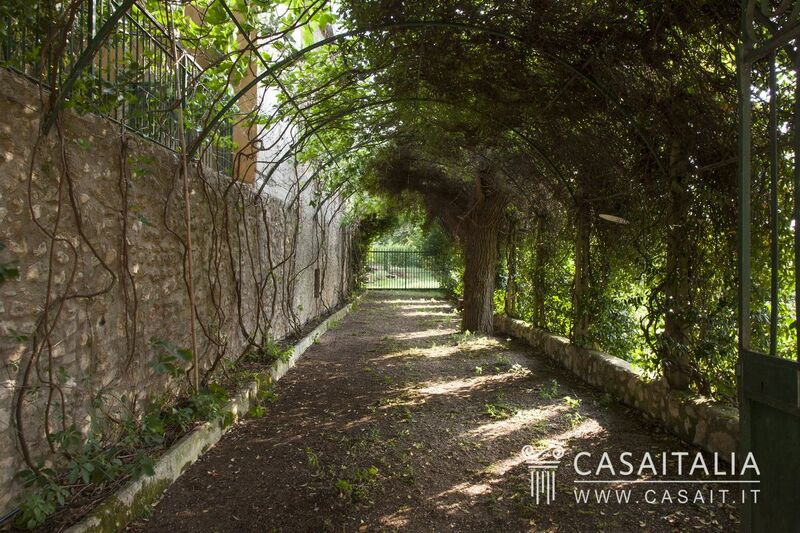 Land of 3.8 hectares with beautiful garden and olive grove. 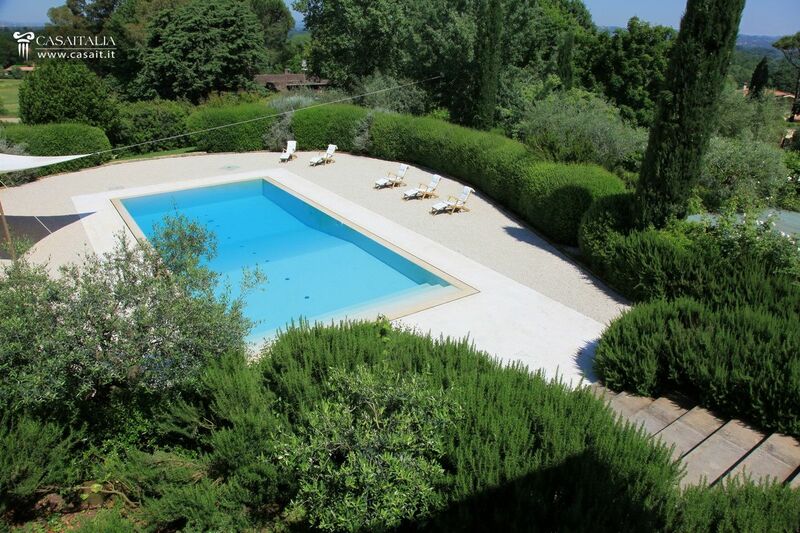 Infinity pool and annex building. 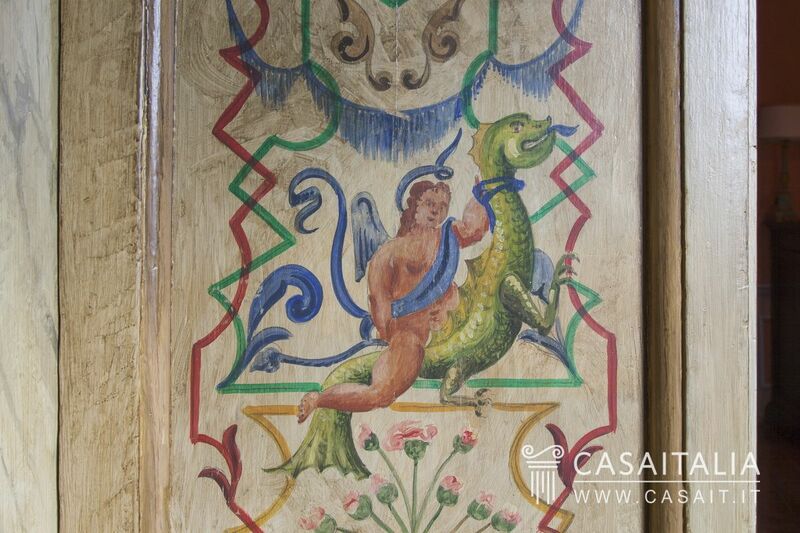 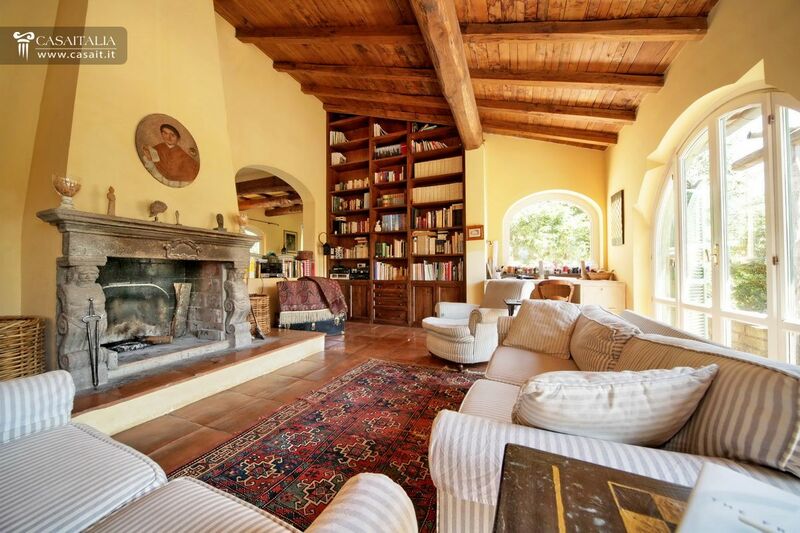 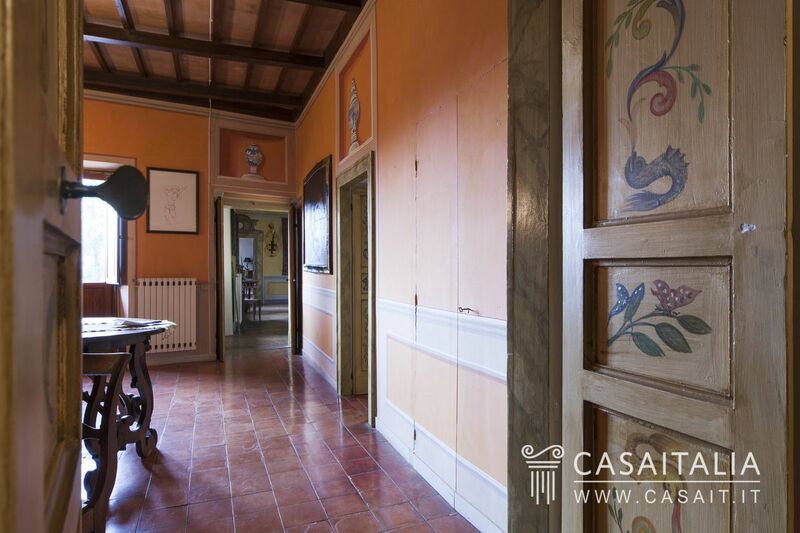 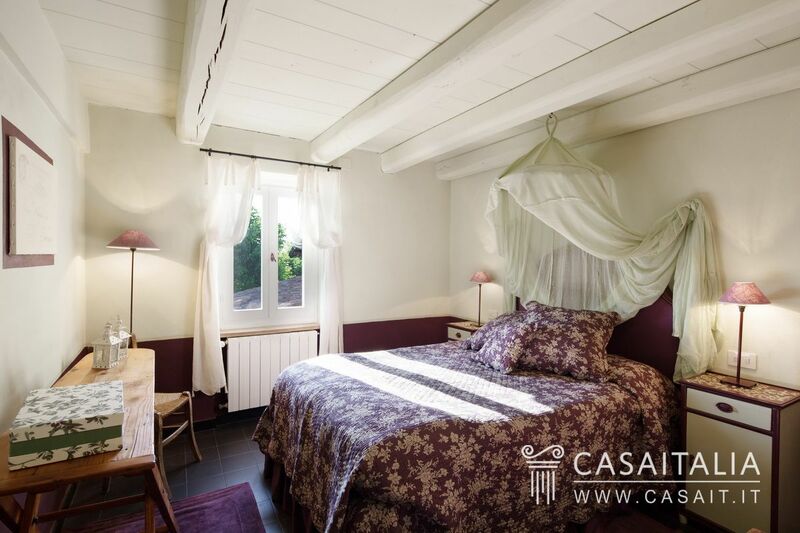 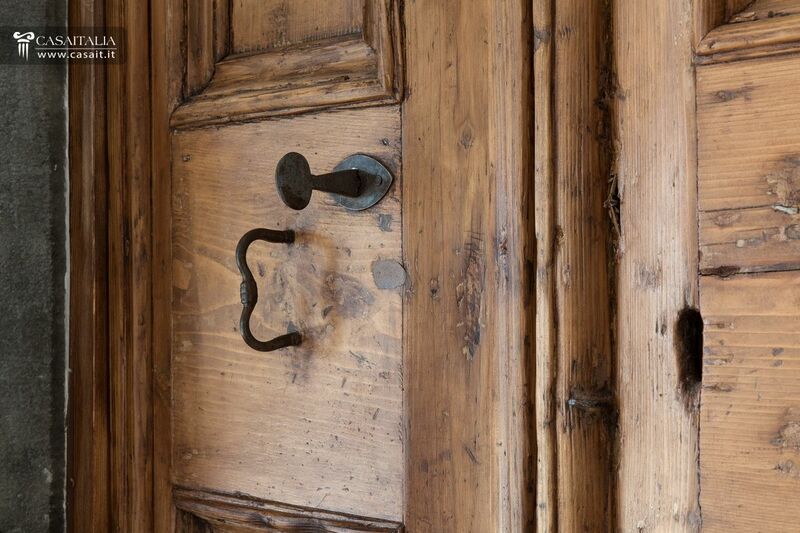 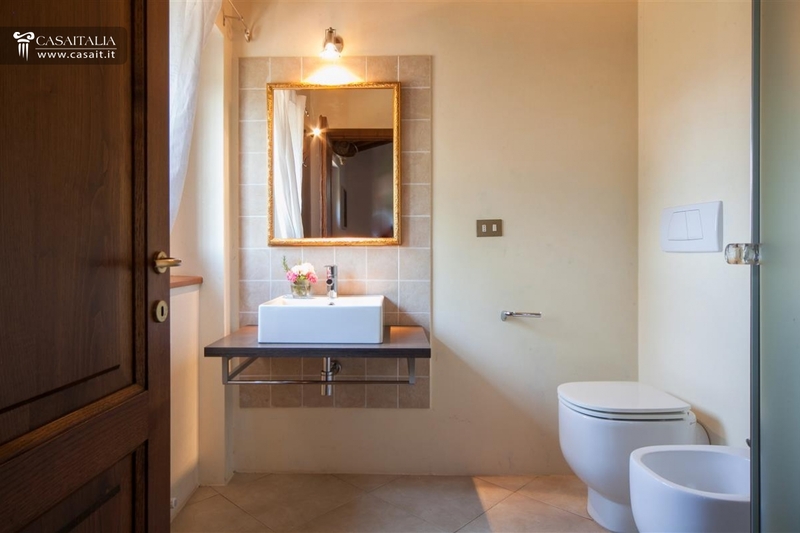 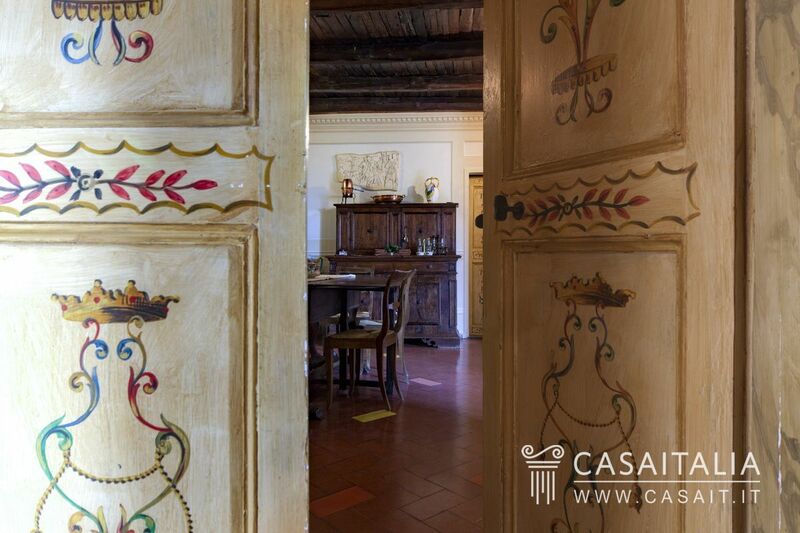 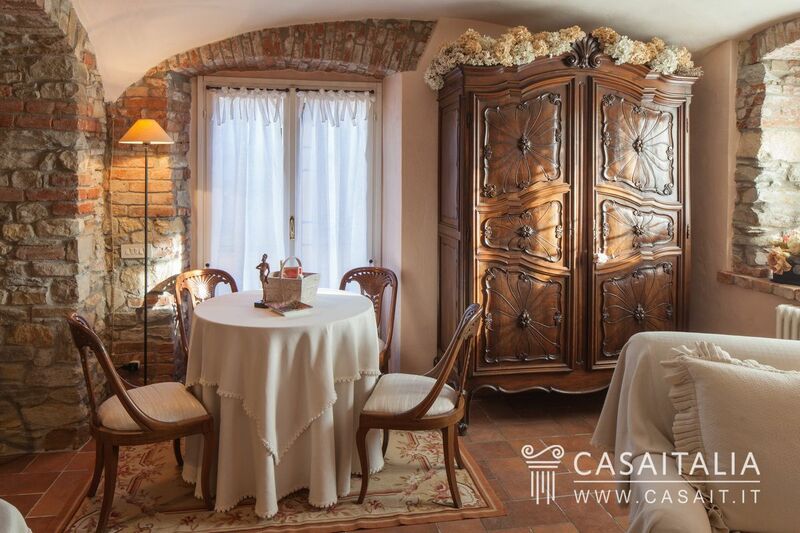 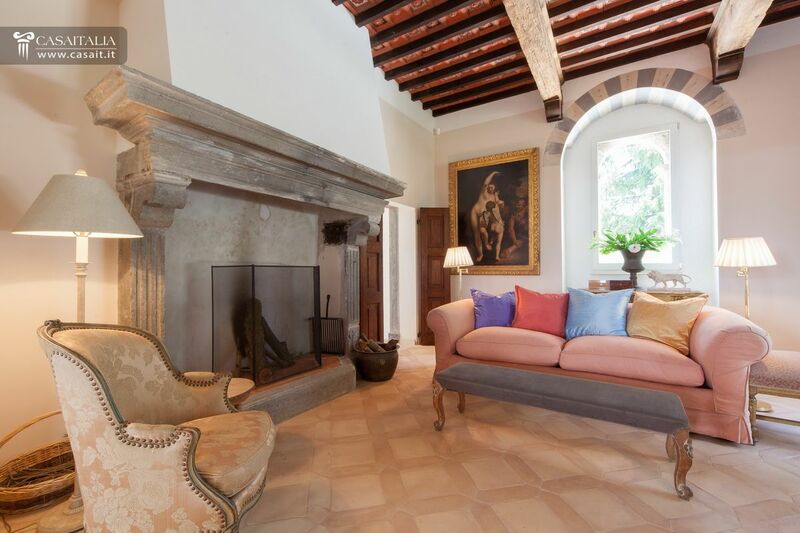 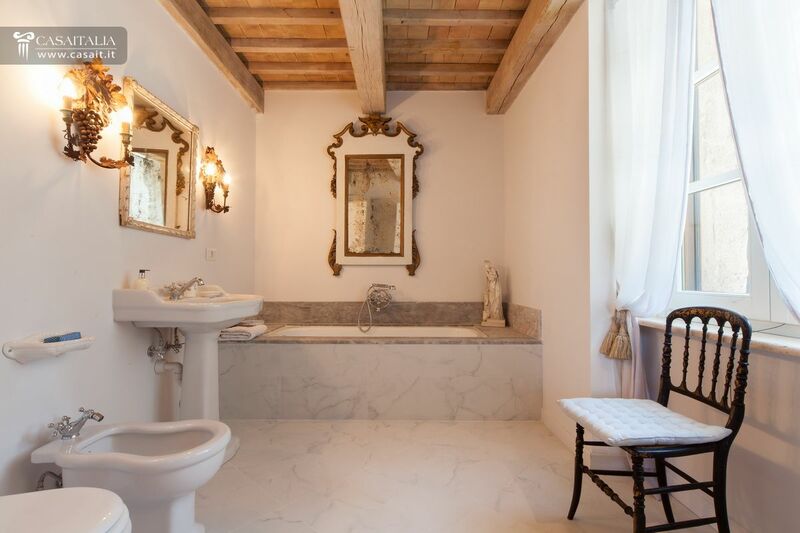 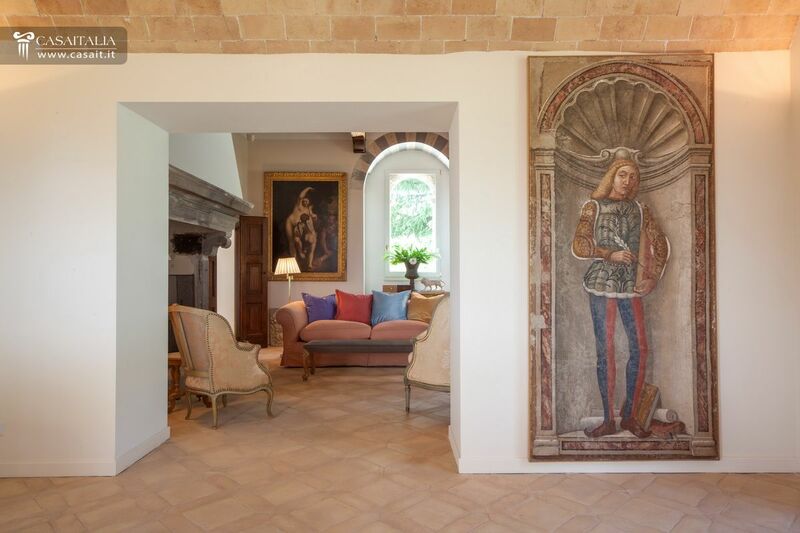 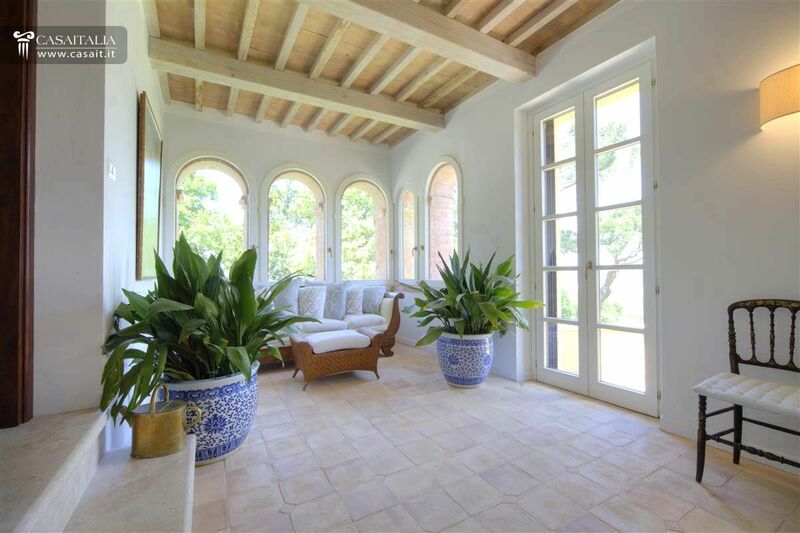 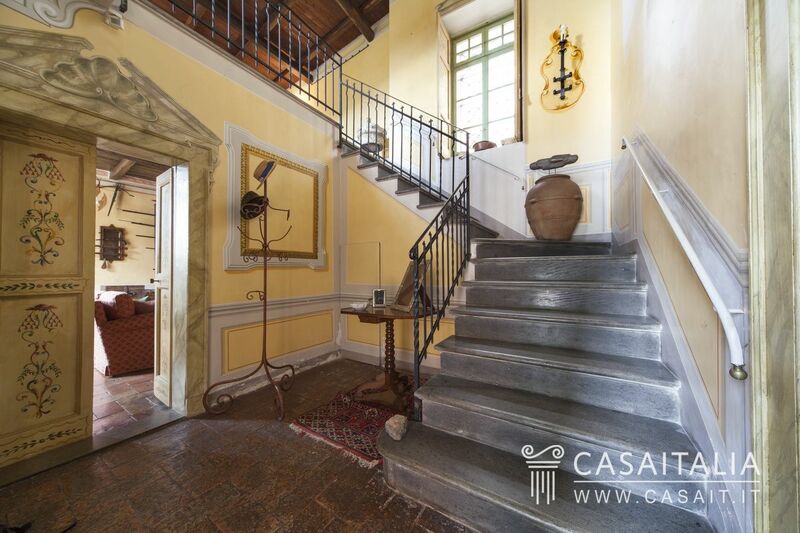 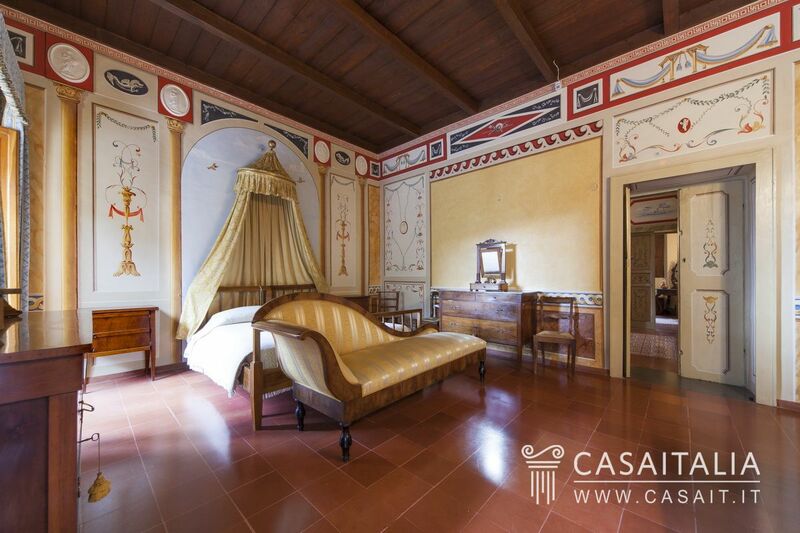 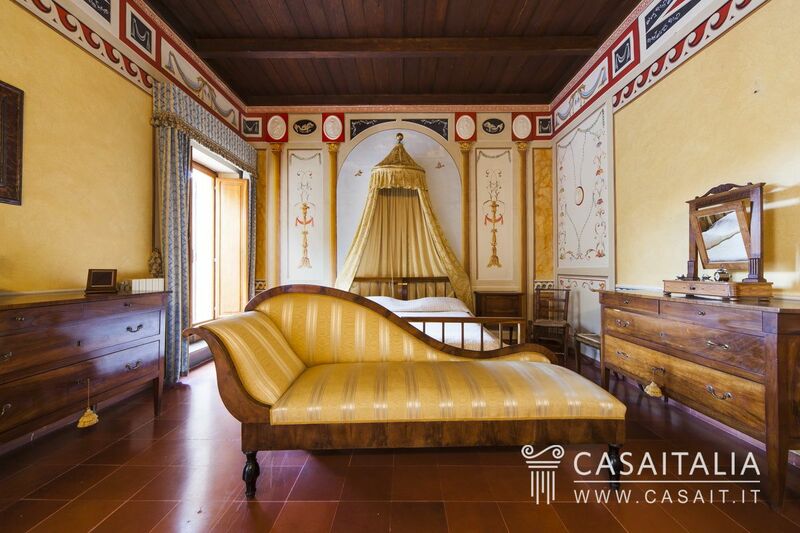 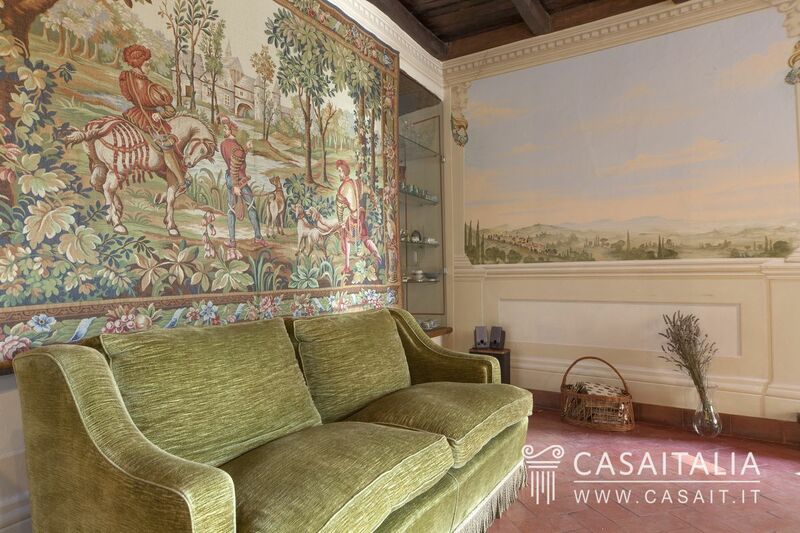 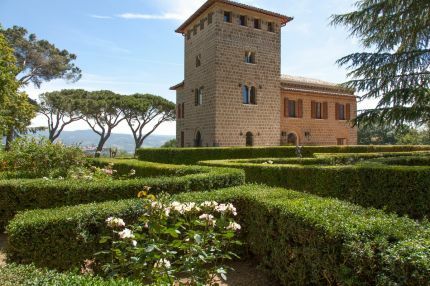 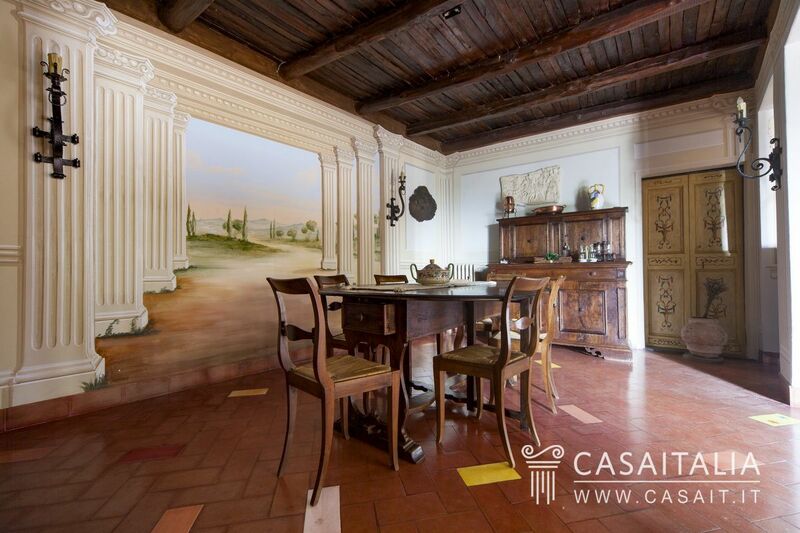 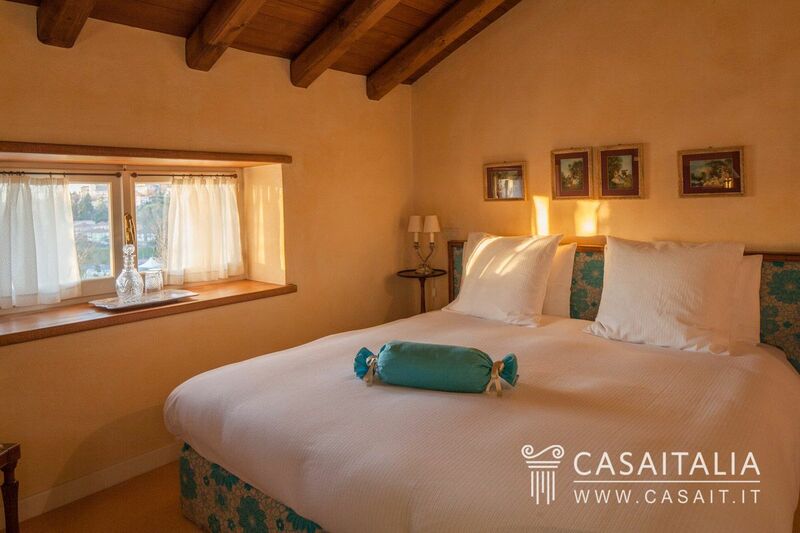 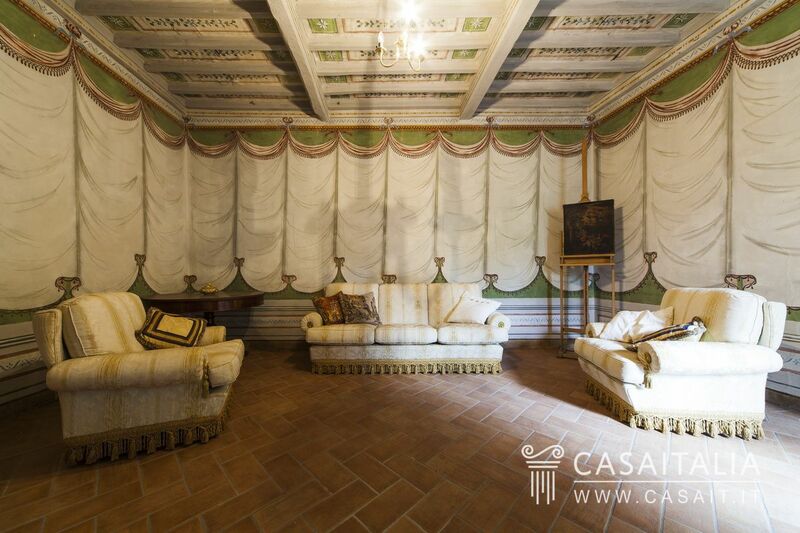 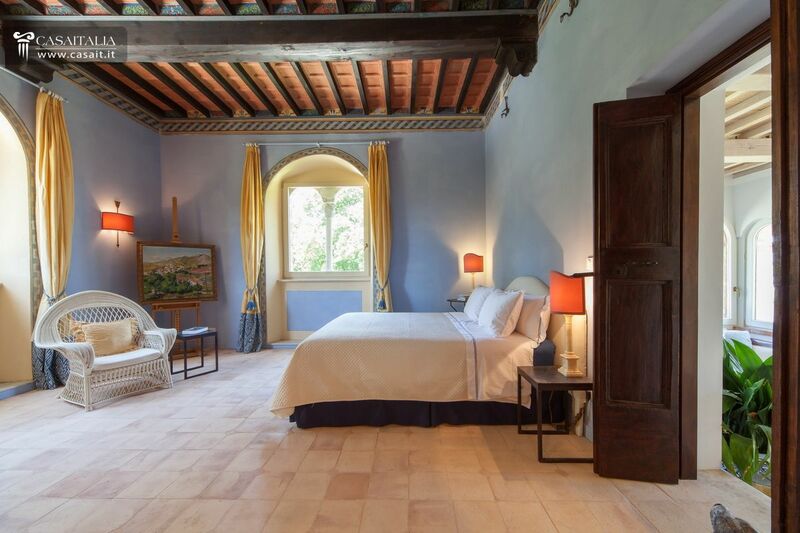 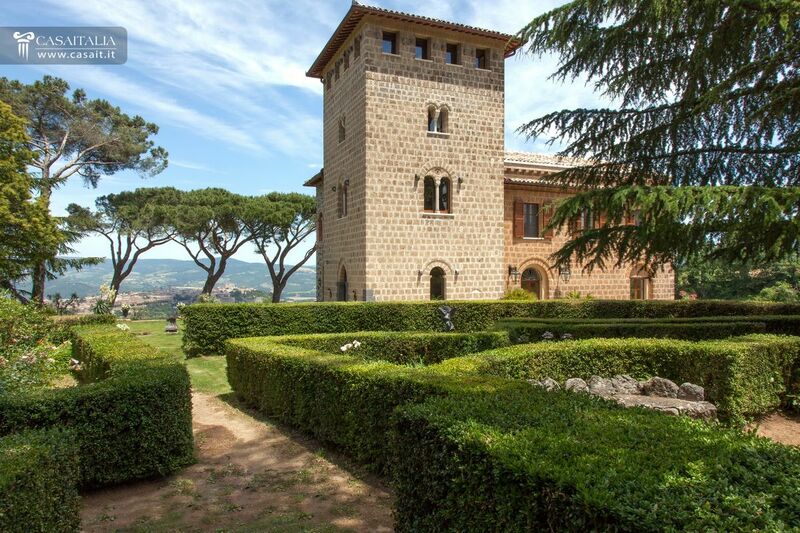 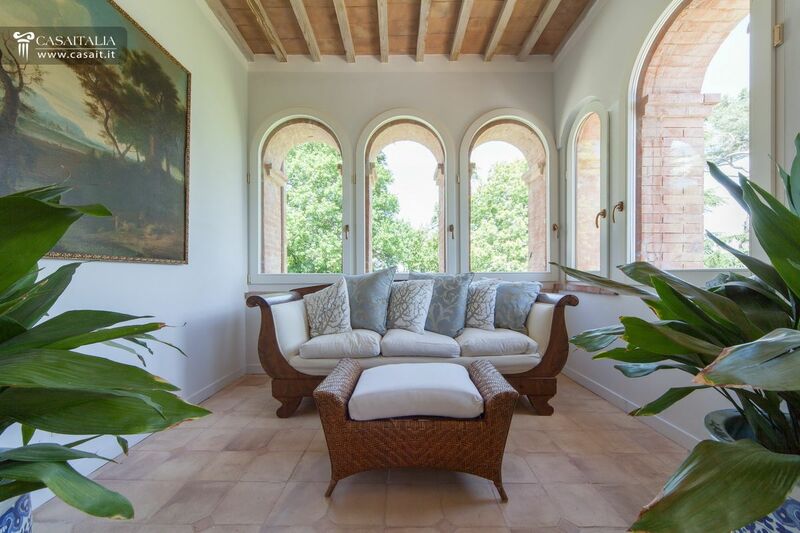 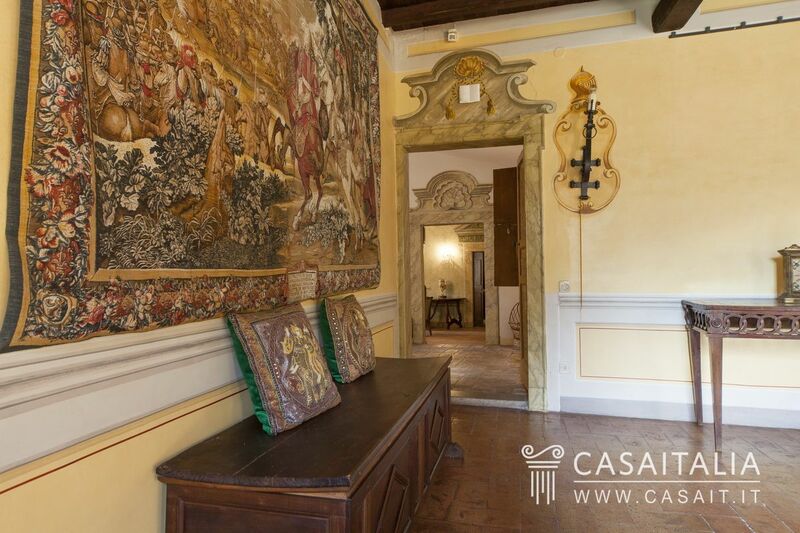 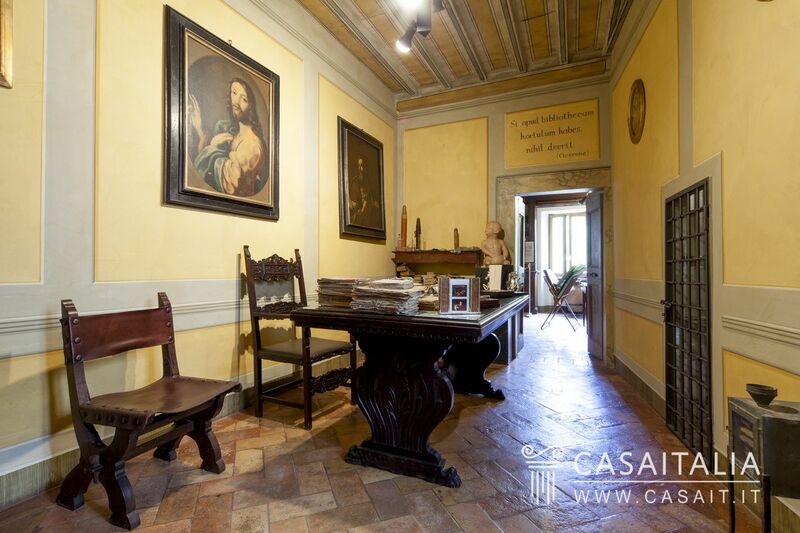 Historic villa finely restored in a unique position overlooking Orvieto. 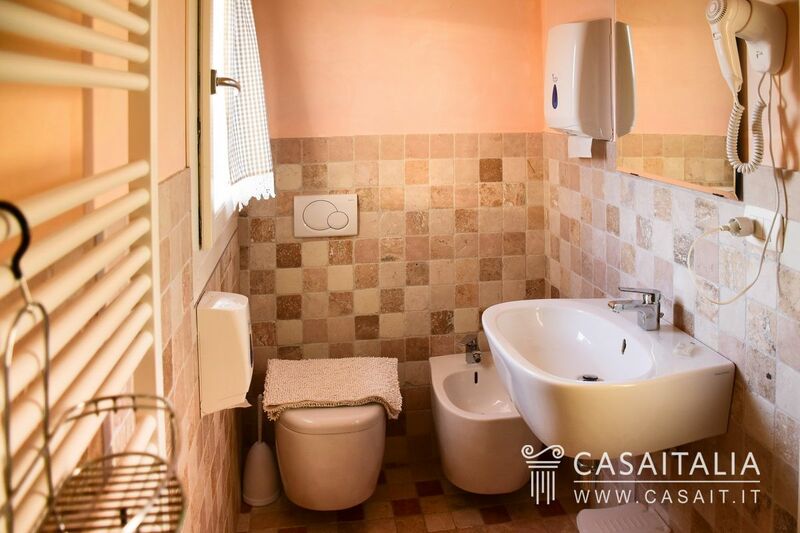 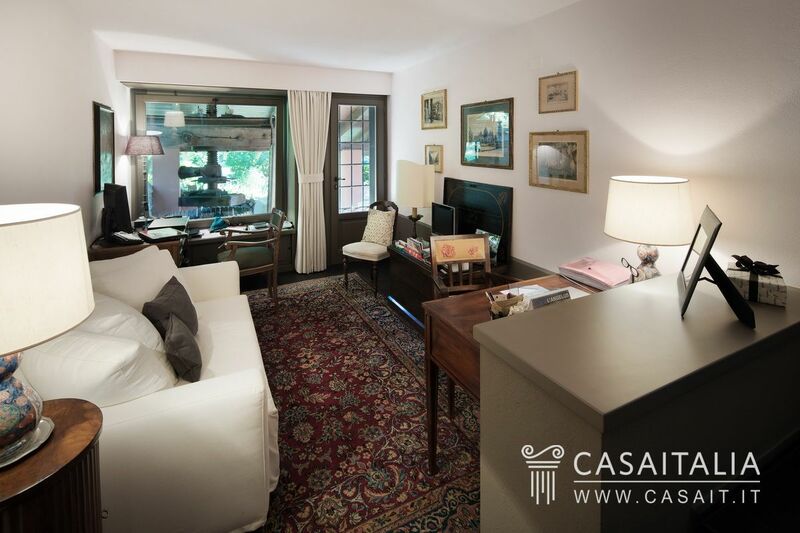 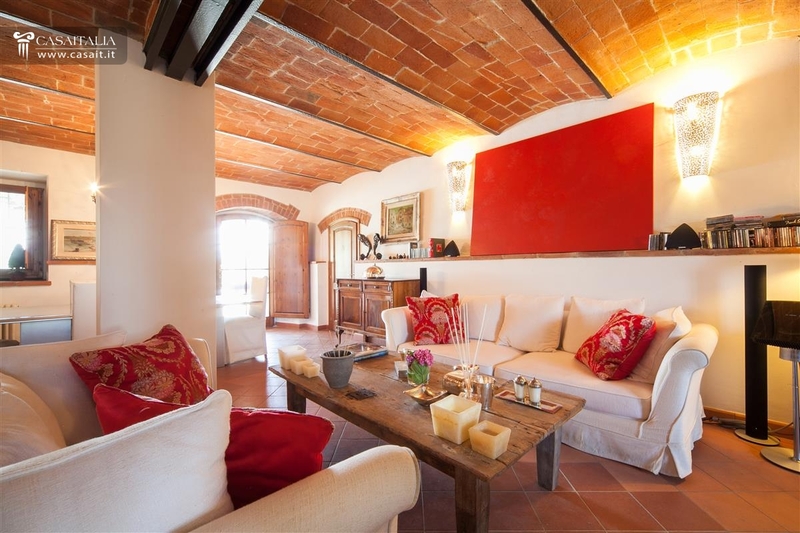 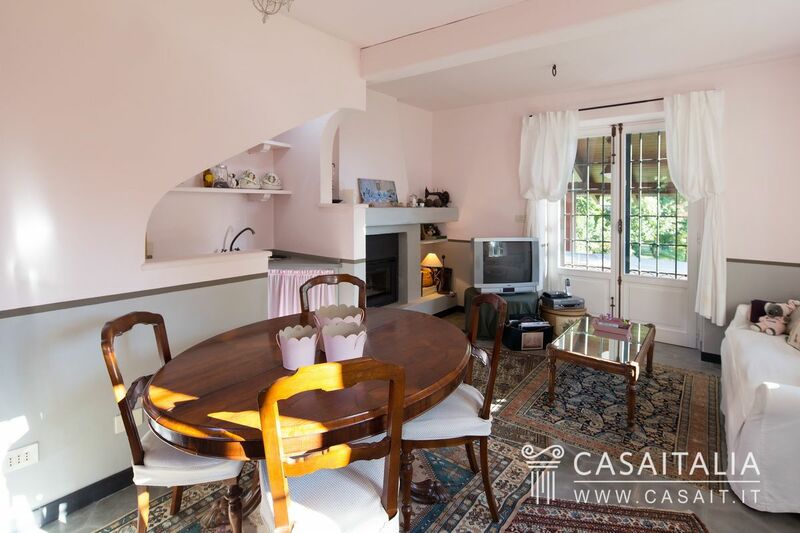 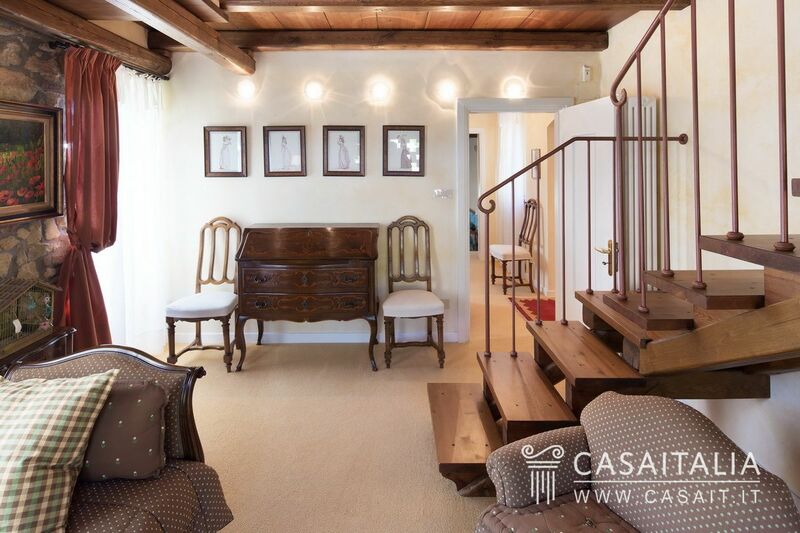 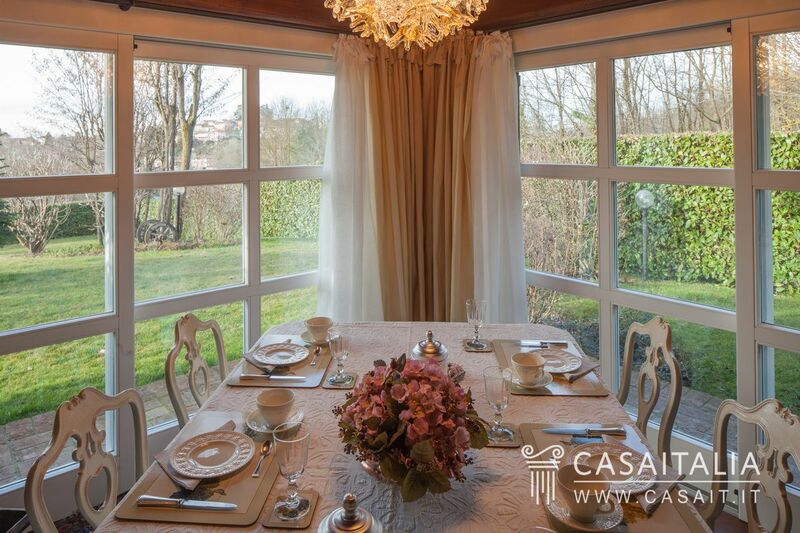 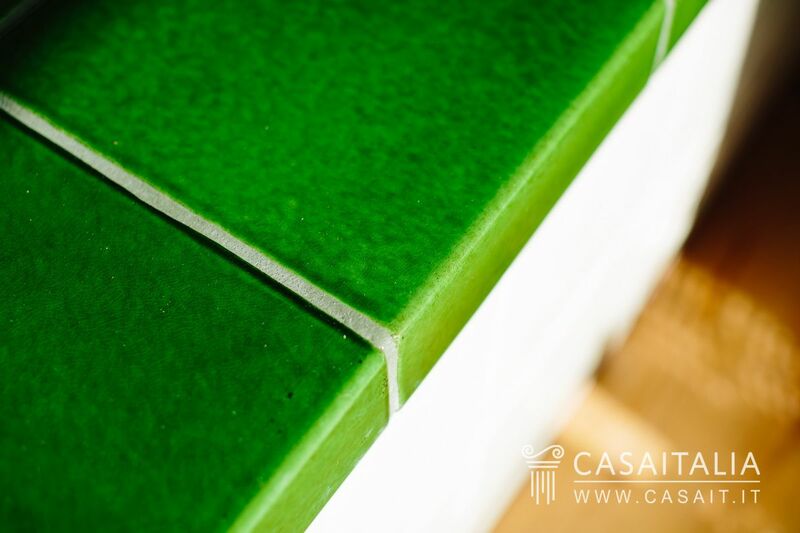 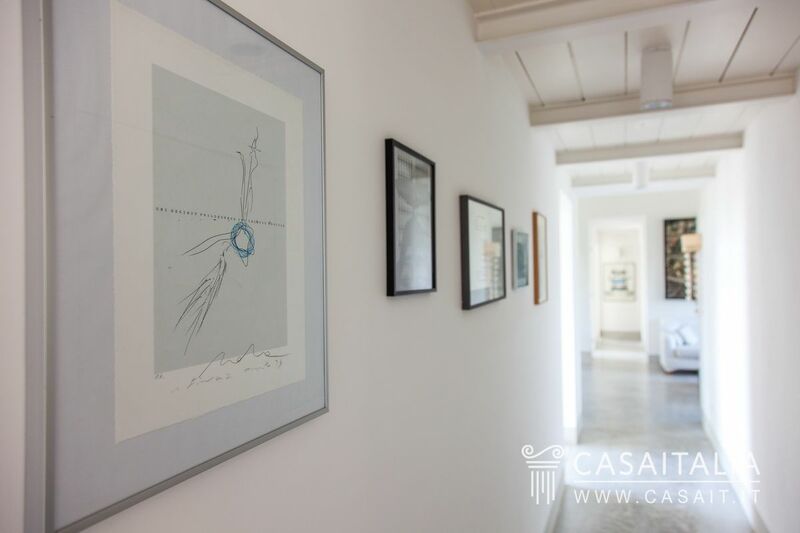 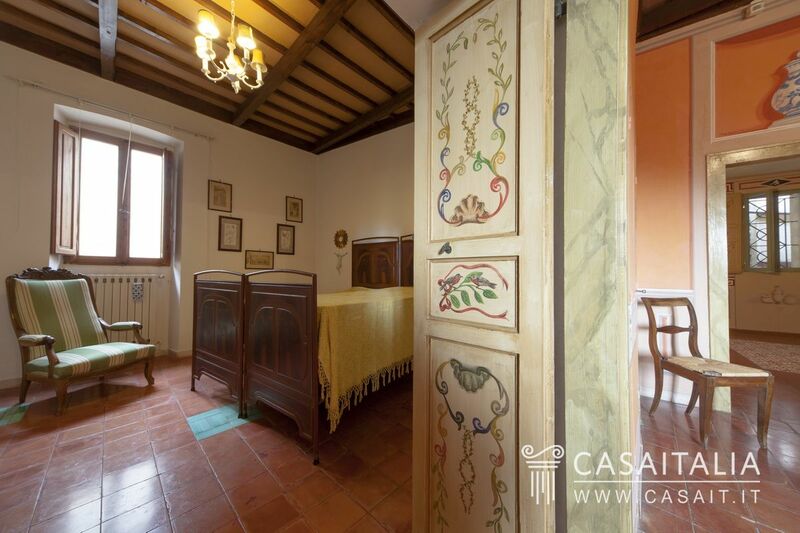 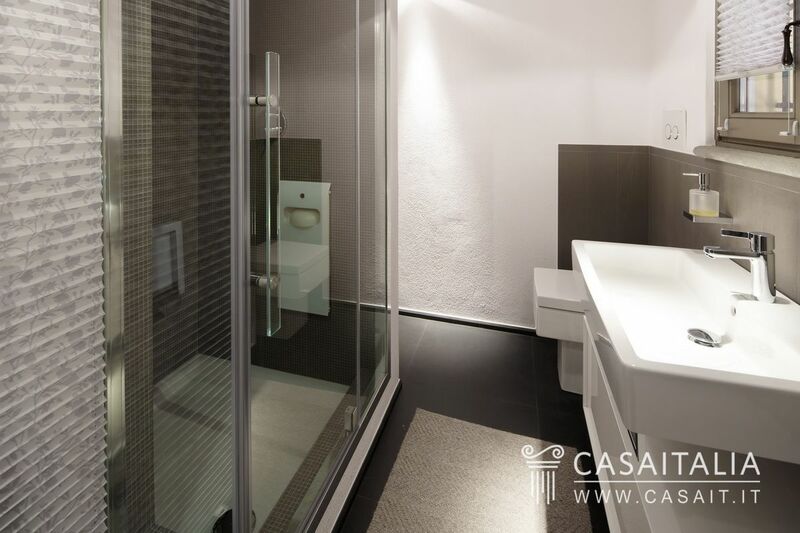 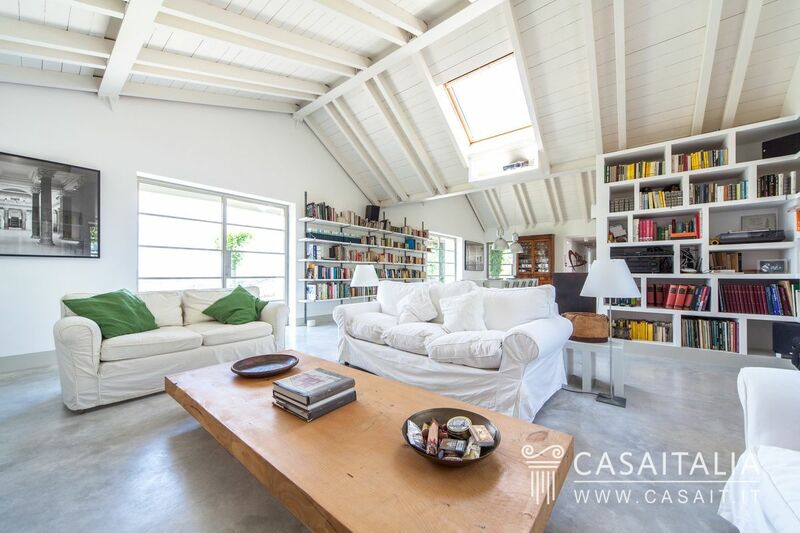 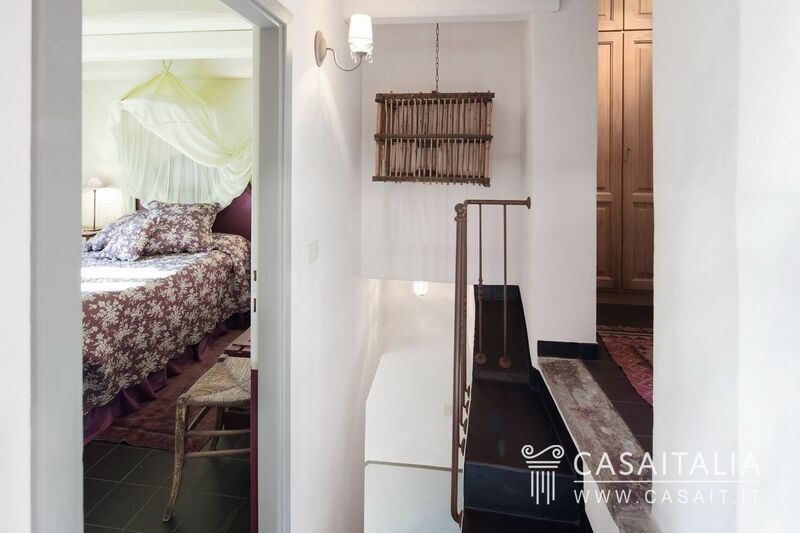 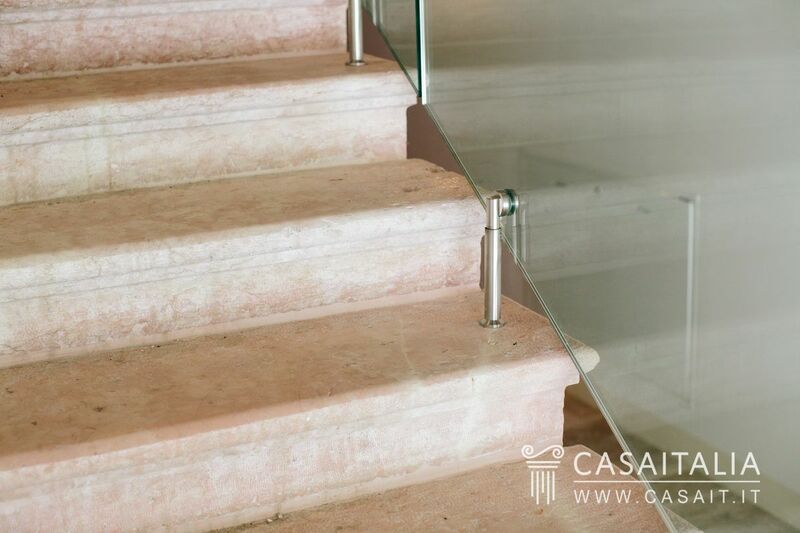 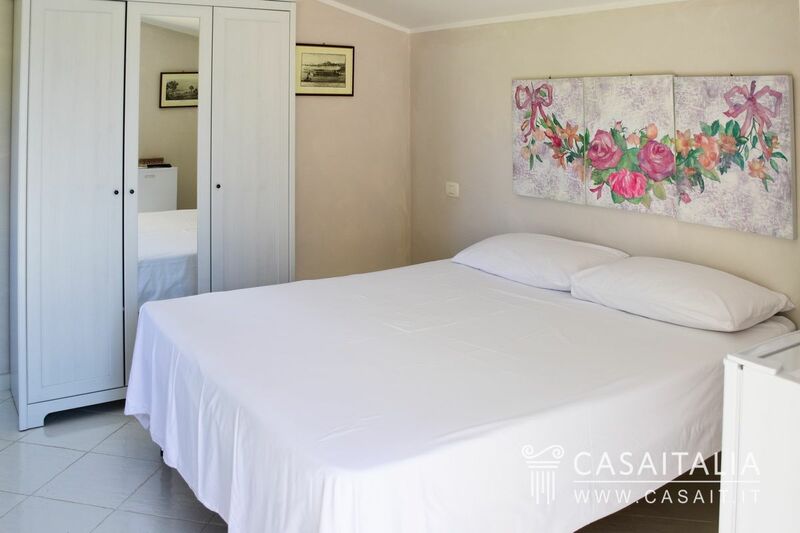 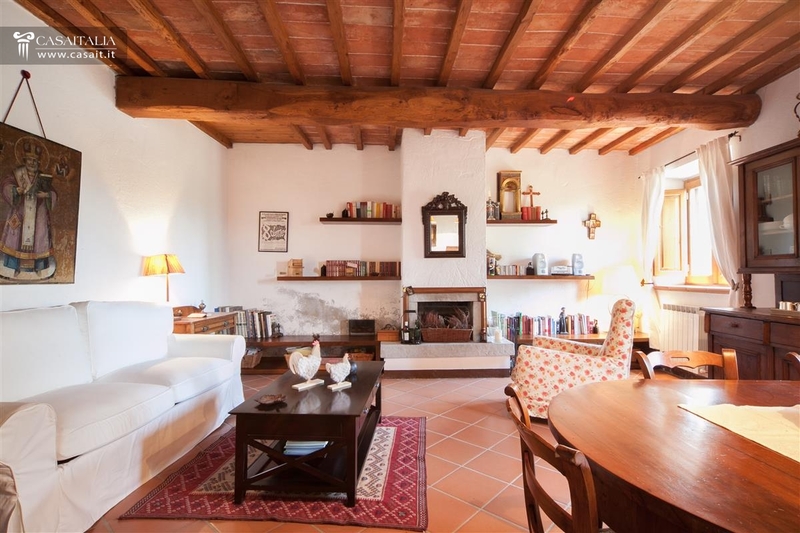 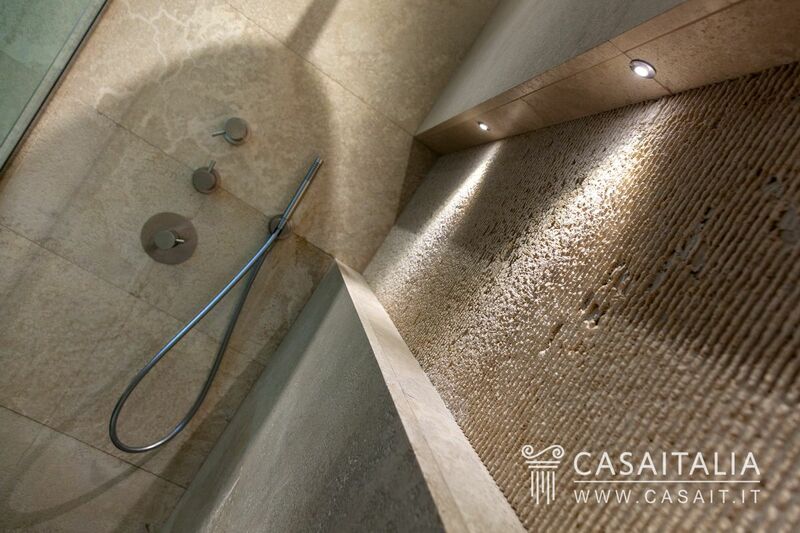 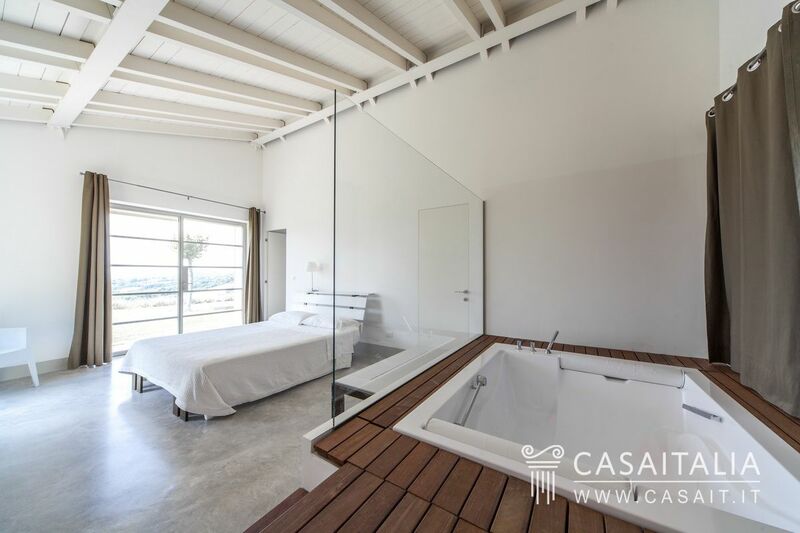 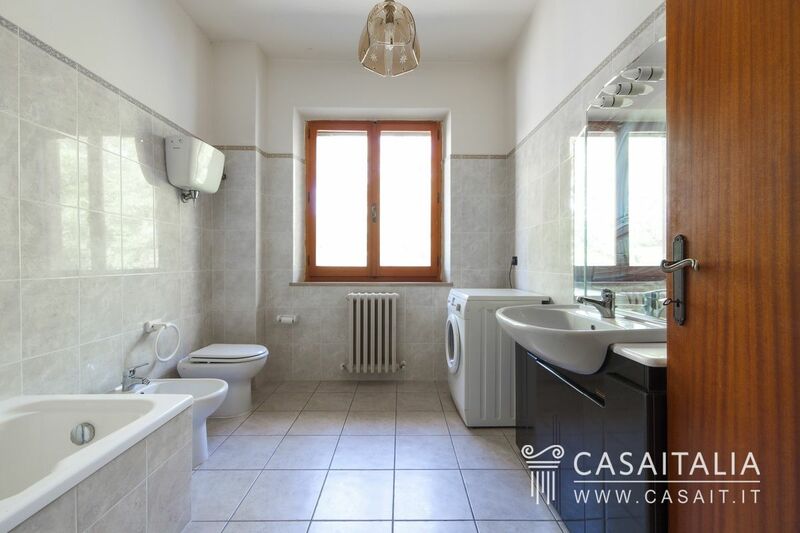 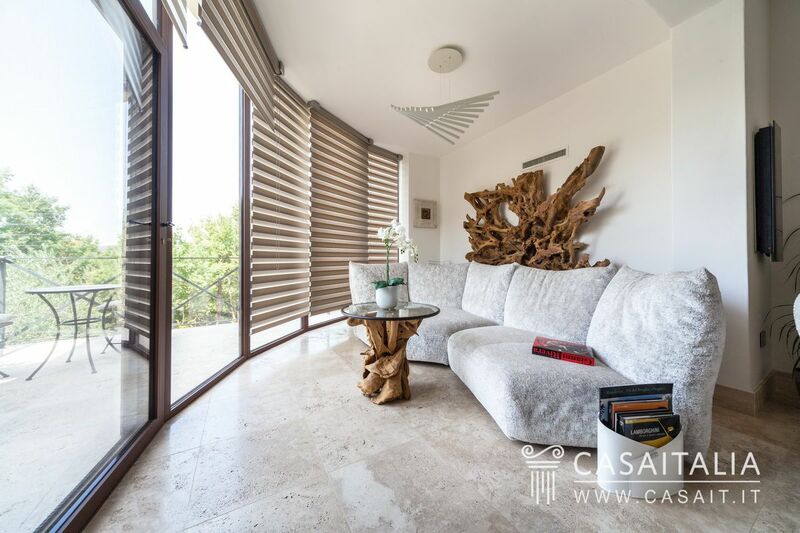 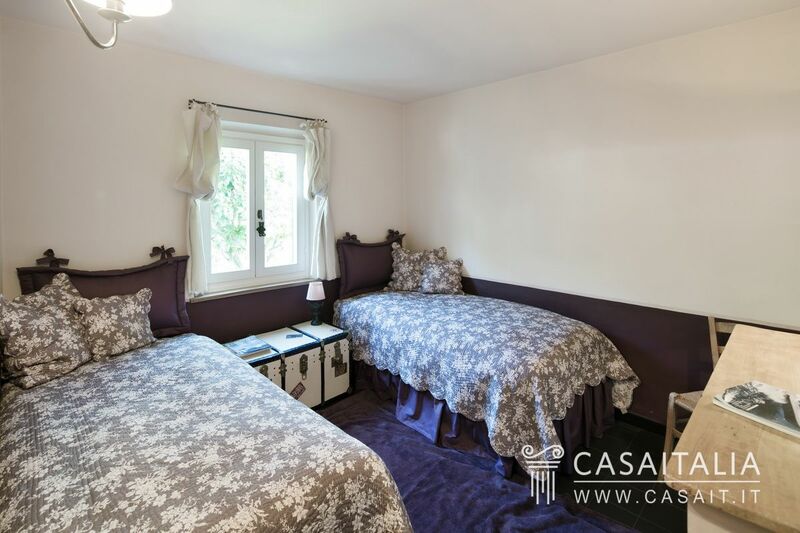 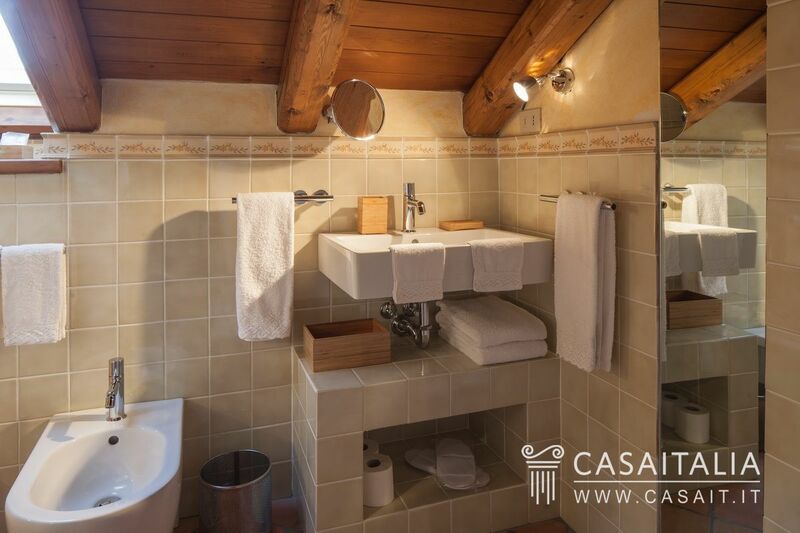 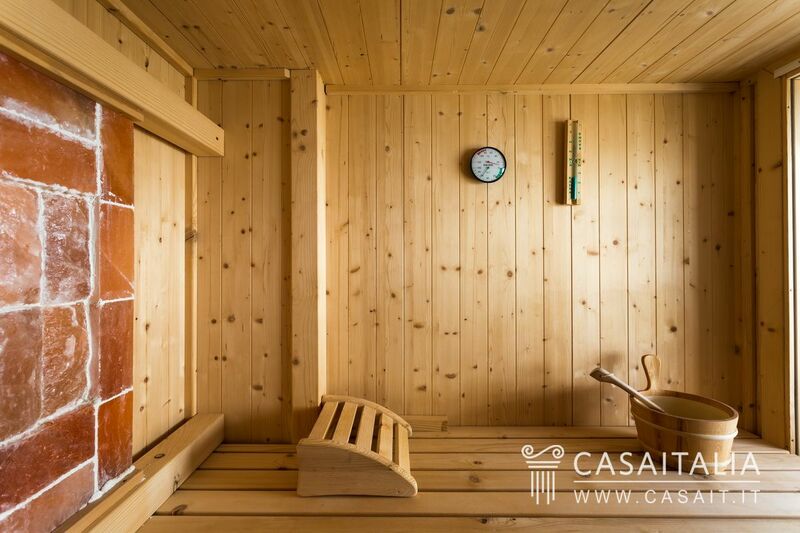 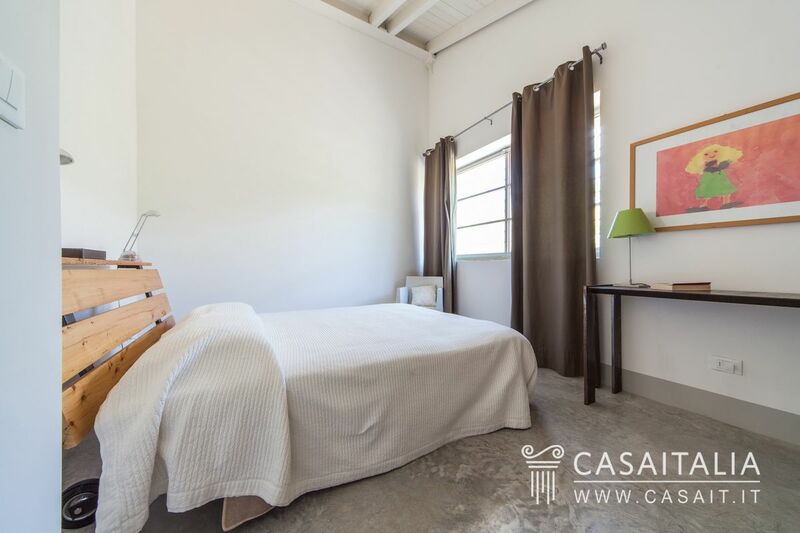 The property includes the main villa with a guest dependence and an independent apartment with a total of 976 sqm gross. 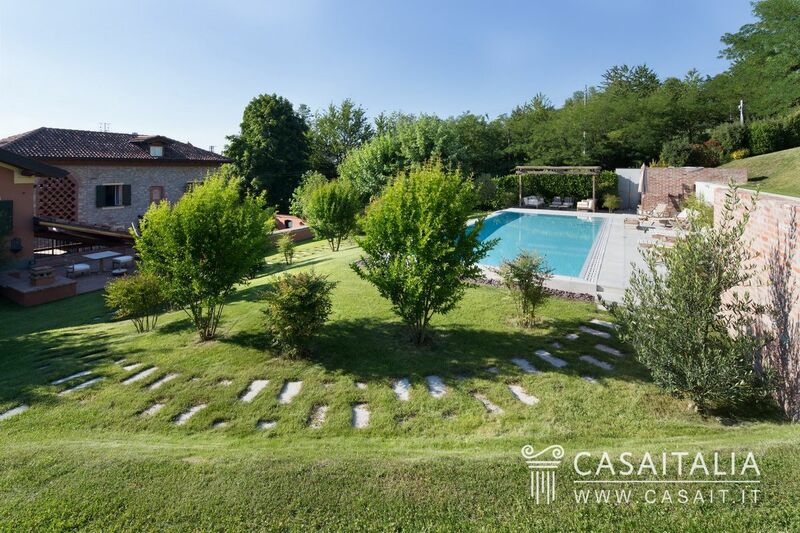 Surrounded by a 4-hectare park with swimming pool. 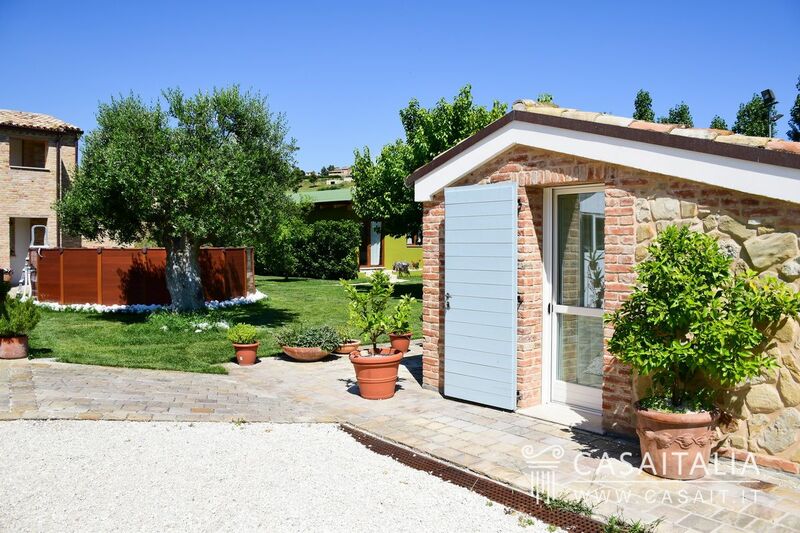 525 sq.m. 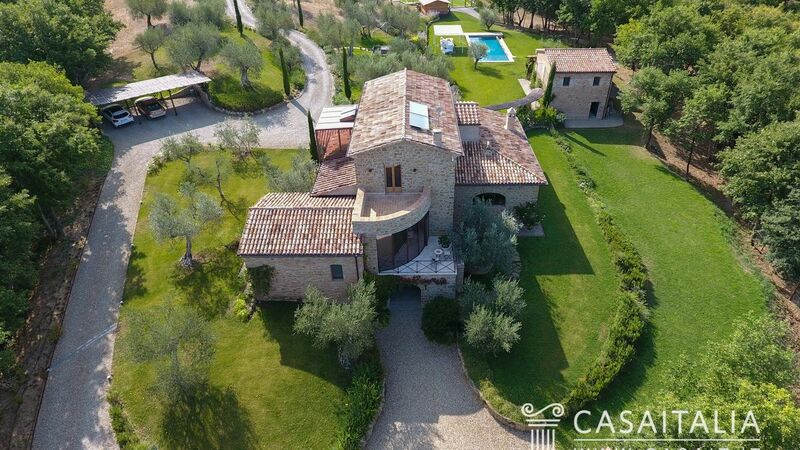 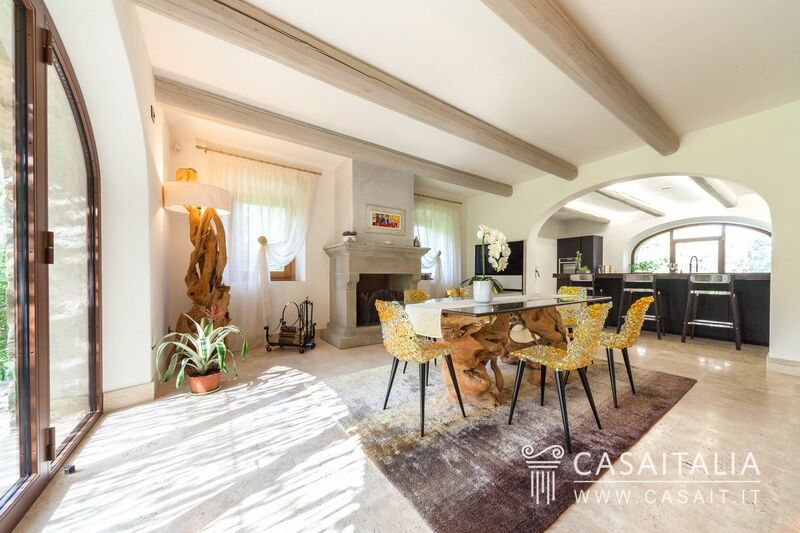 prestigious villa with high-quality finishings, situated within the exclusive private complex of Olgiata Golf Club, 15 km from Rome. 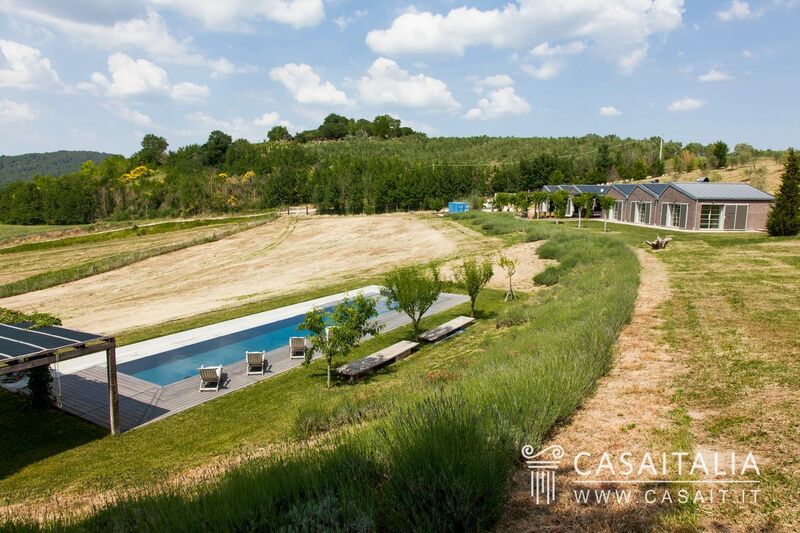 Secluded and panoramic position with land and swimming pool.